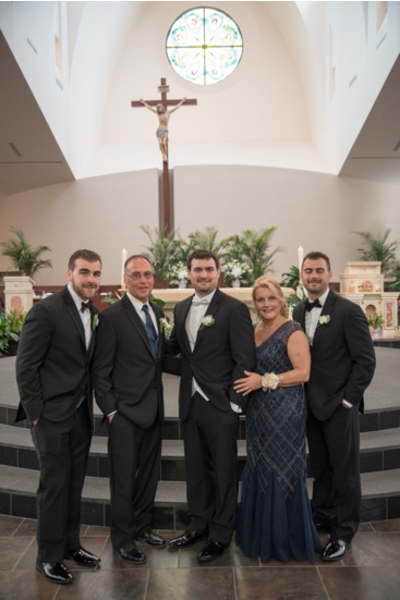 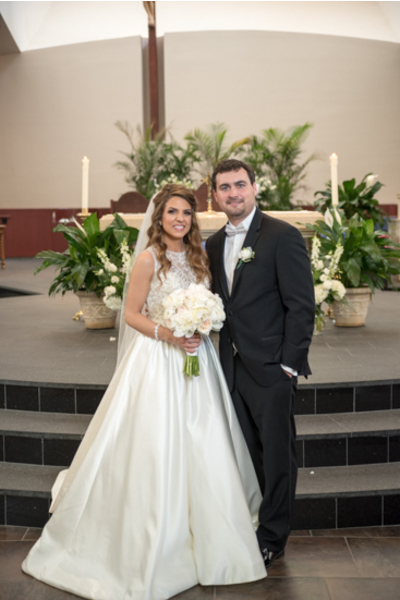 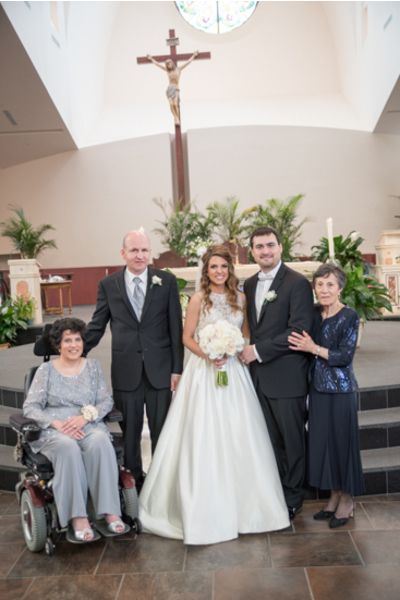 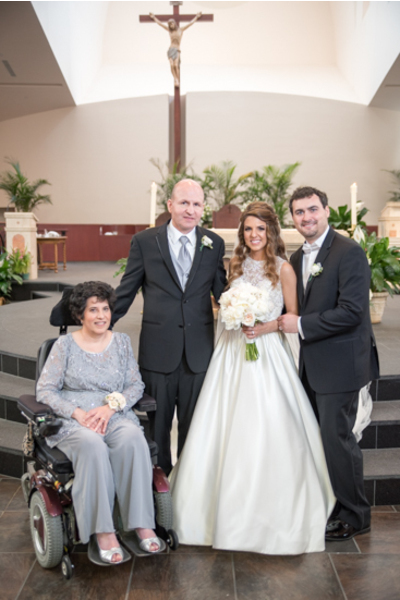 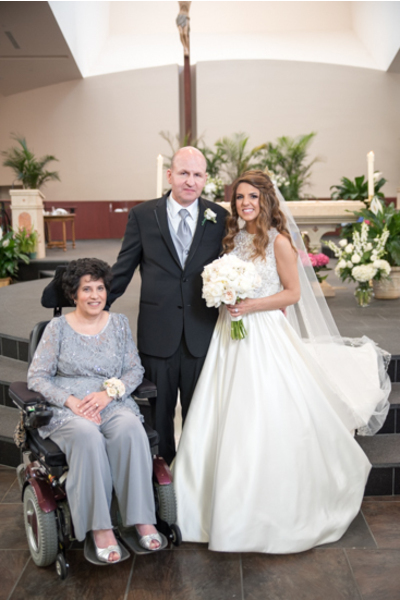 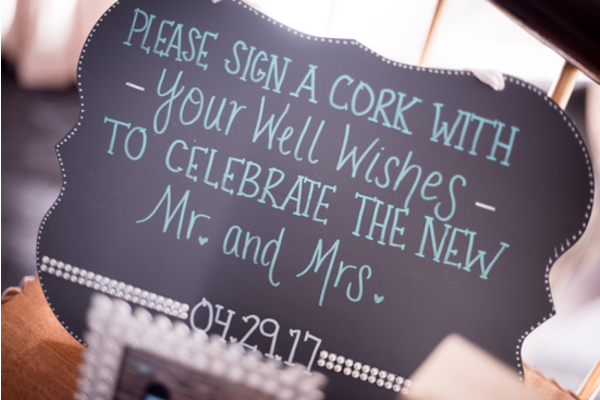 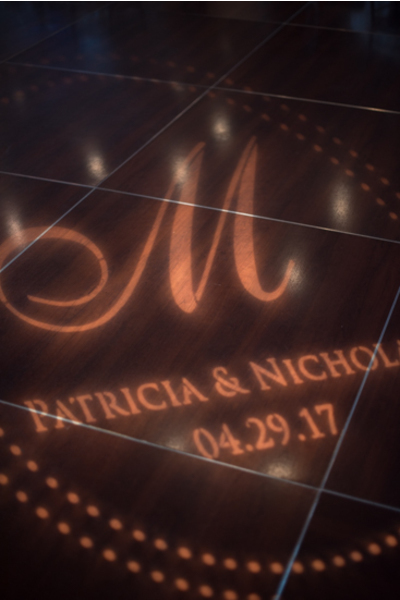 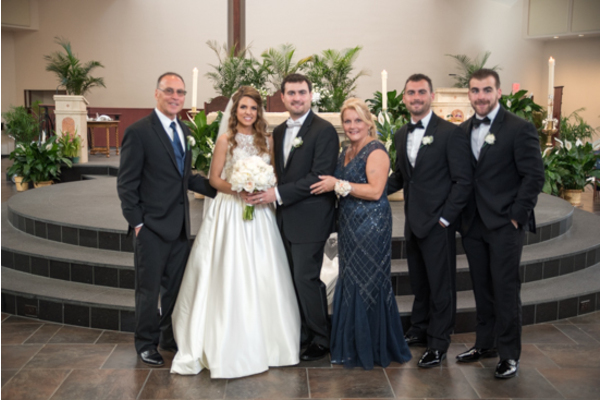 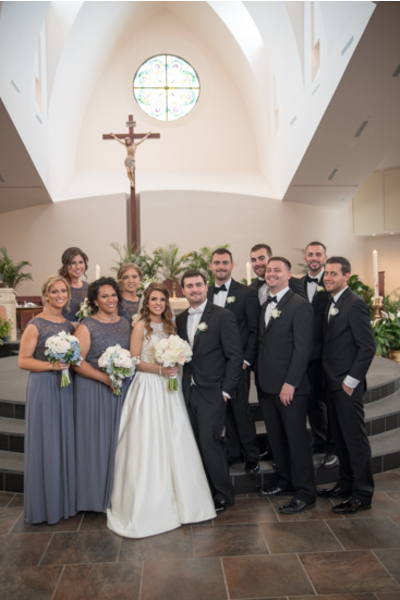 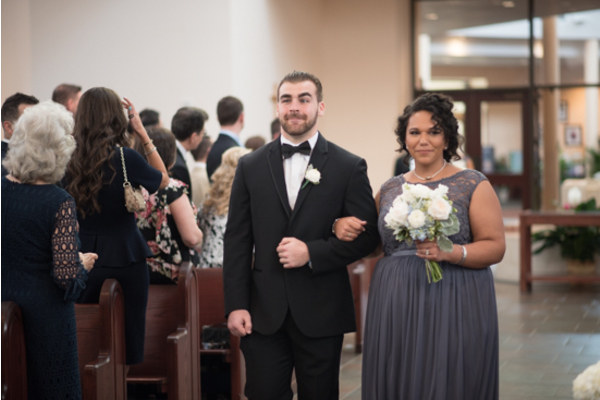 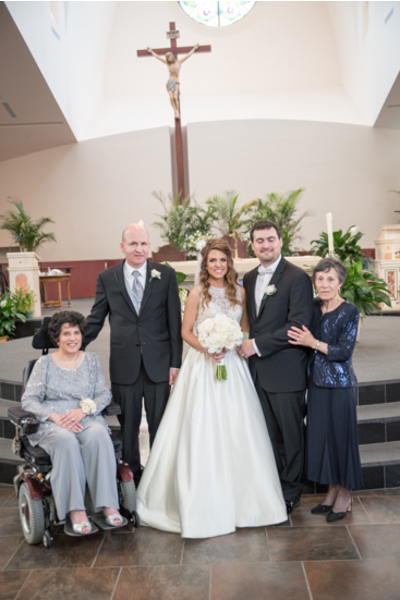 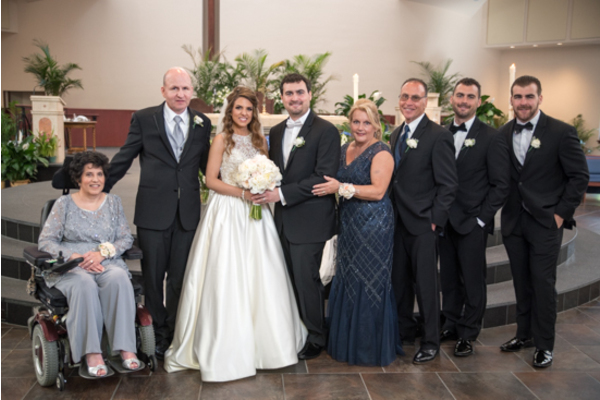 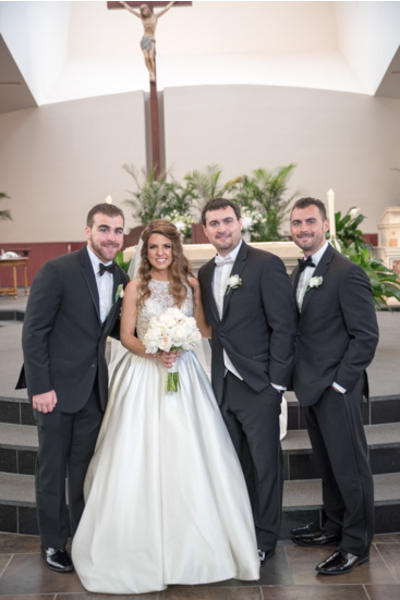 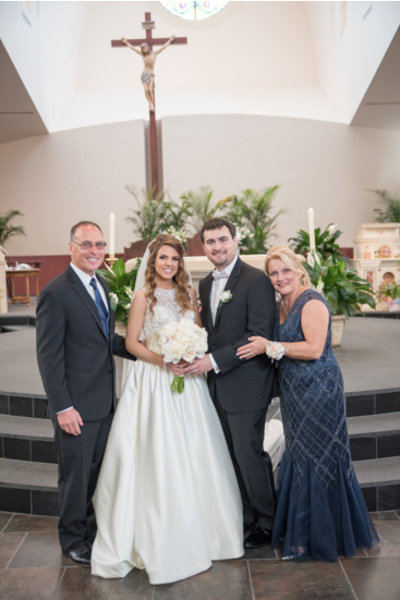 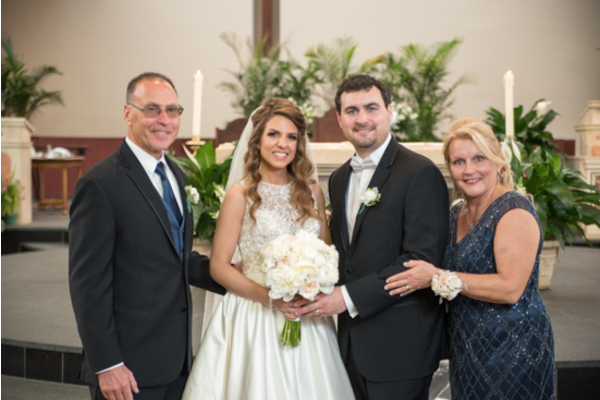 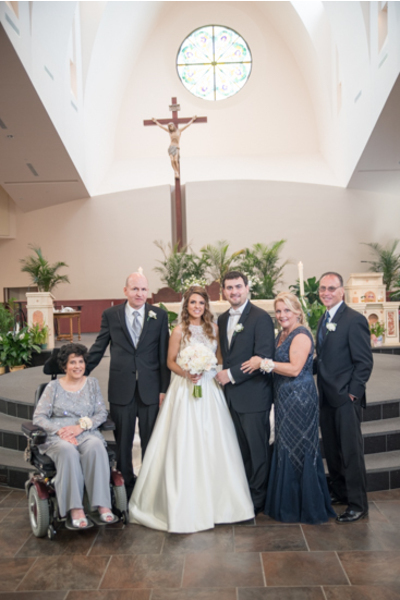 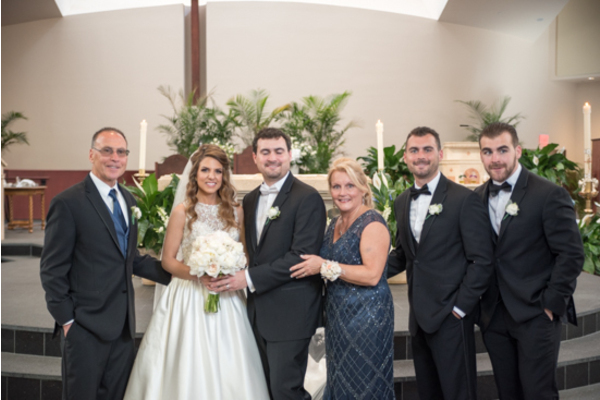 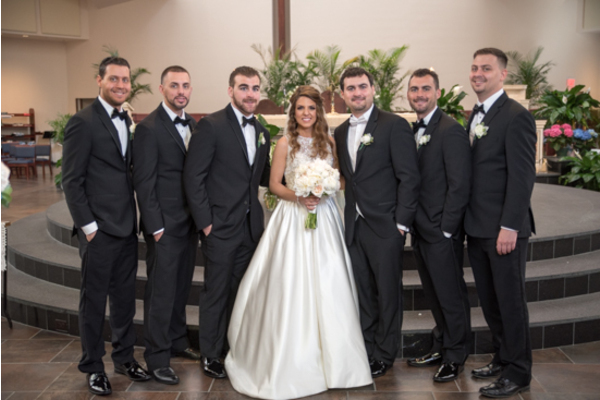 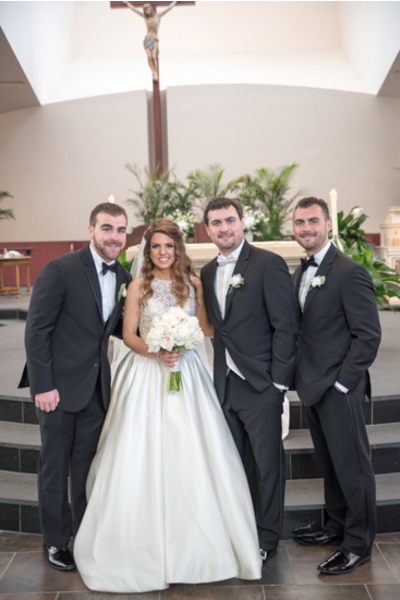 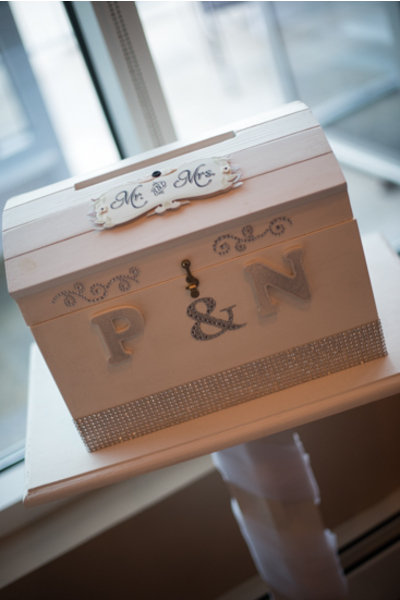 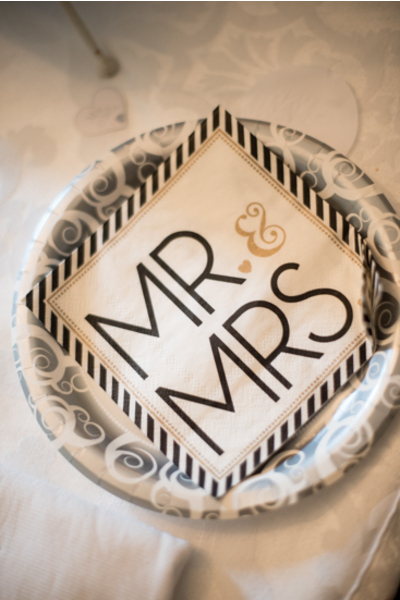 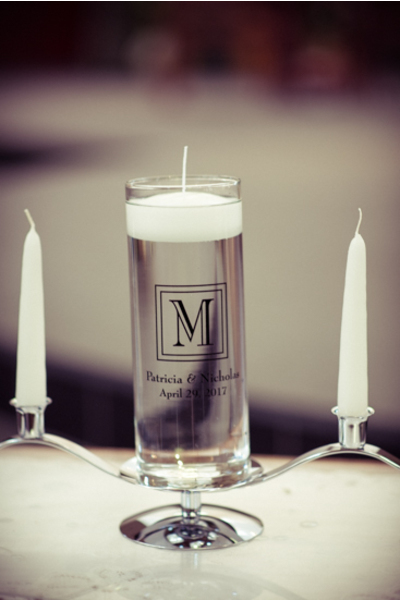 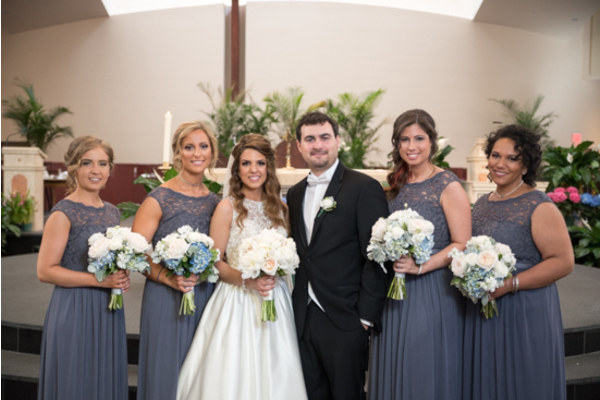 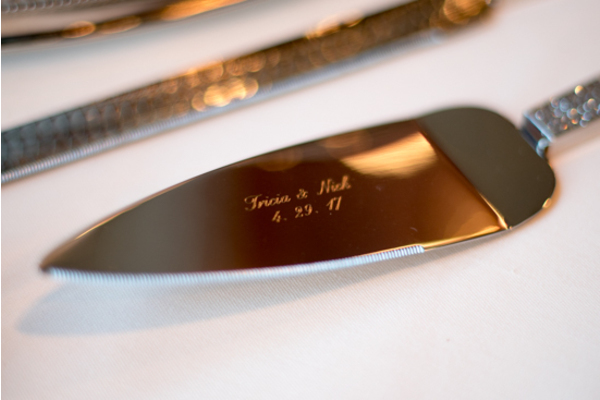 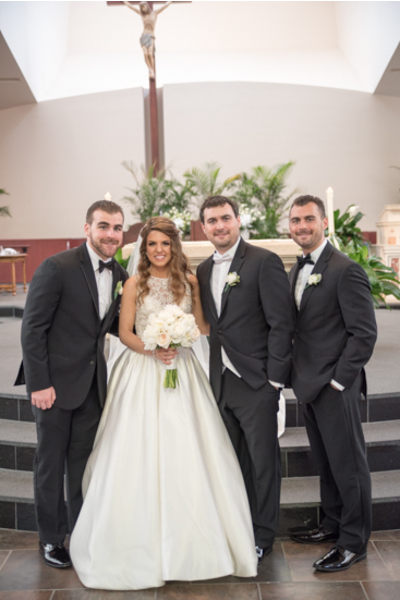 Congratulations to newlyweds, Patricia and Nick! 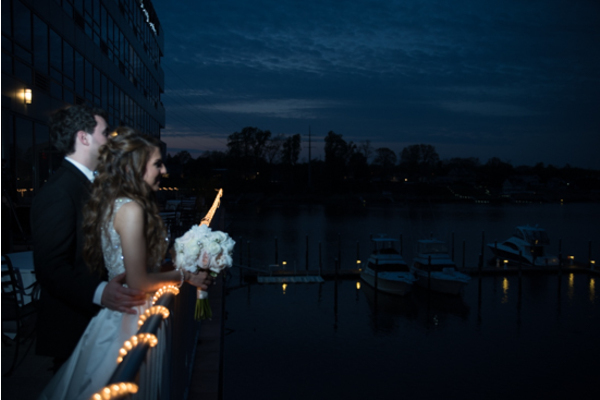 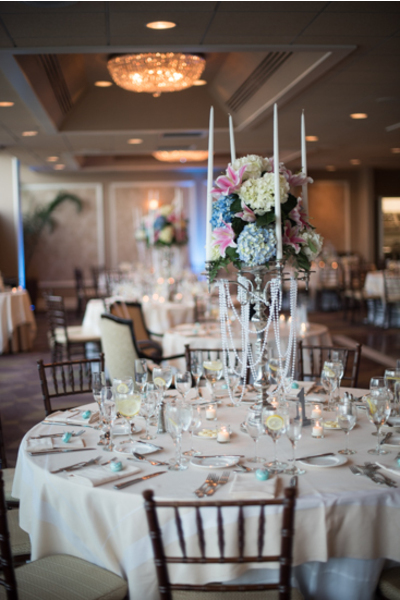 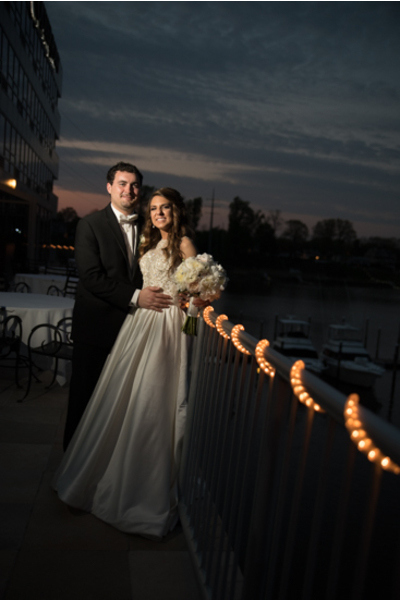 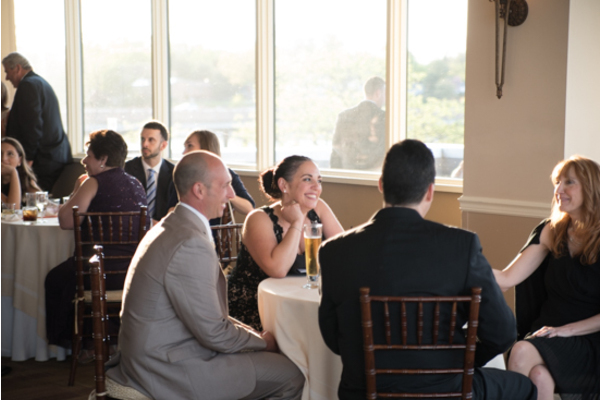 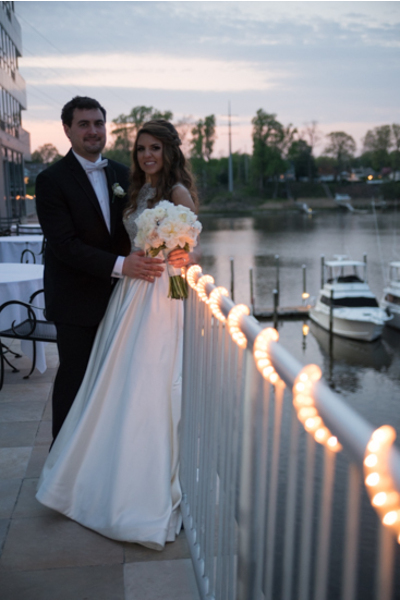 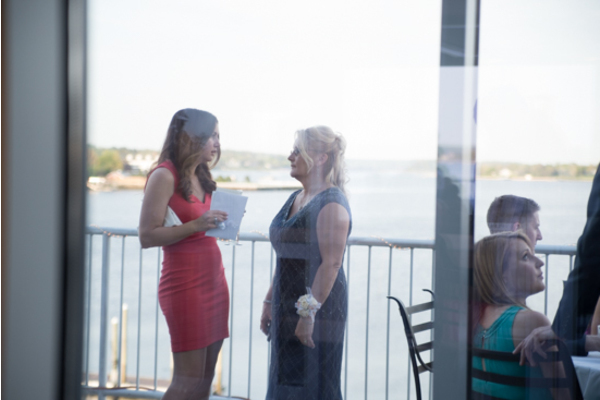 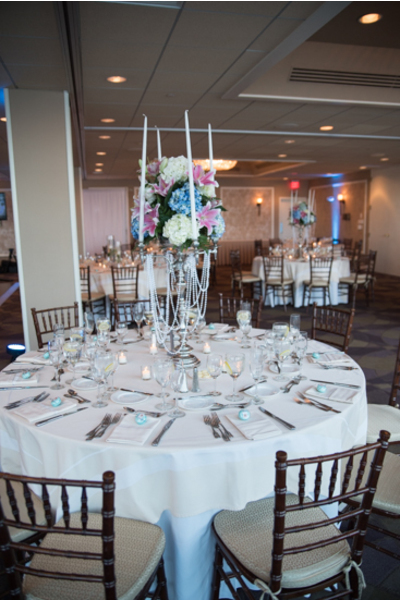 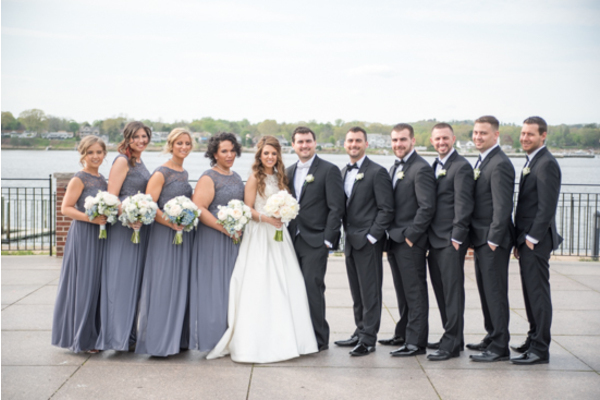 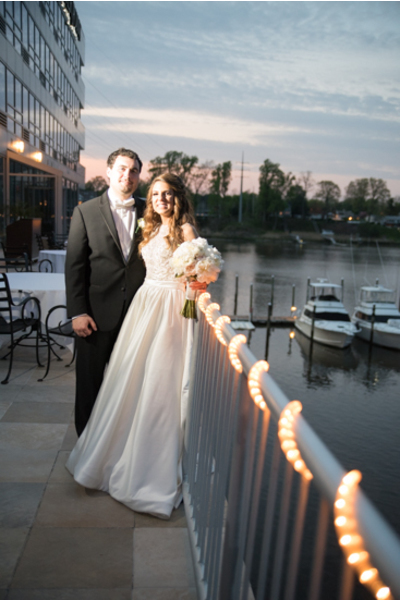 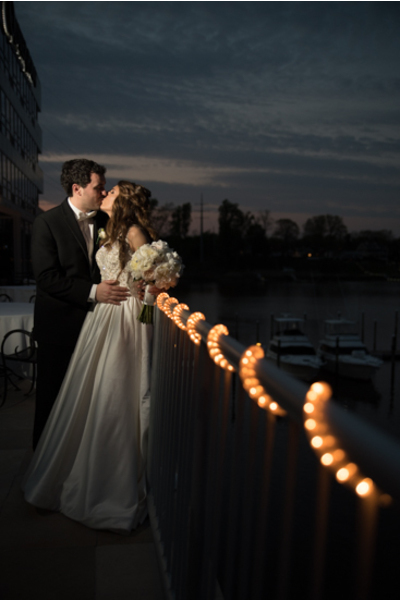 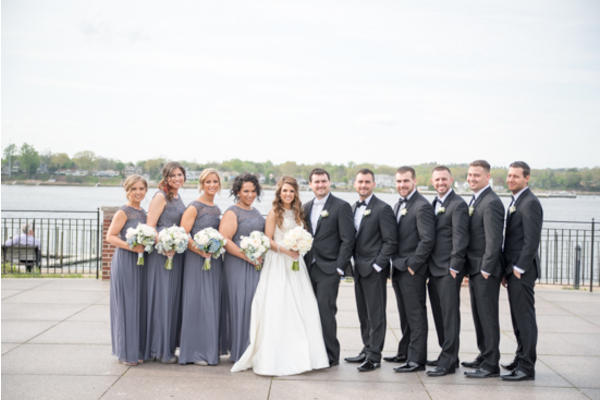 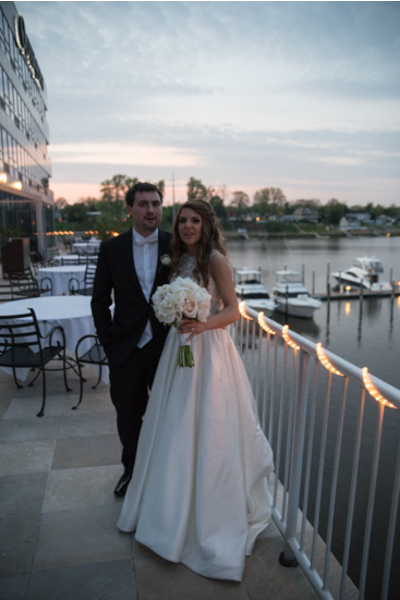 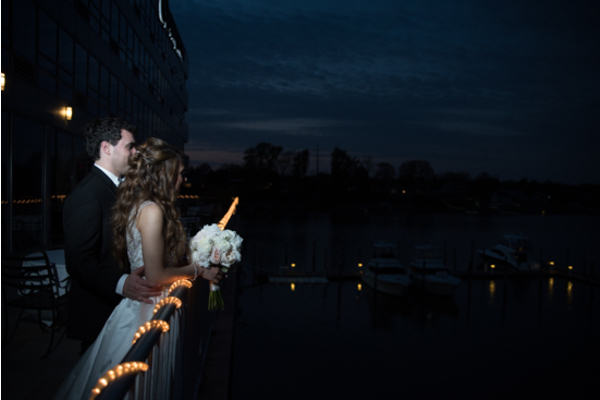 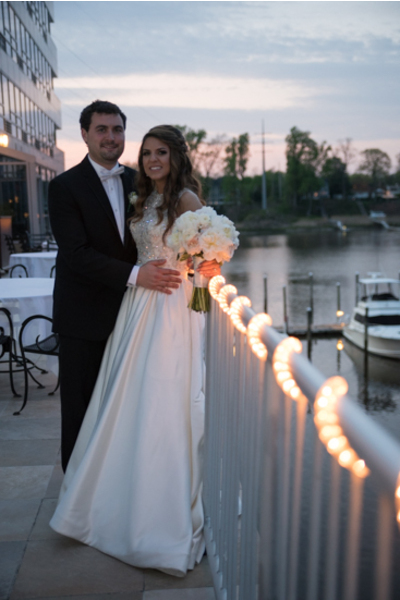 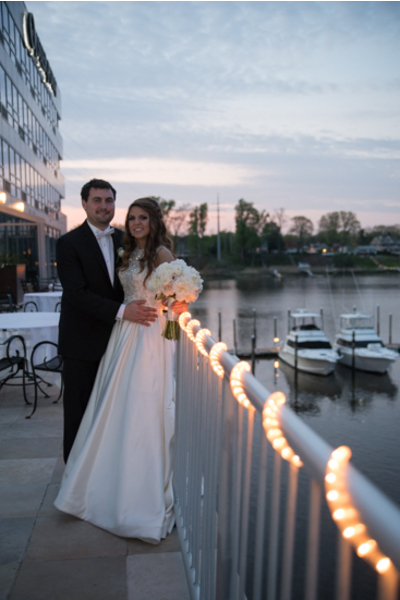 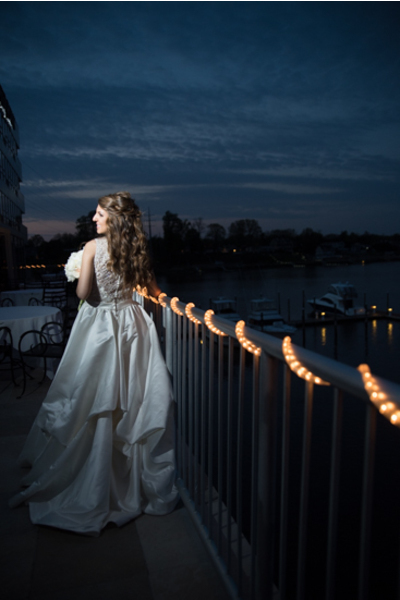 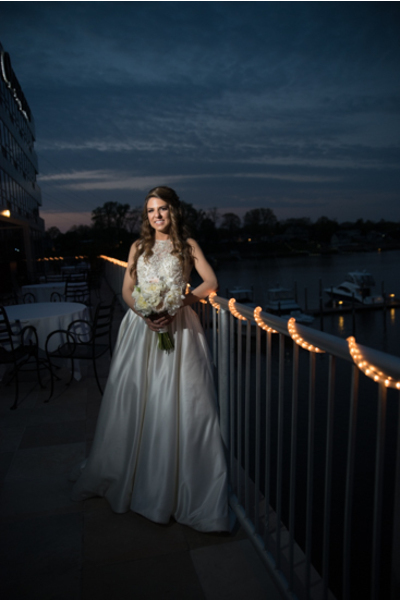 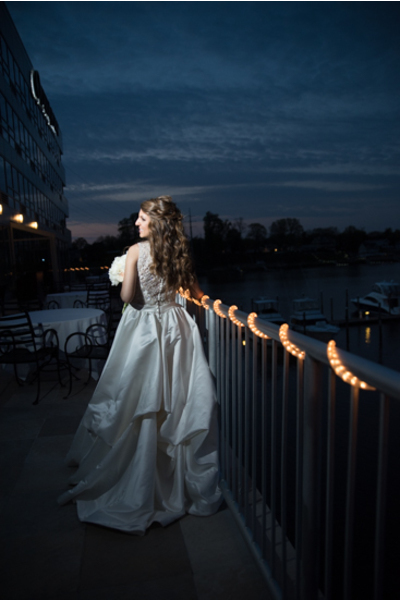 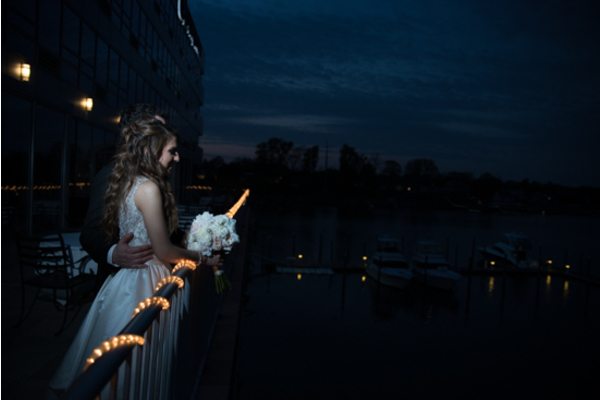 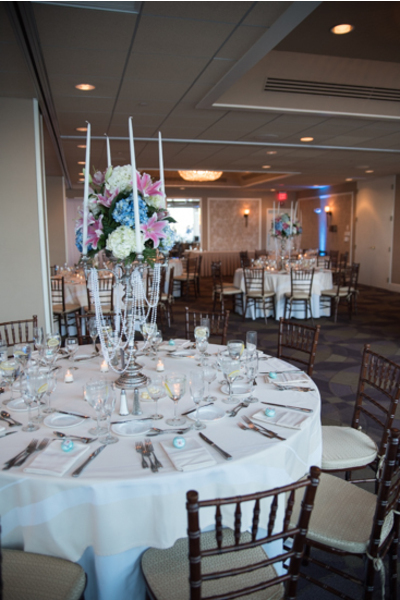 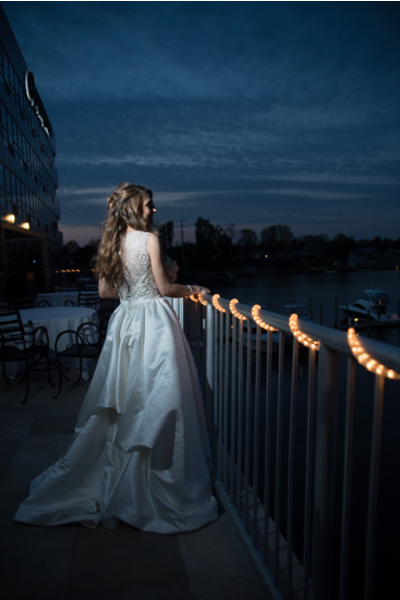 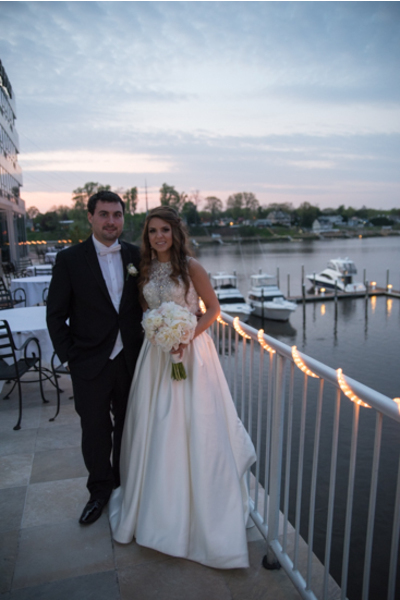 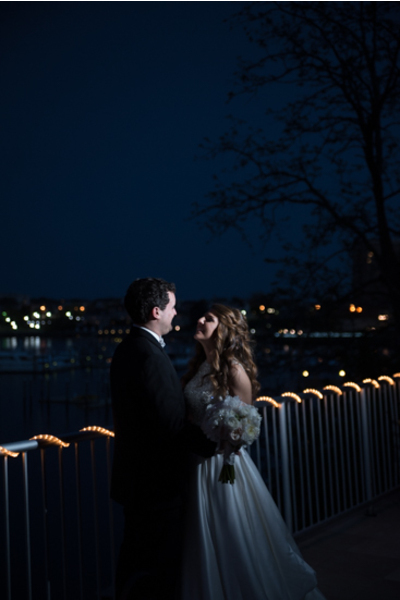 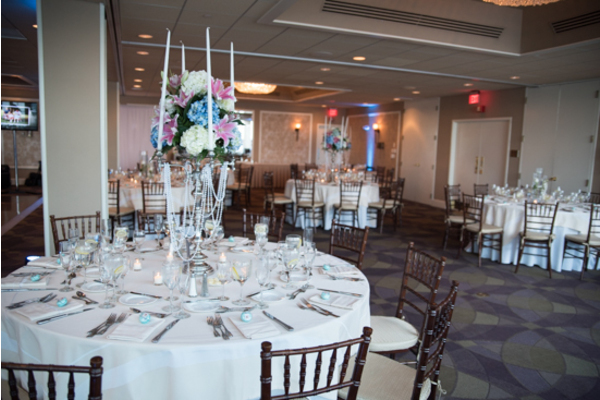 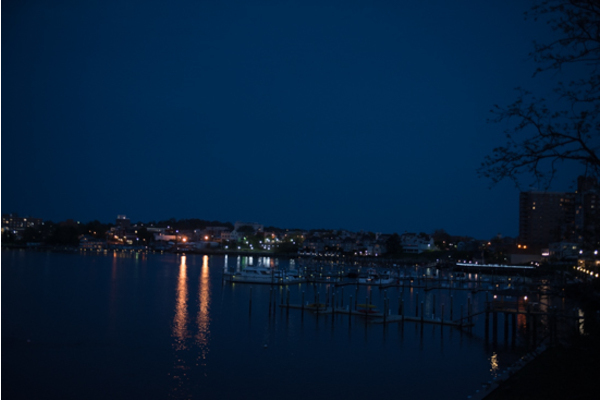 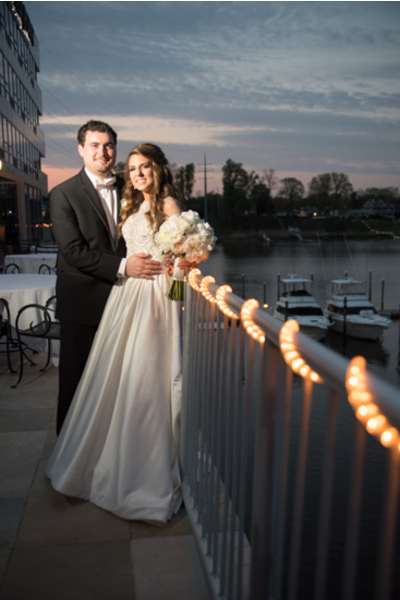 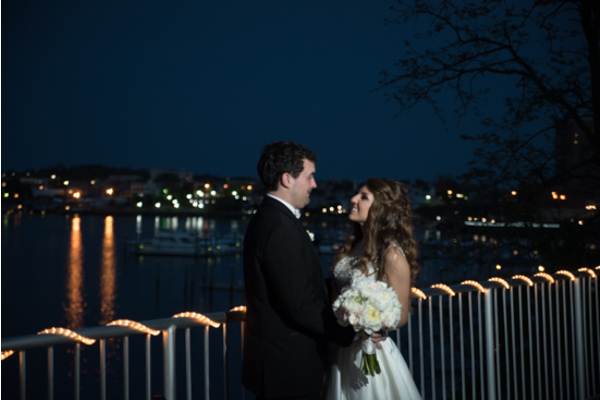 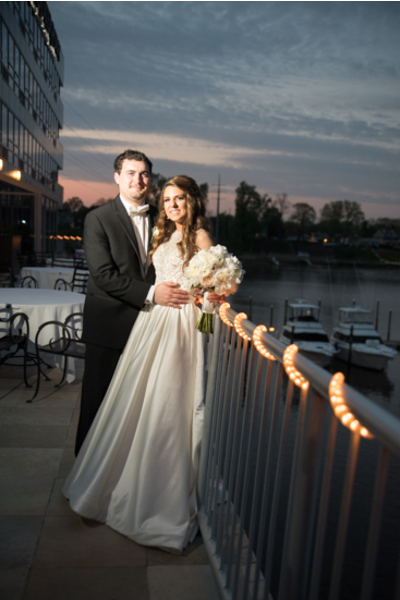 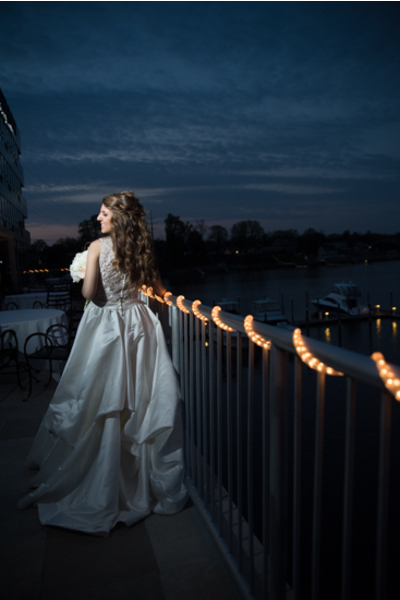 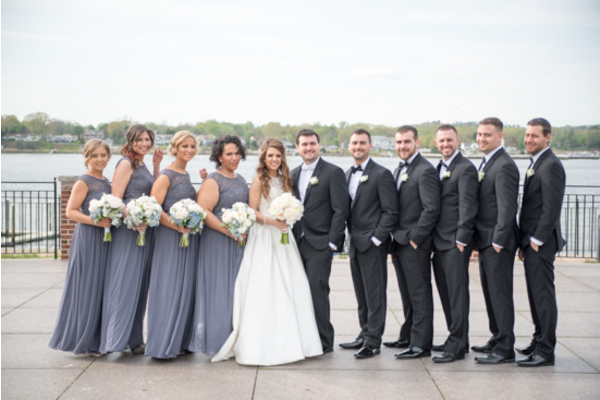 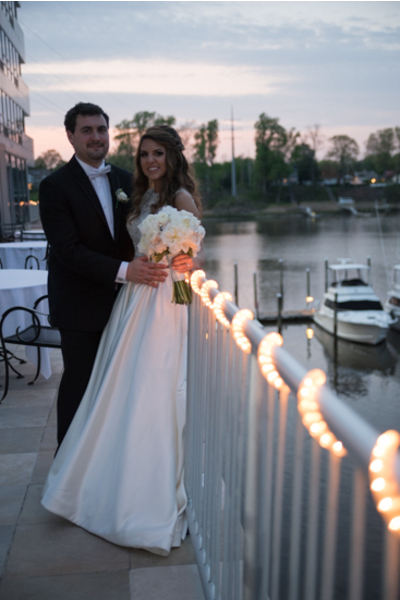 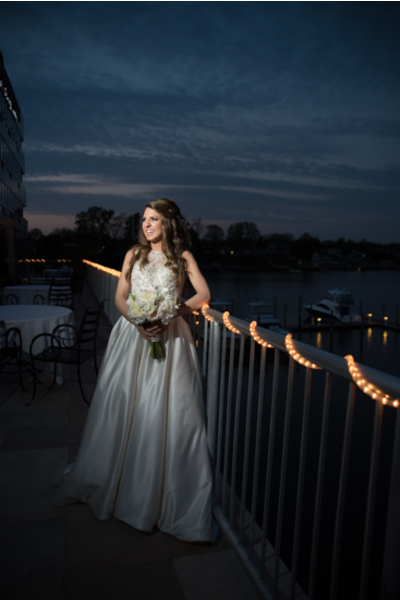 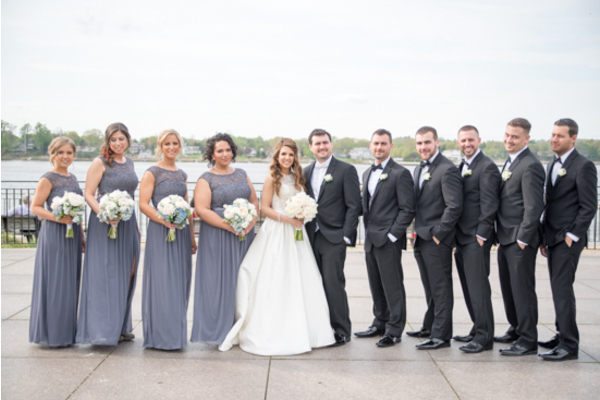 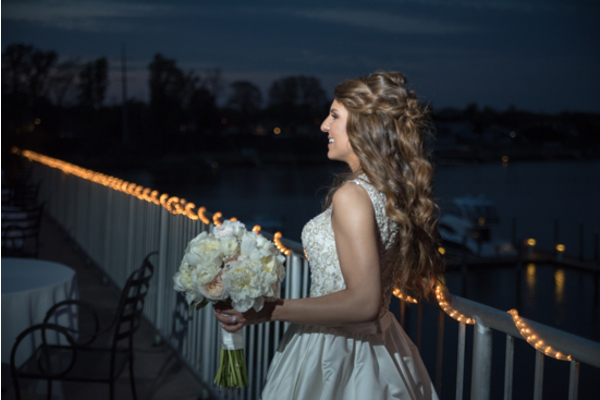 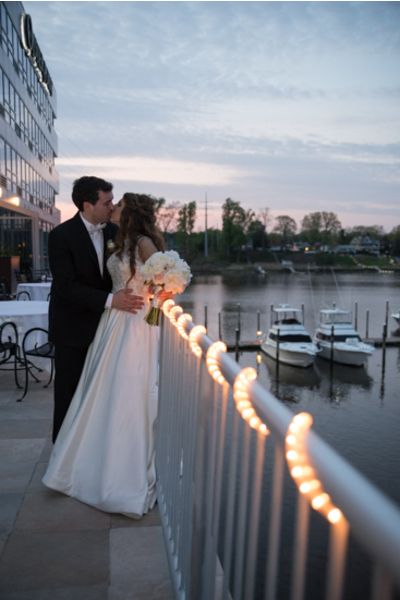 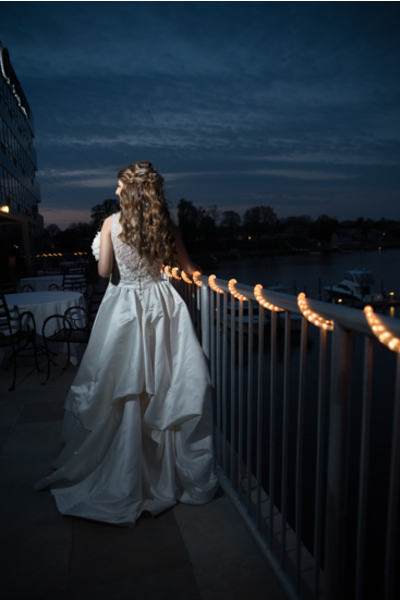 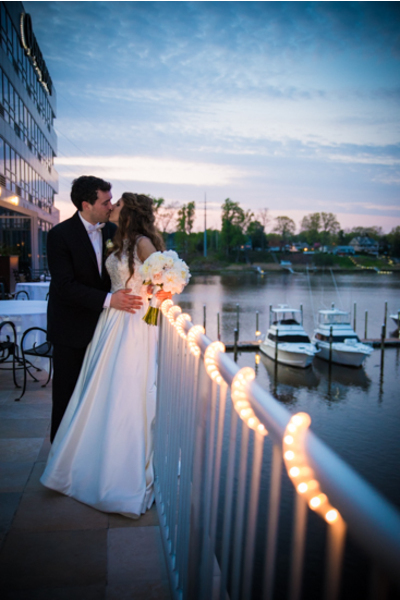 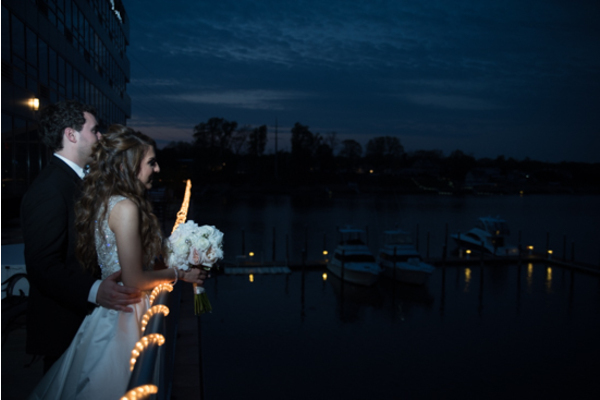 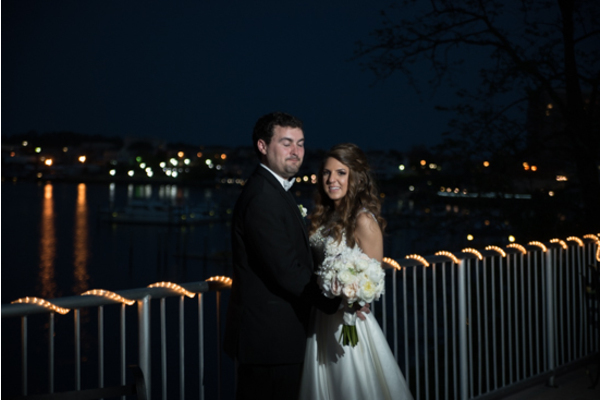 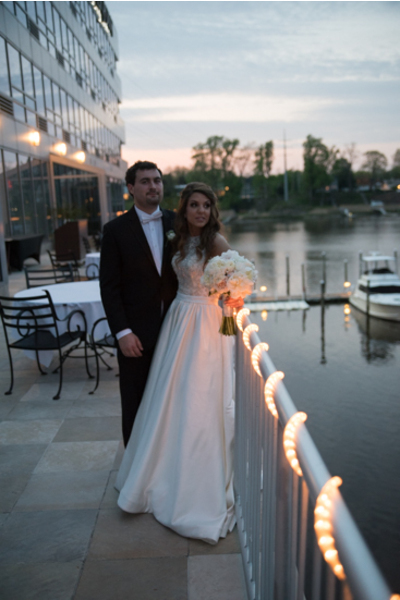 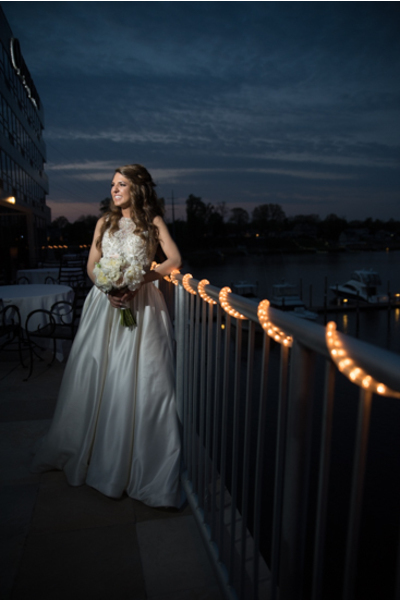 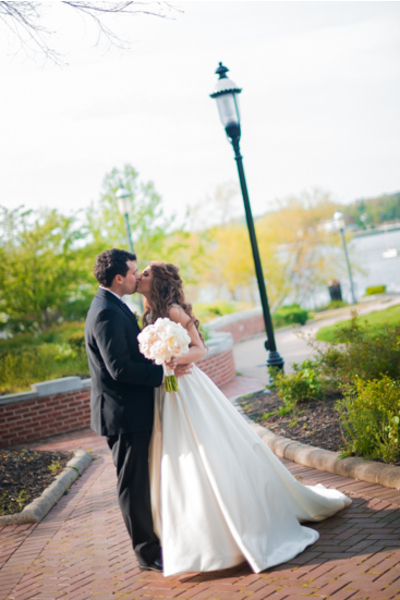 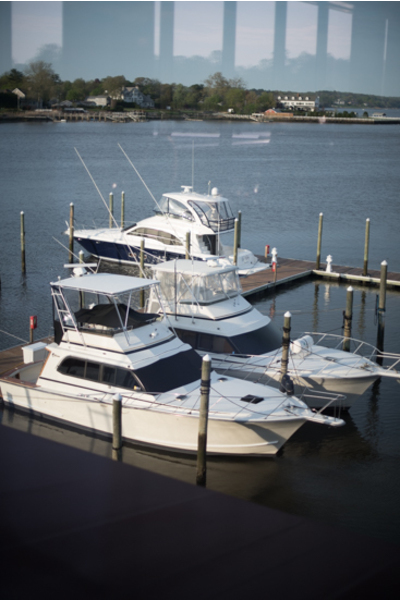 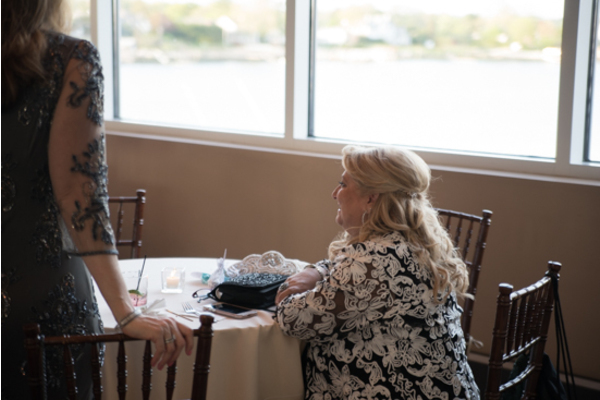 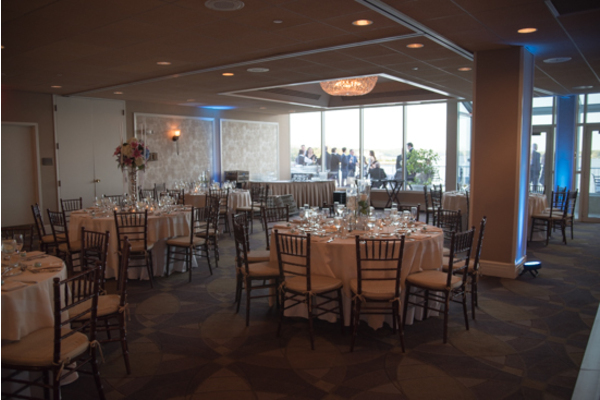 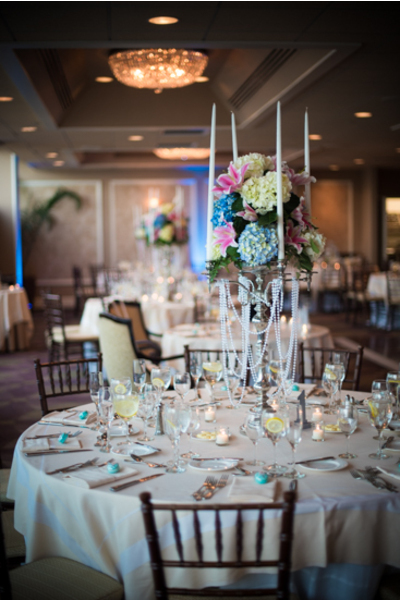 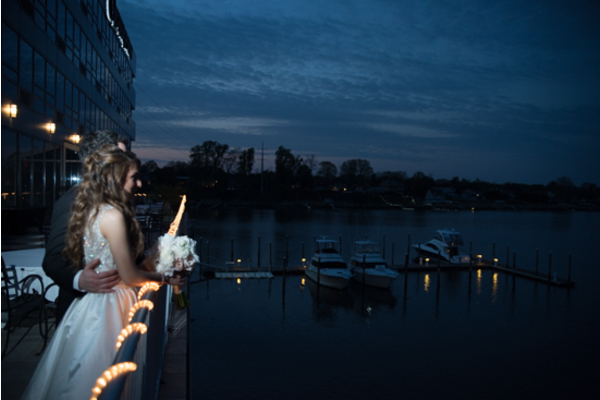 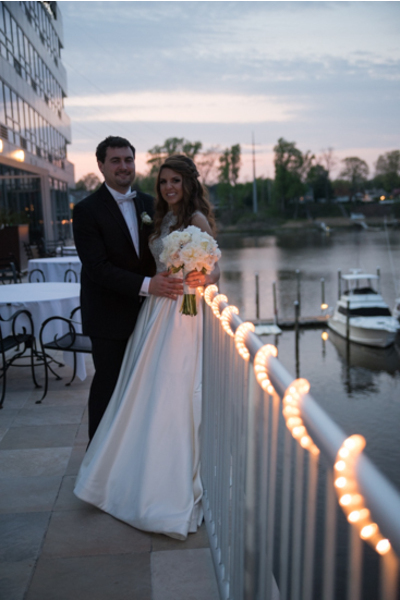 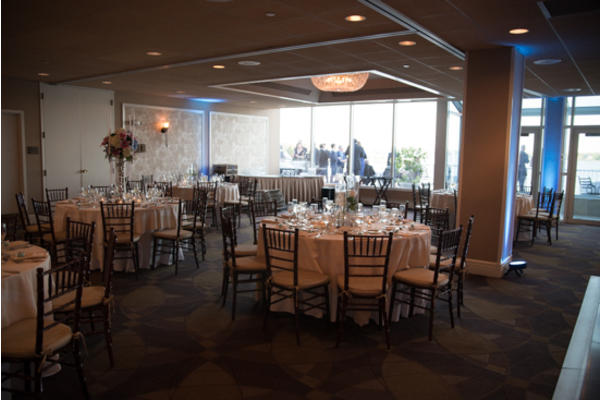 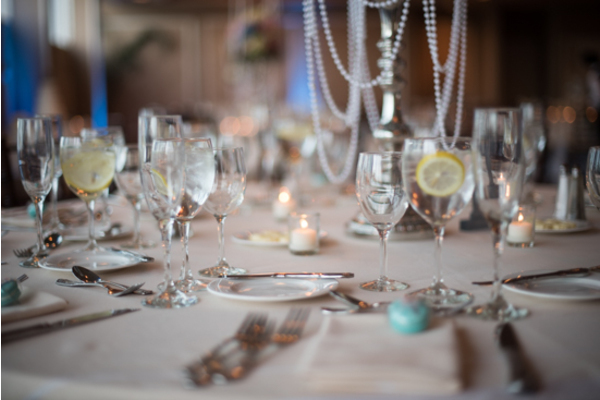 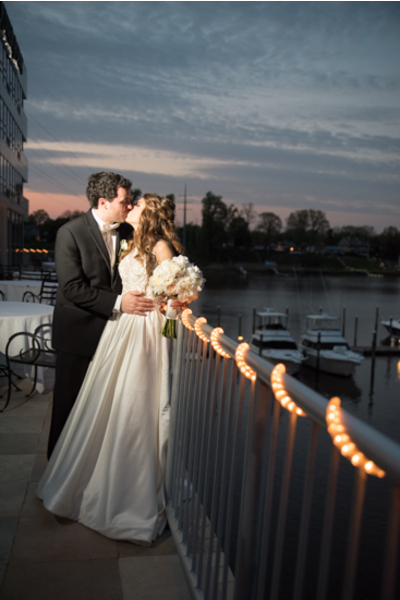 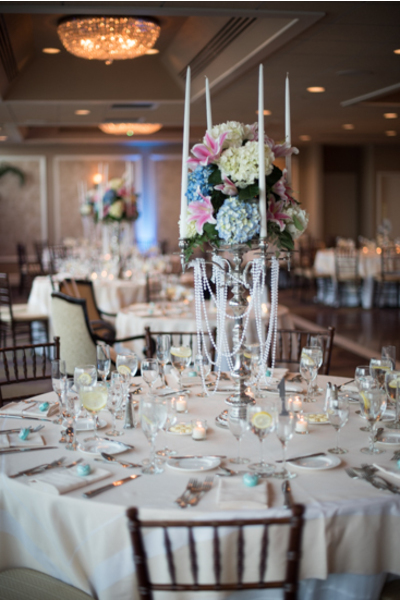 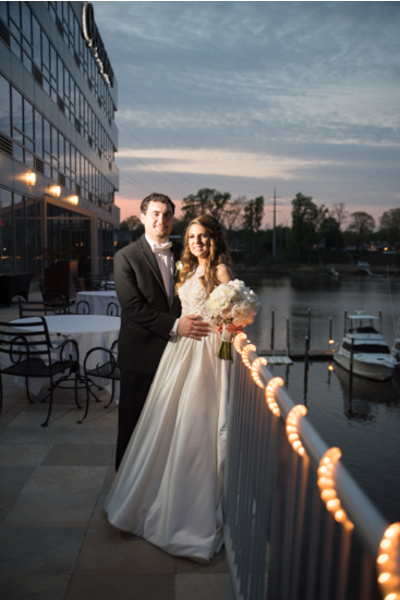 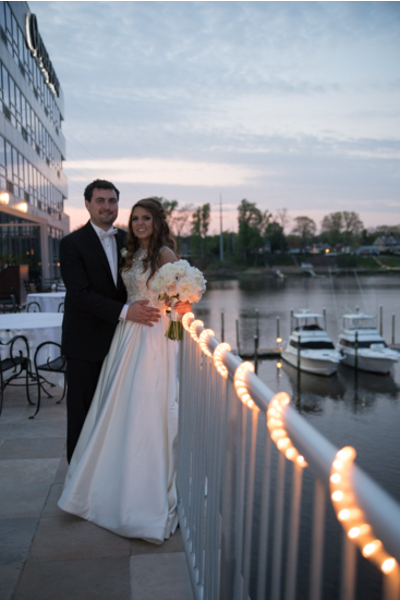 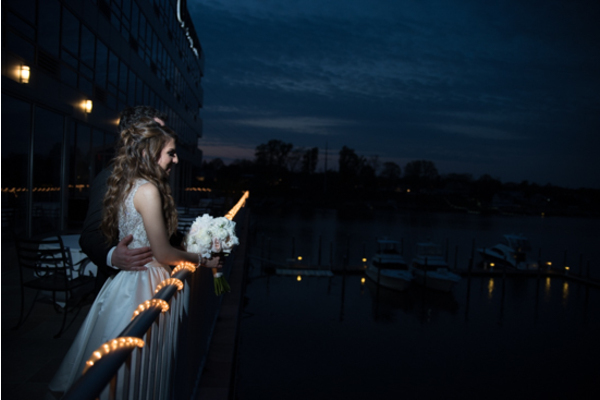 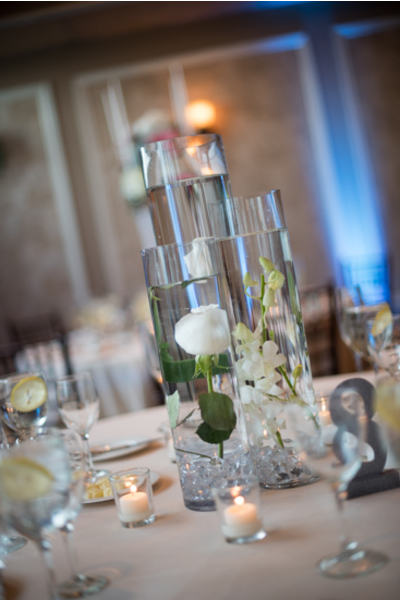 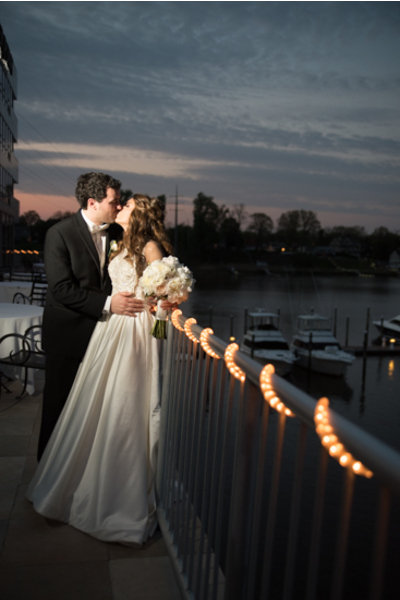 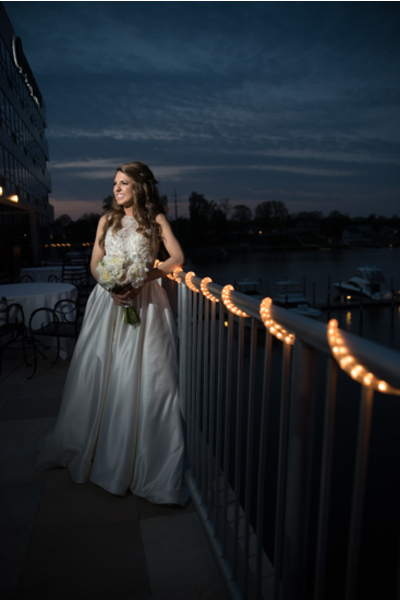 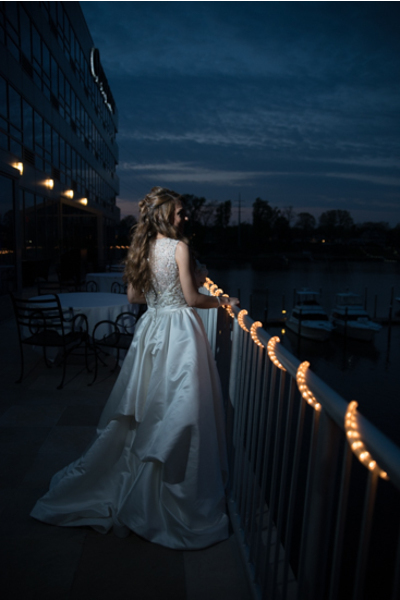 They said their I do’s on a warm day in April at the Oyster Point Hotel in Red Bank, NJ. 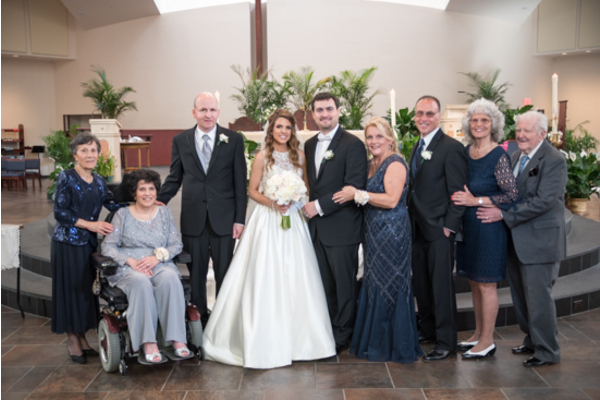 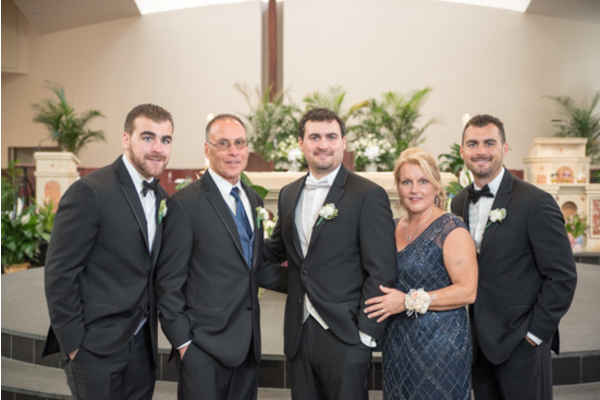 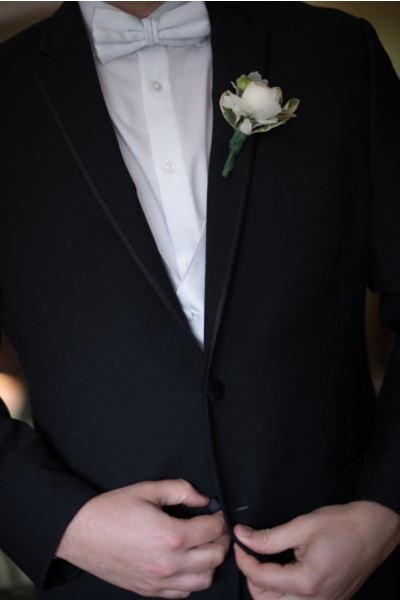 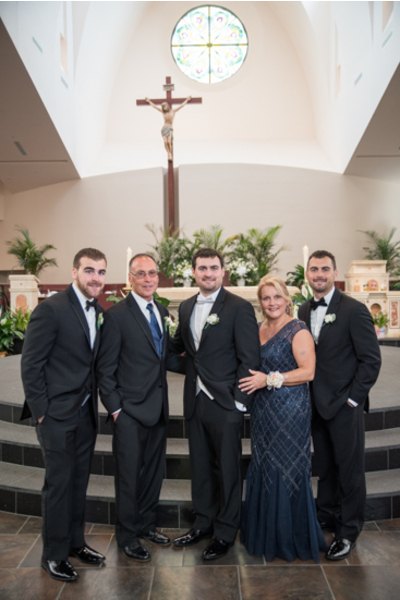 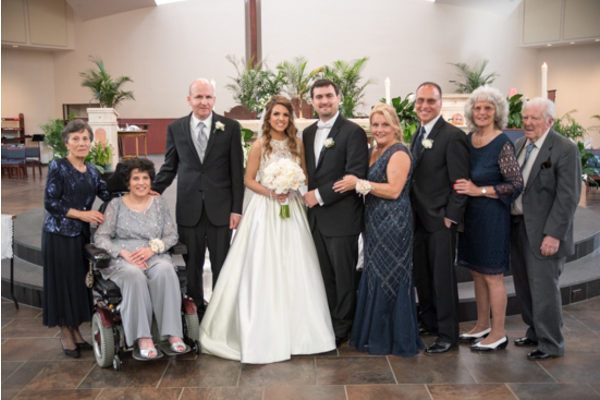 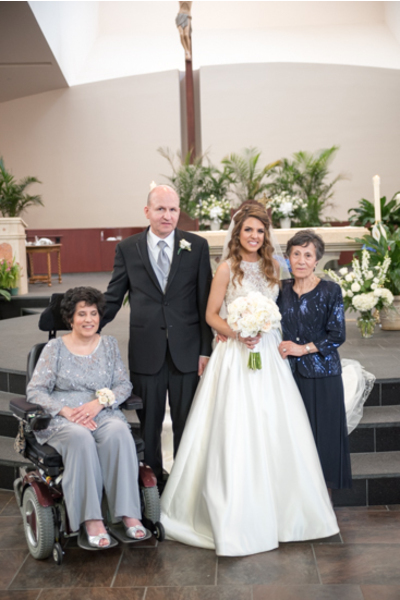 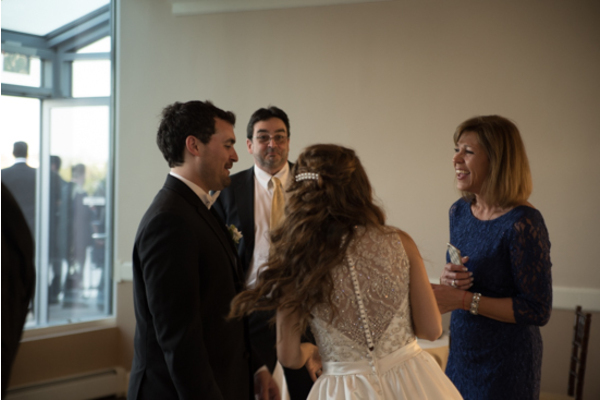 This wedding was filled with so many family and friends filled with happiness and excitement, making it an amazing day. 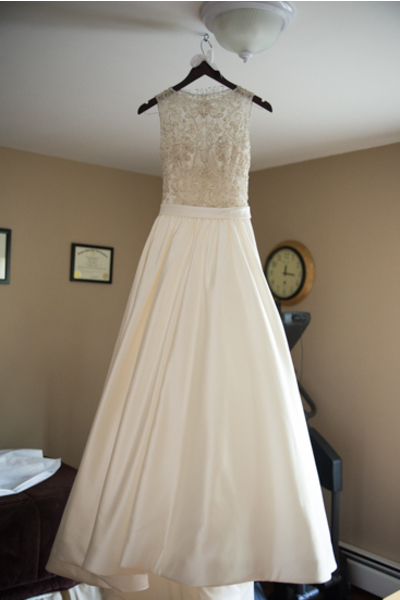 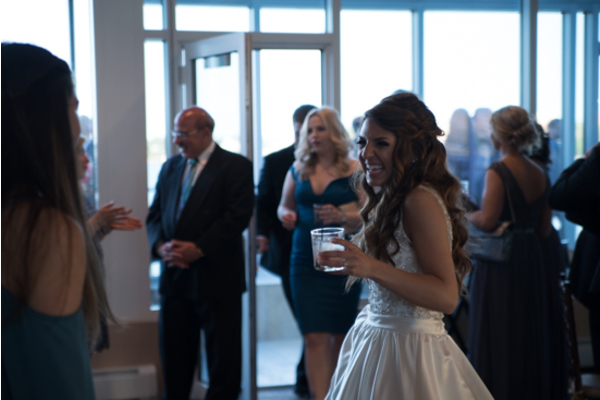 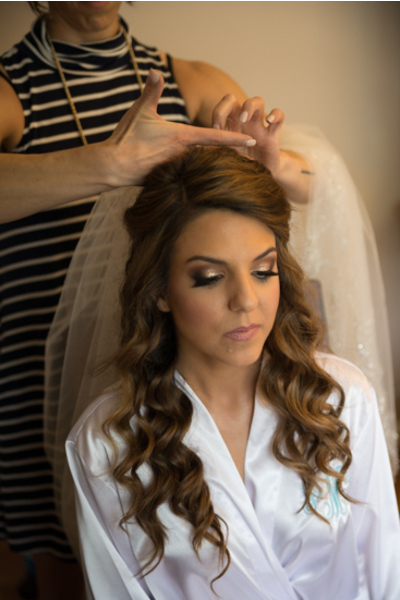 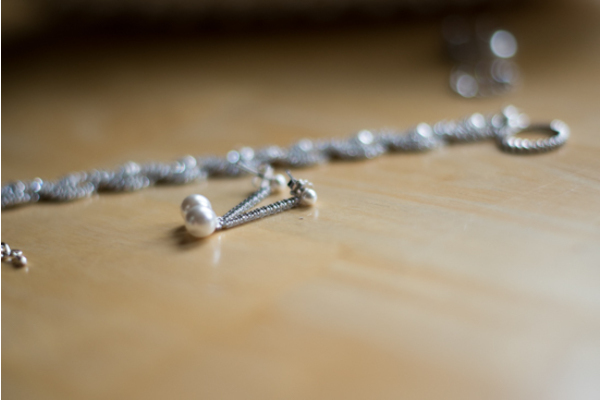 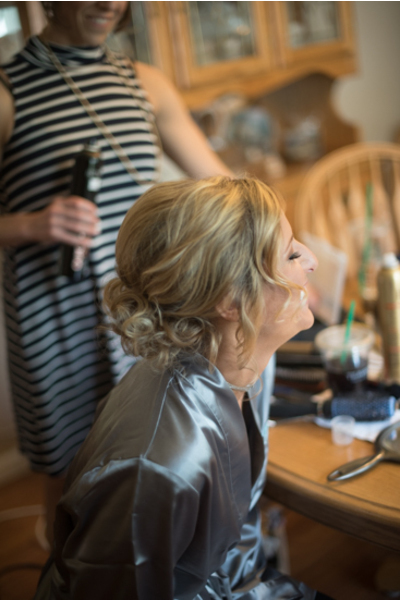 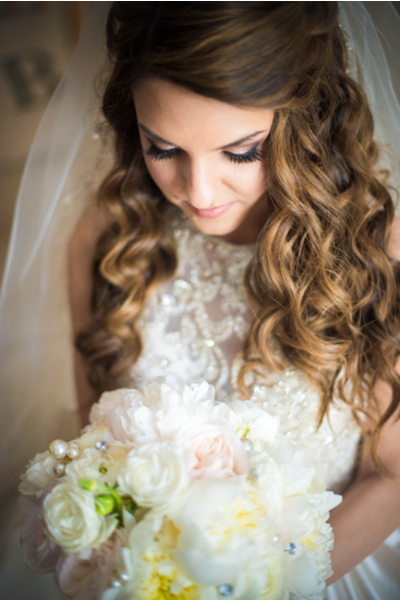 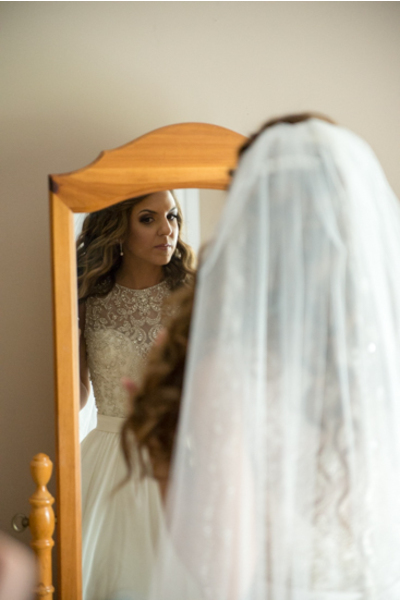 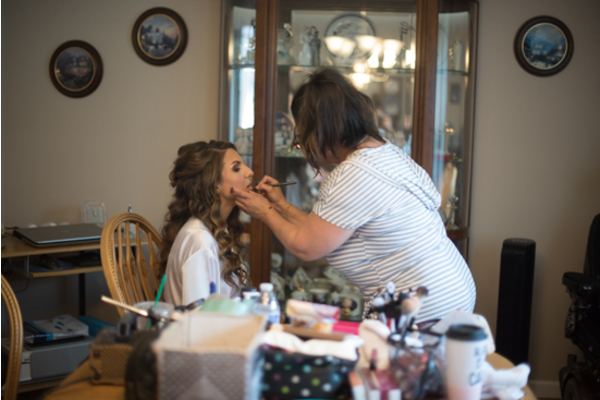 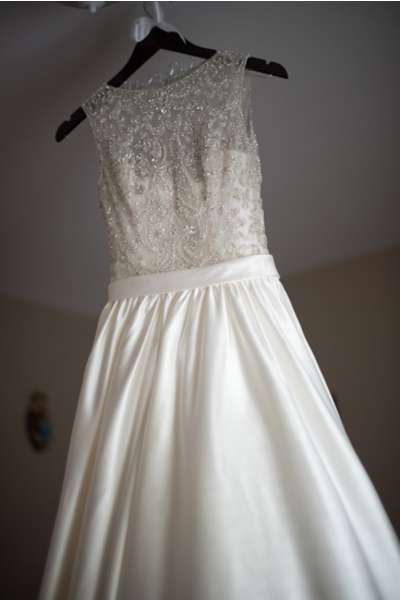 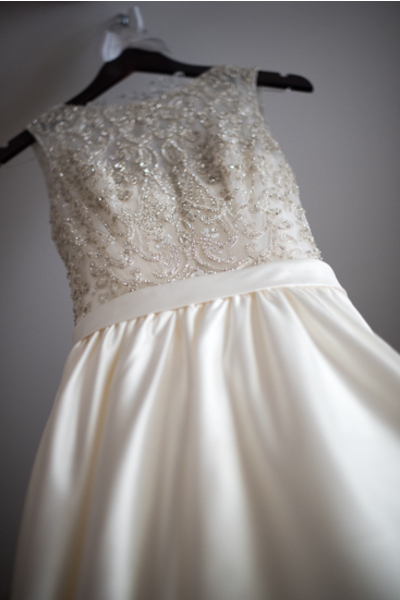 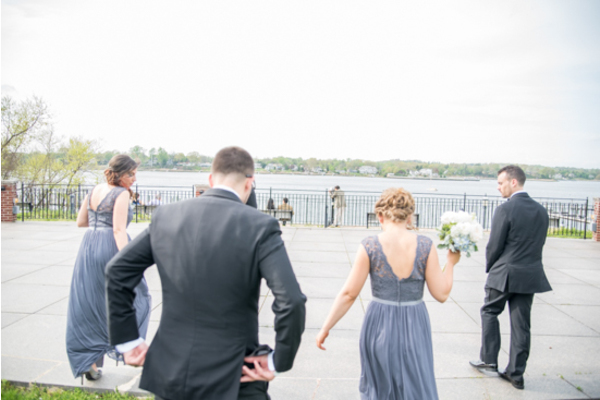 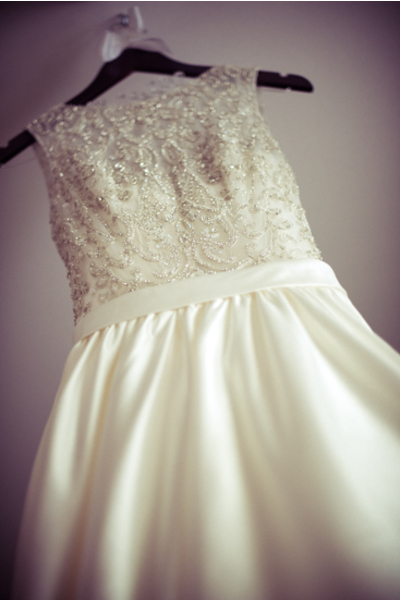 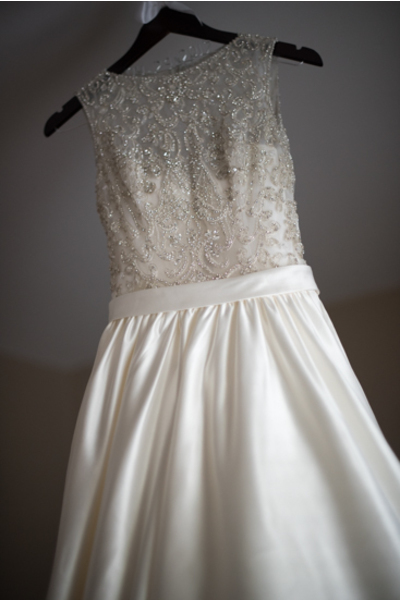 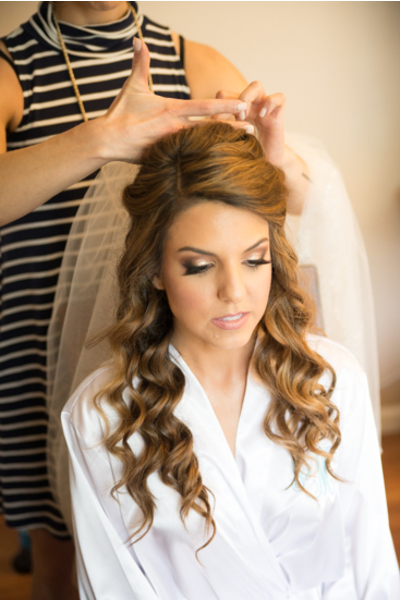 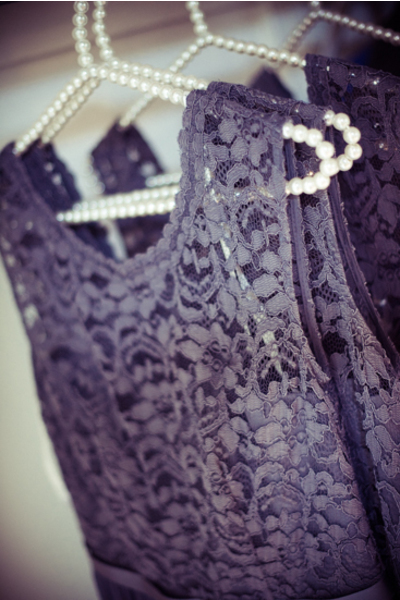 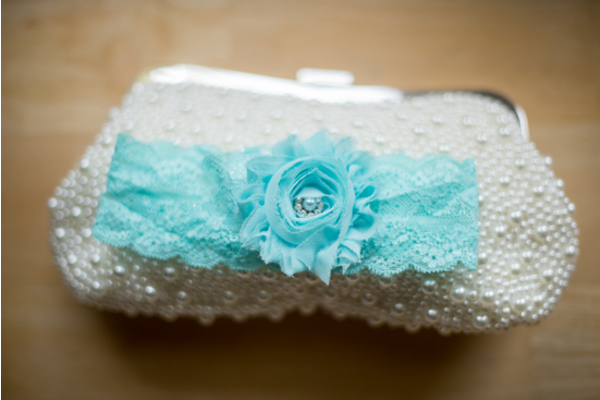 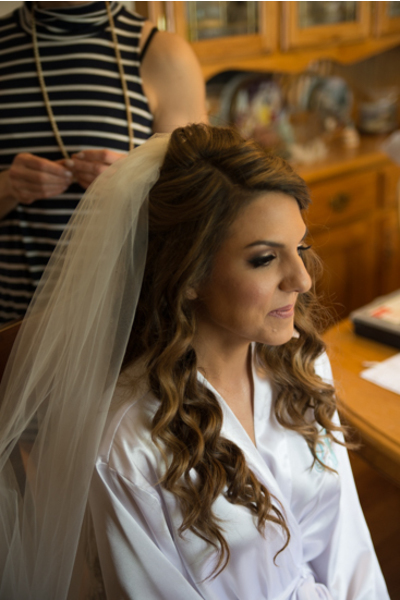 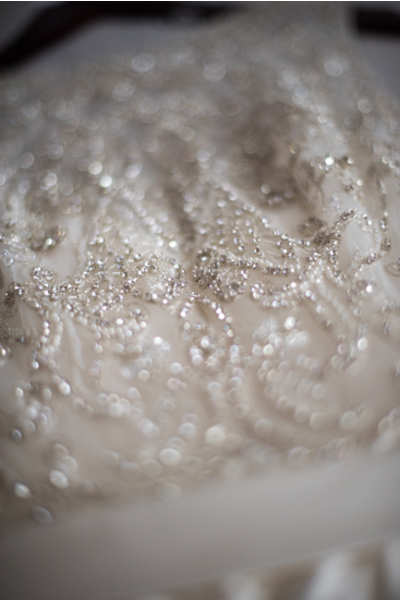 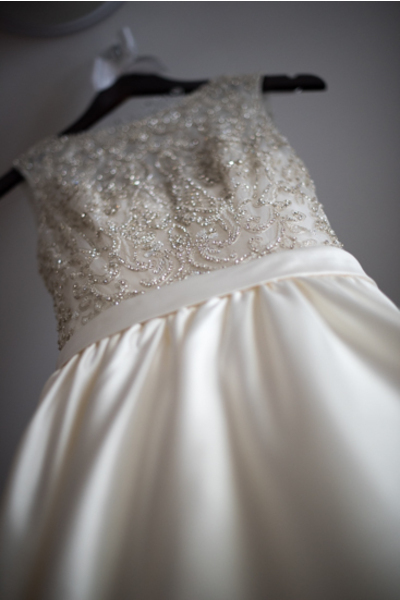 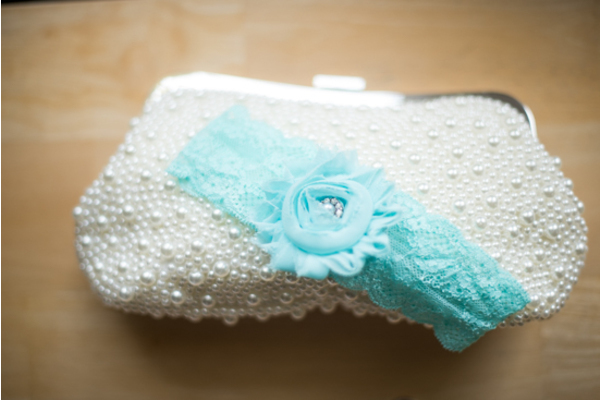 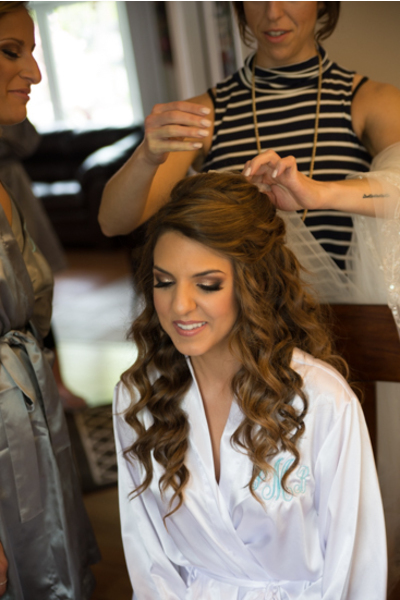 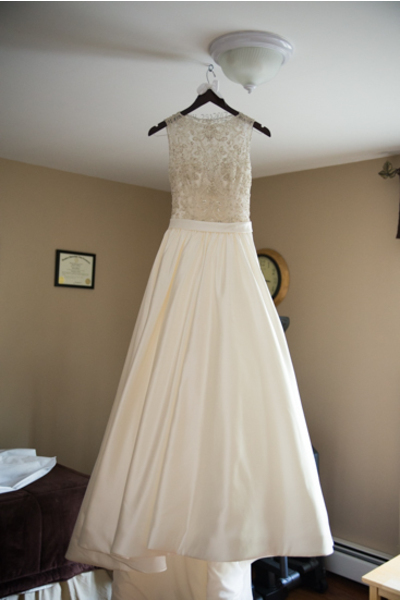 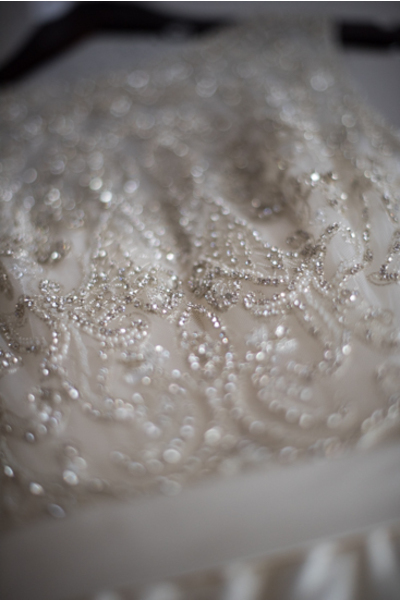 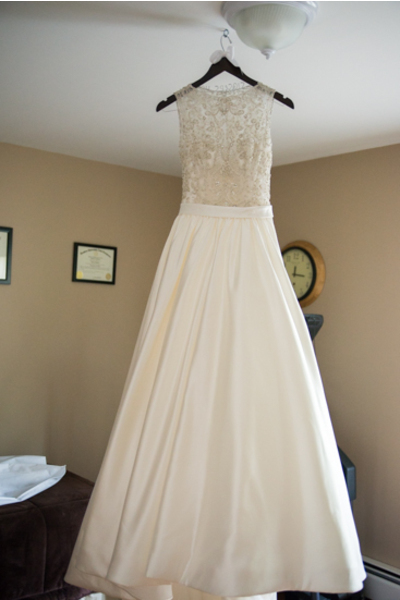 Patricia had her hair curled and pulled back beautifully, showing off her captivating dress. 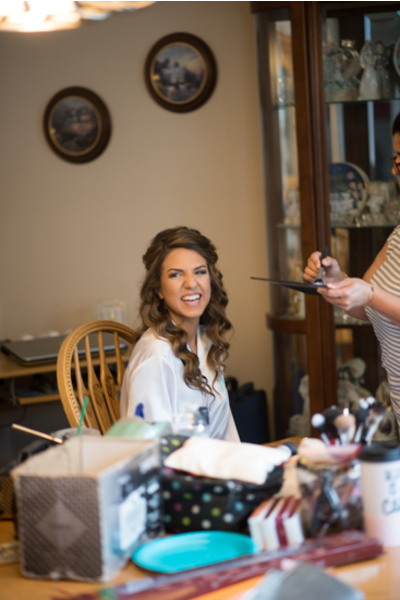 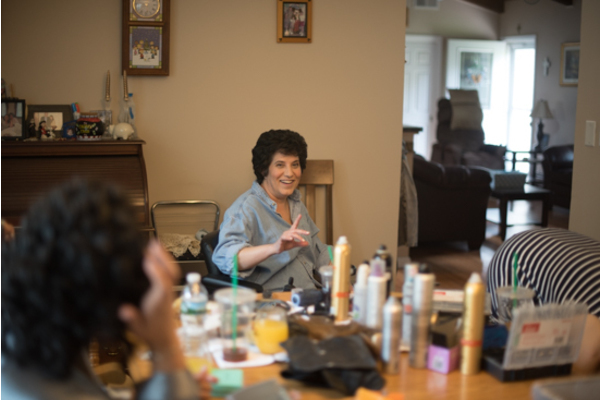 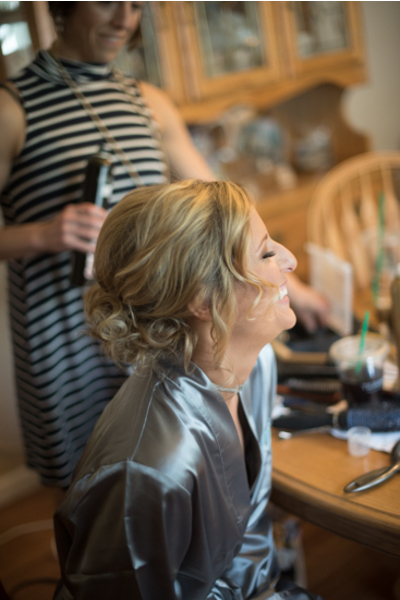 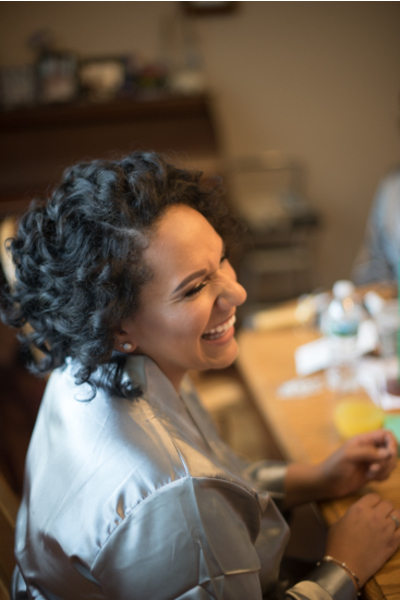 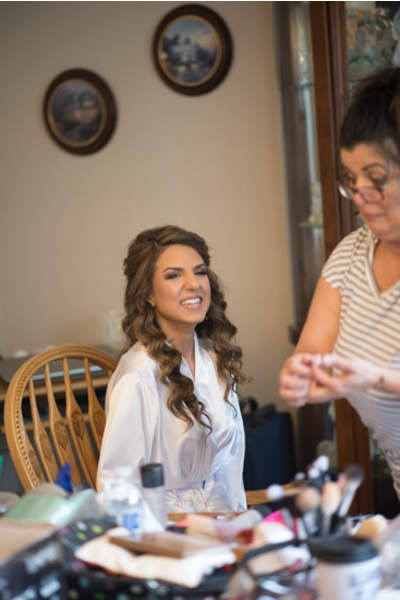 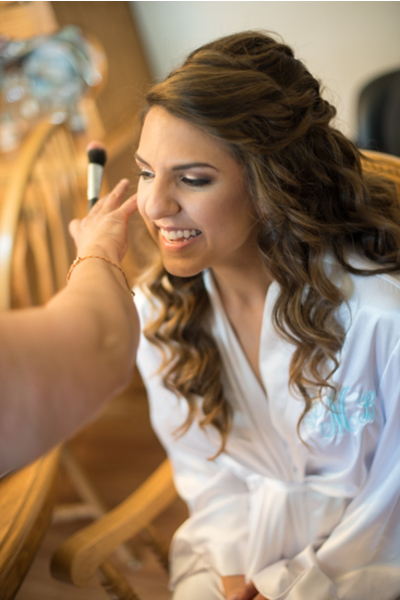 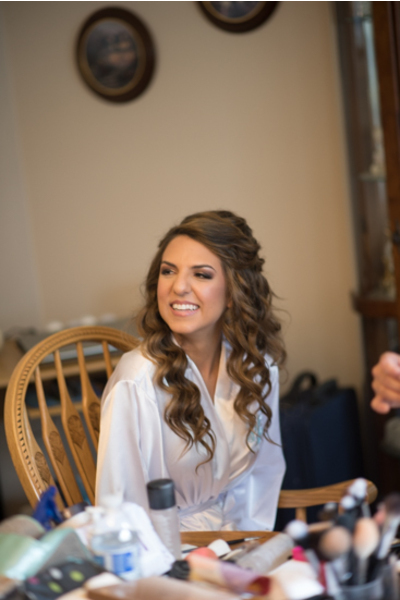 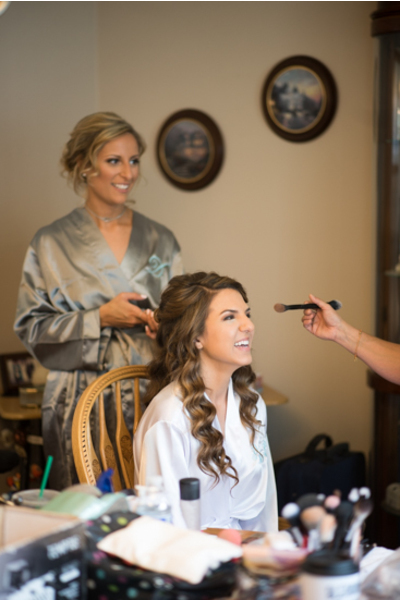 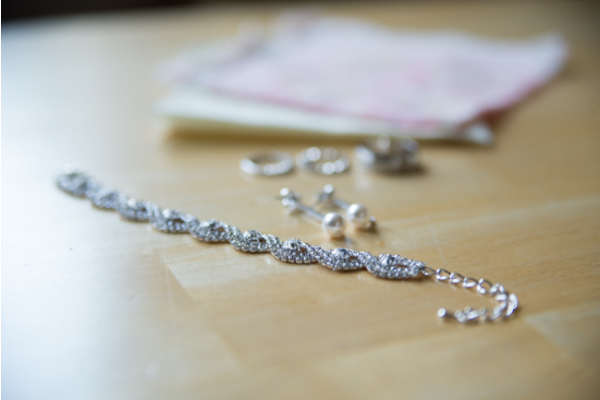 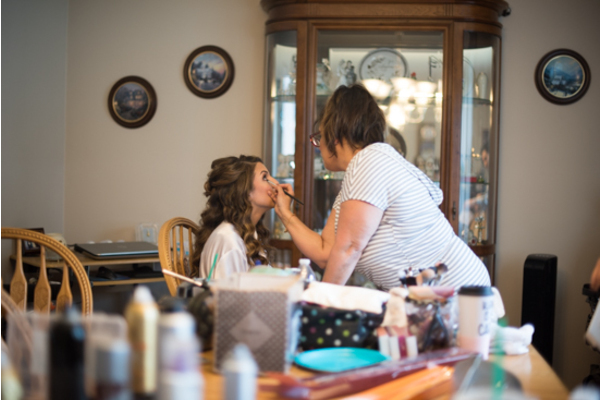 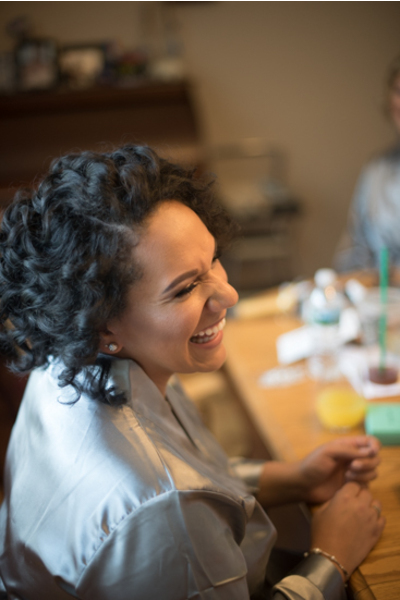 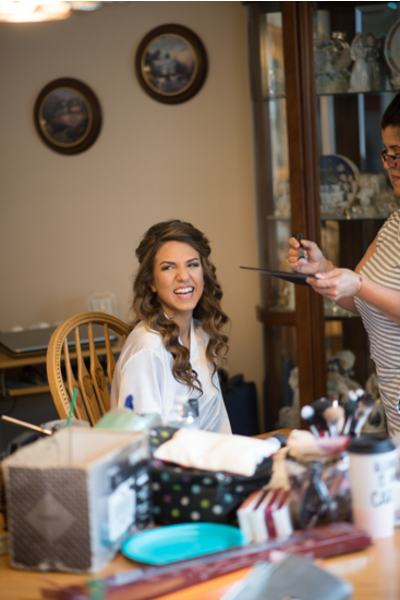 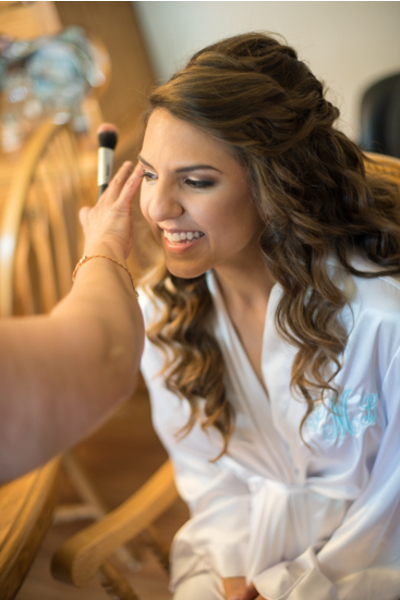 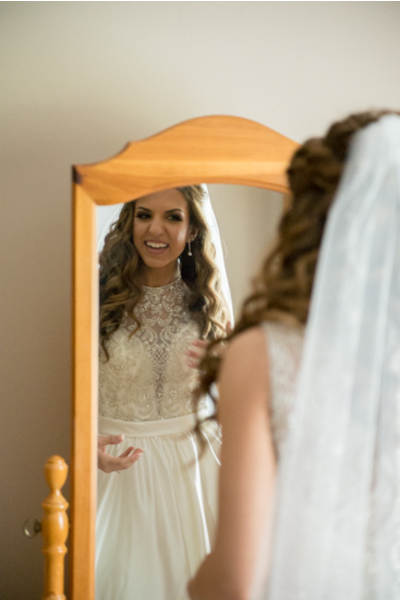 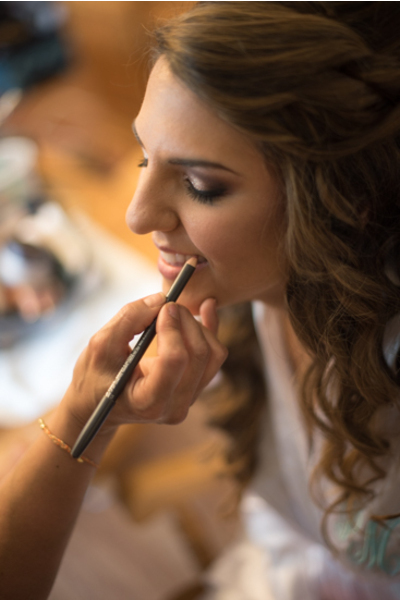 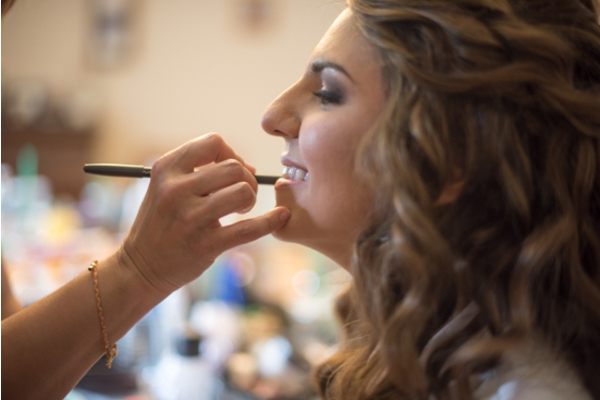 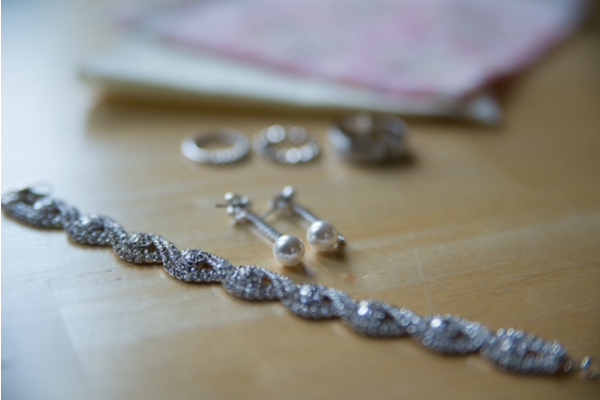 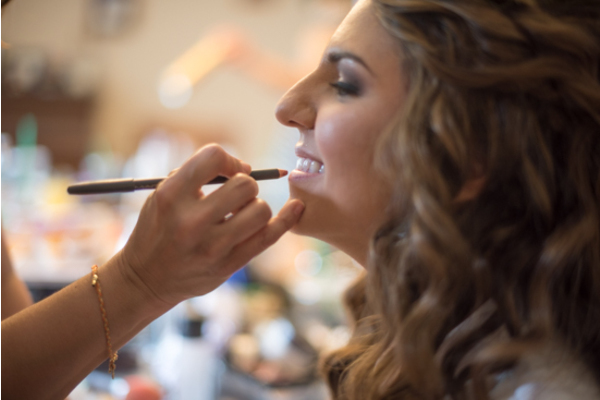 The bride to be was all smiles as she was getting ready to walk down the aisle. 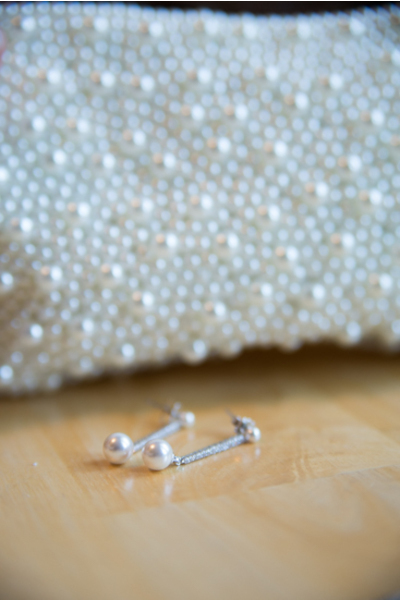 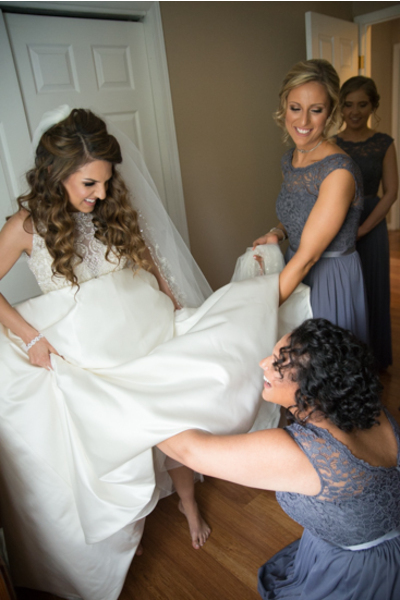 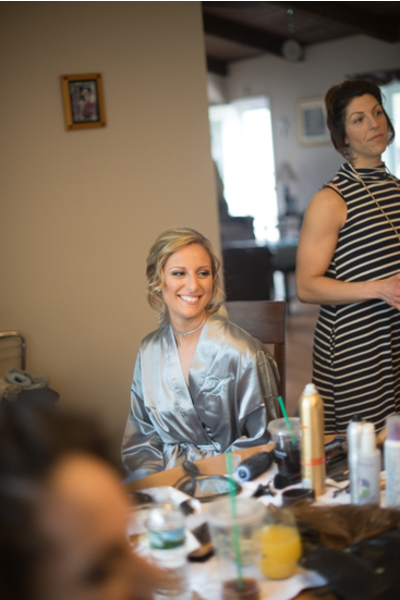 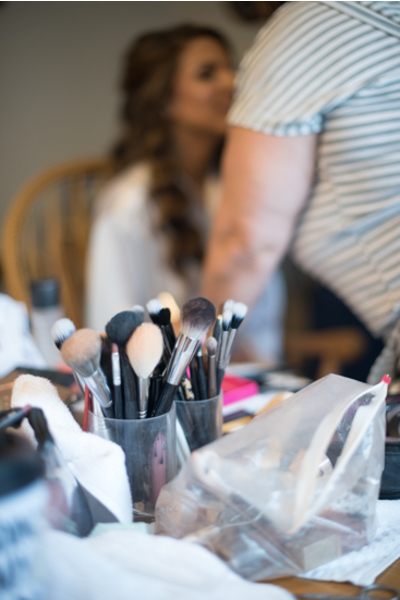 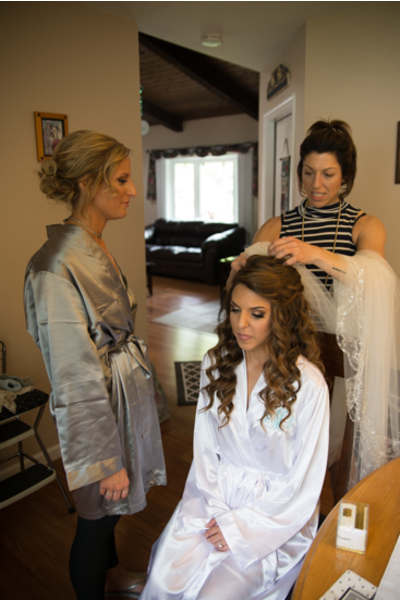 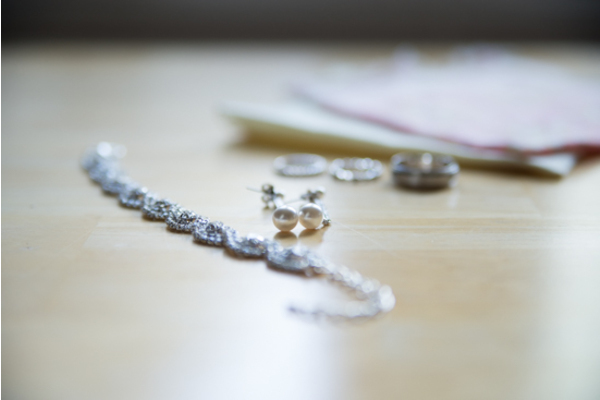 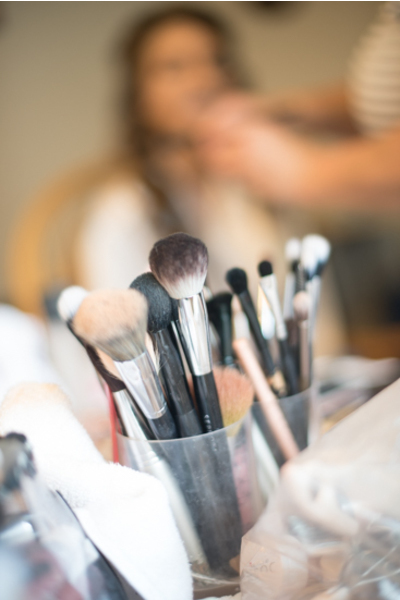 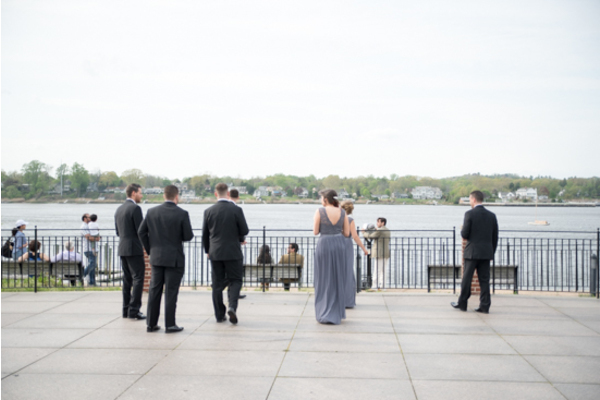 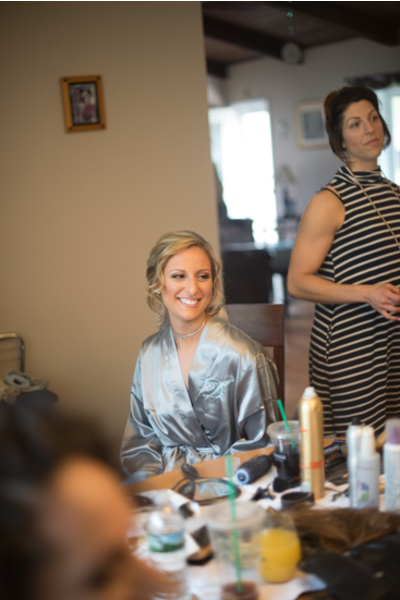 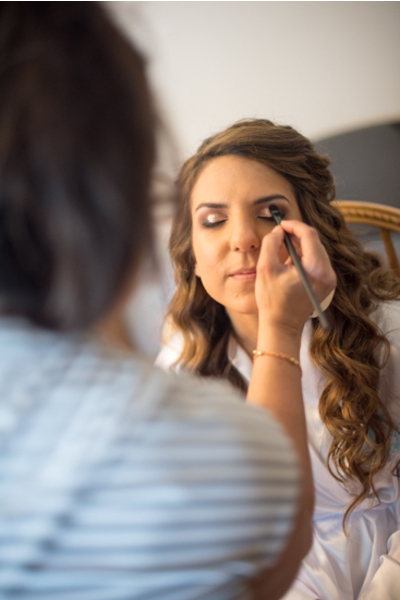 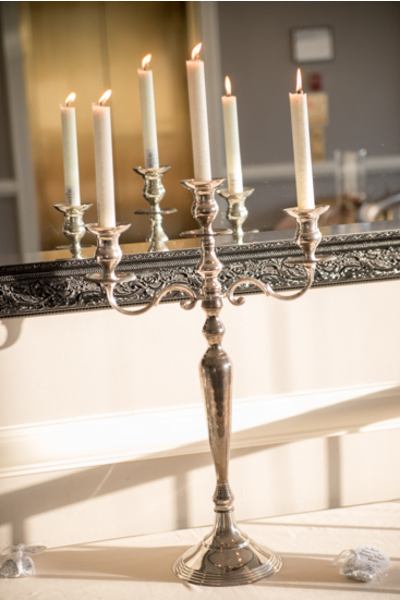 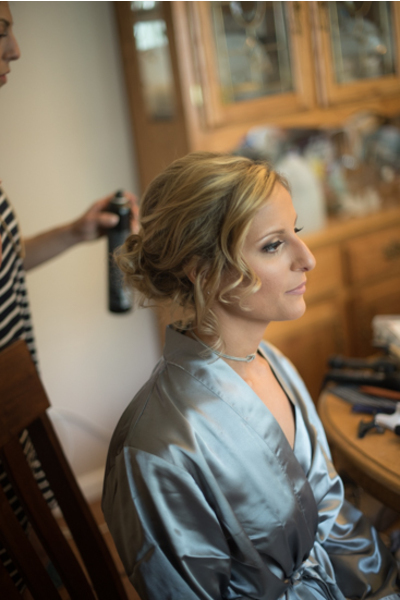 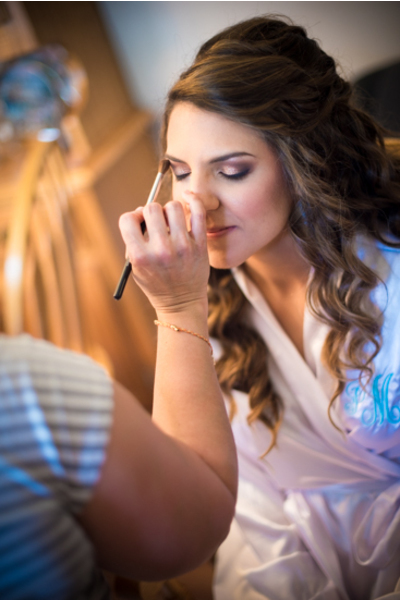 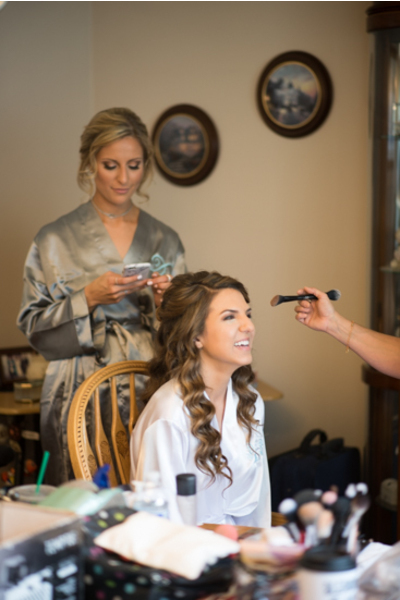 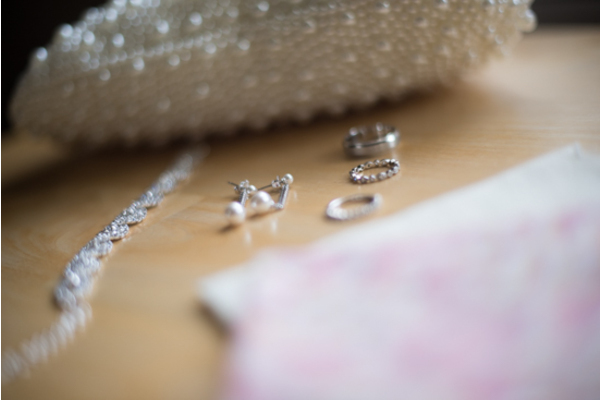 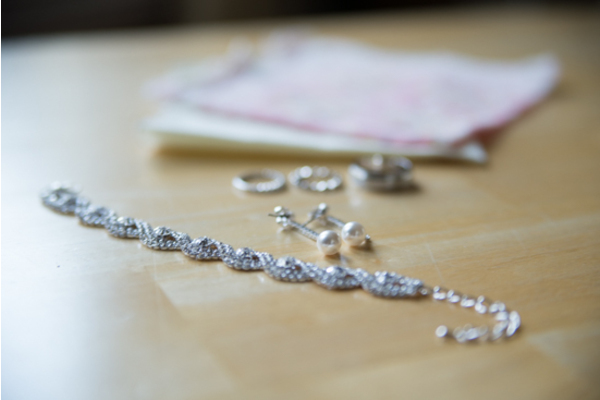 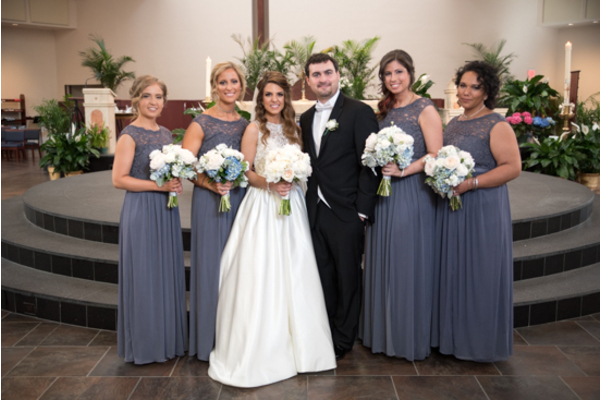 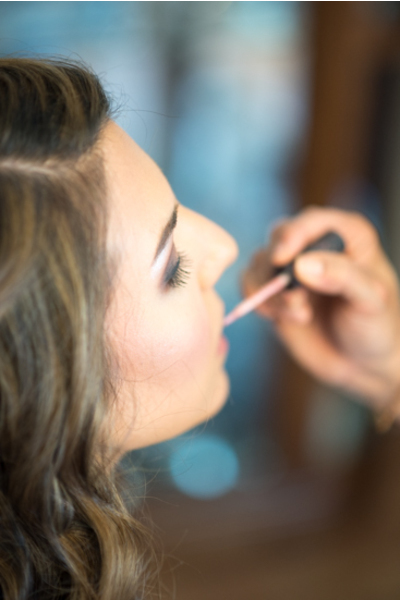 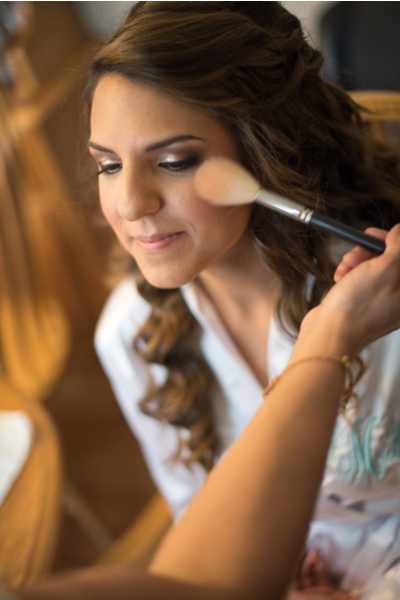 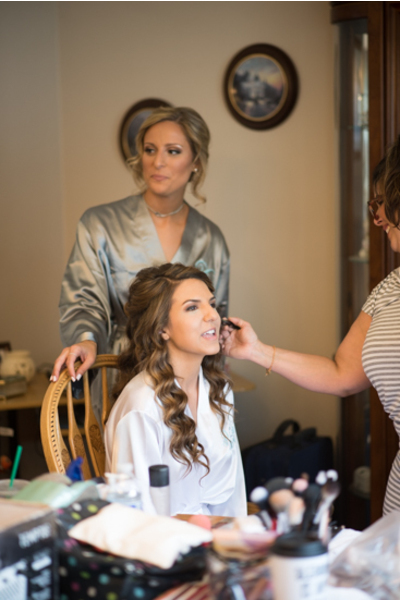 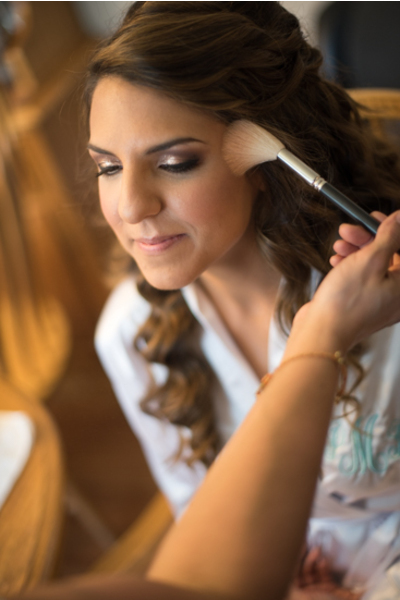 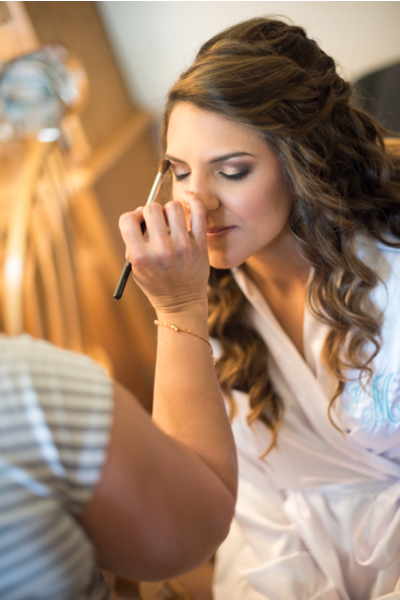 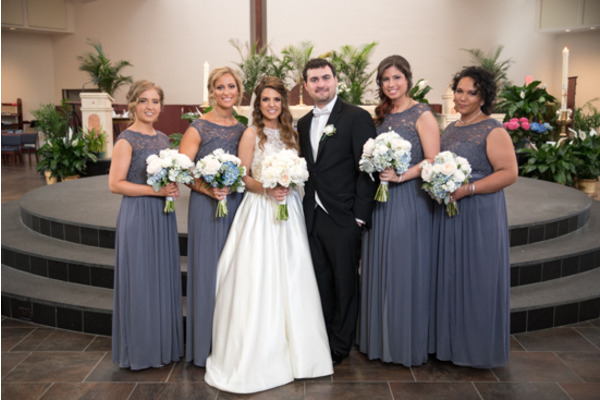 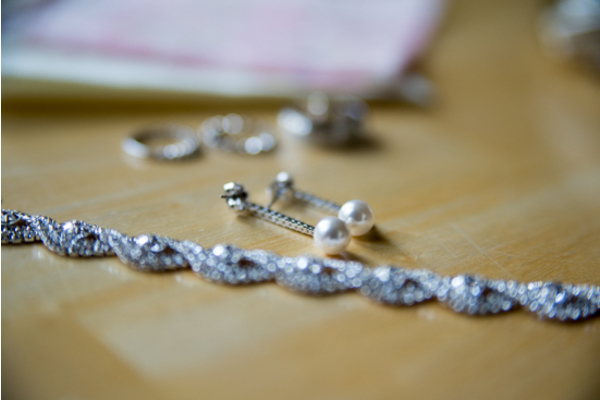 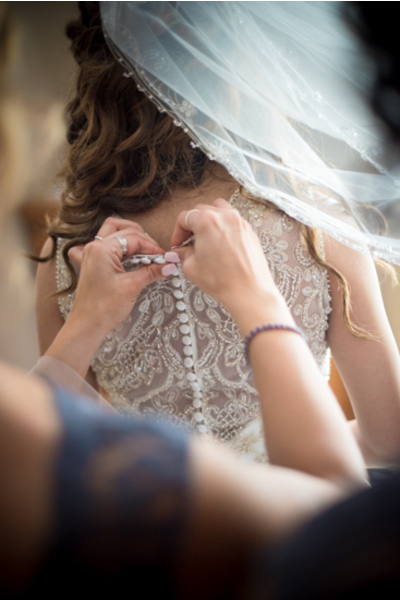 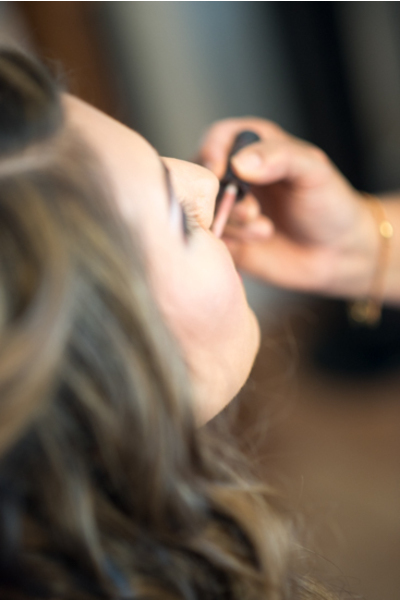 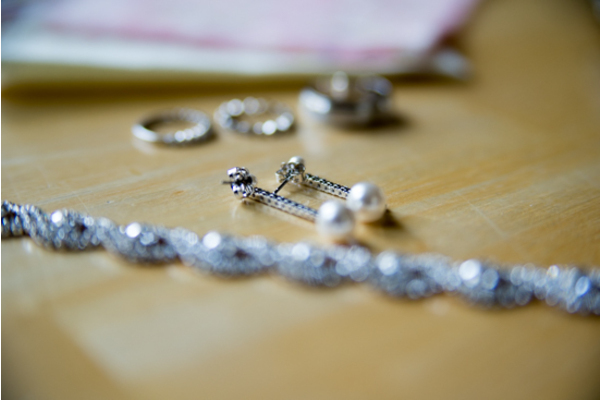 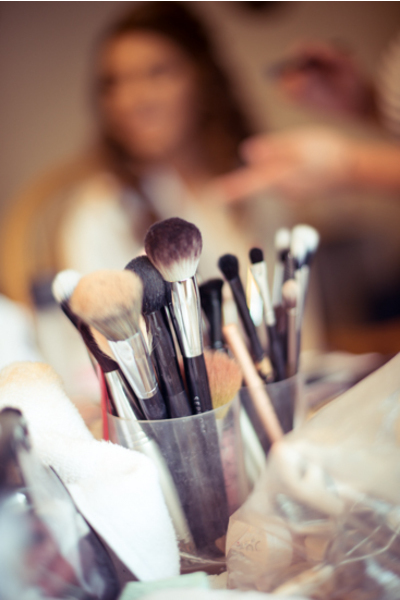 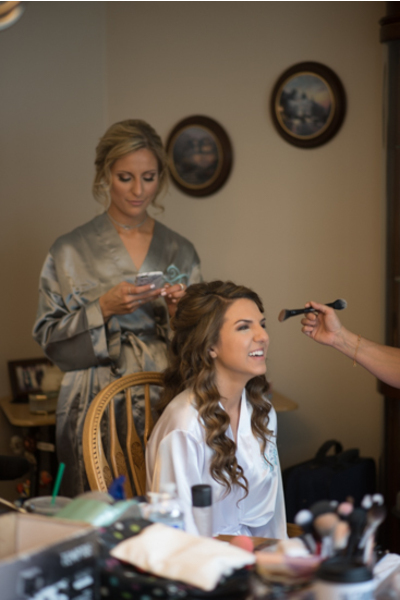 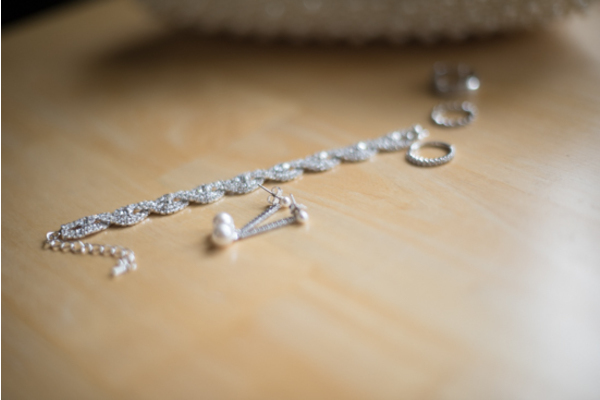 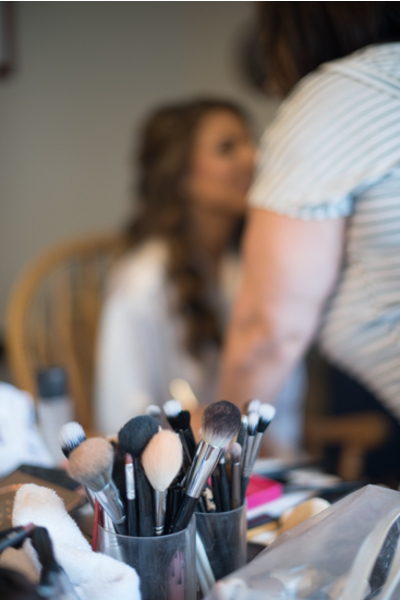 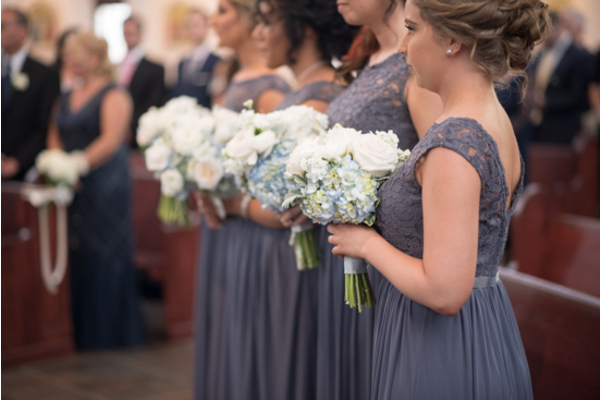 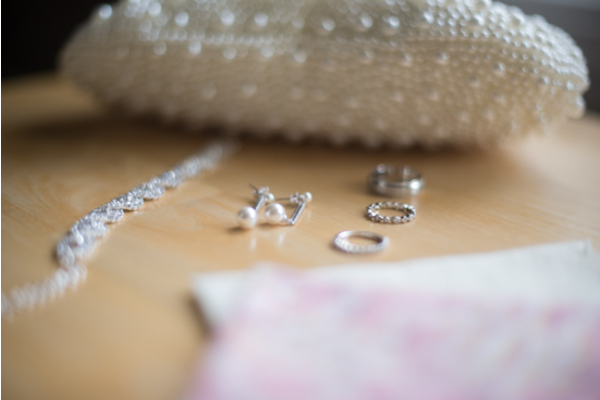 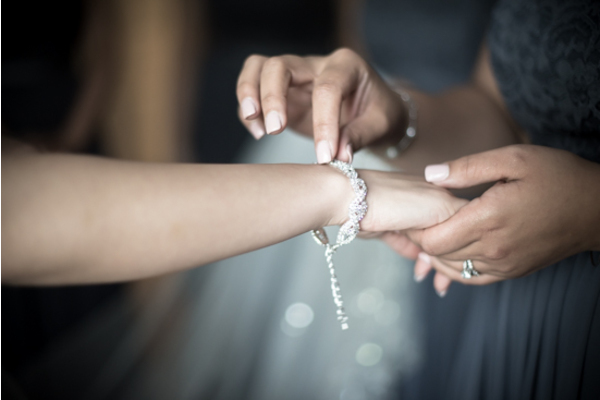 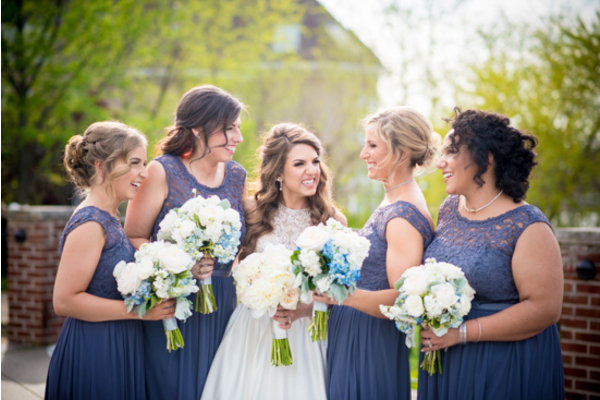 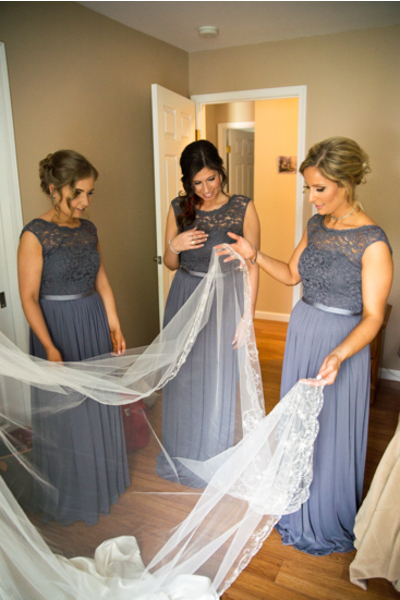 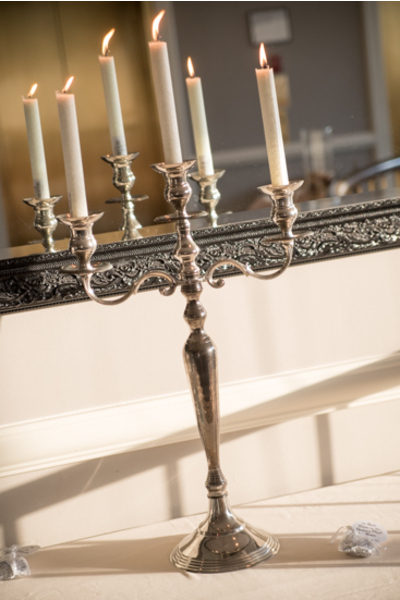 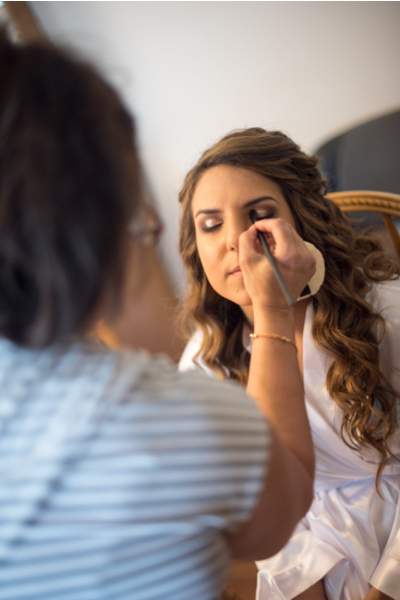 Our NJ Wedding Photographer was there to capture every moment of the bride to be getting ready with her bridesmaids by her side. 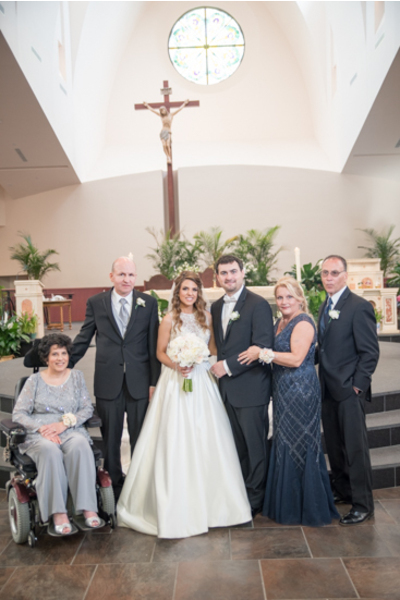 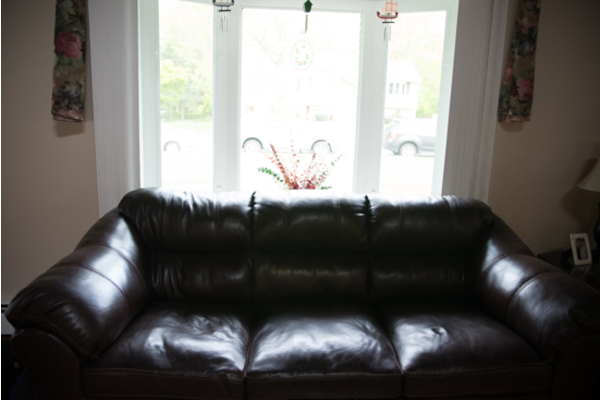 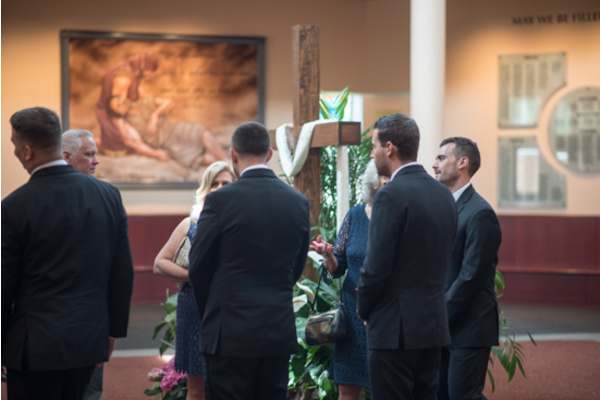 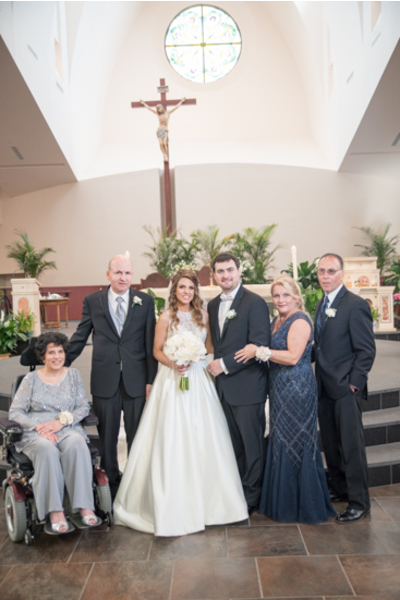 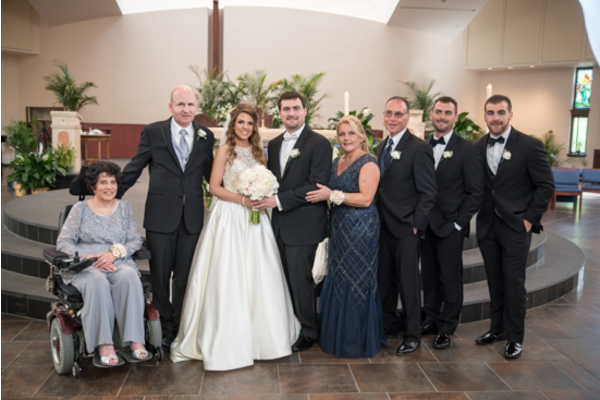 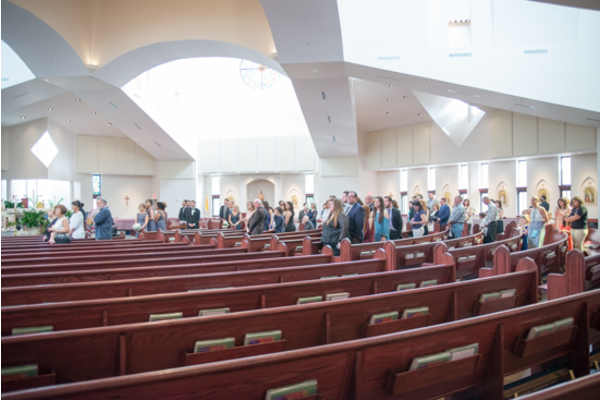 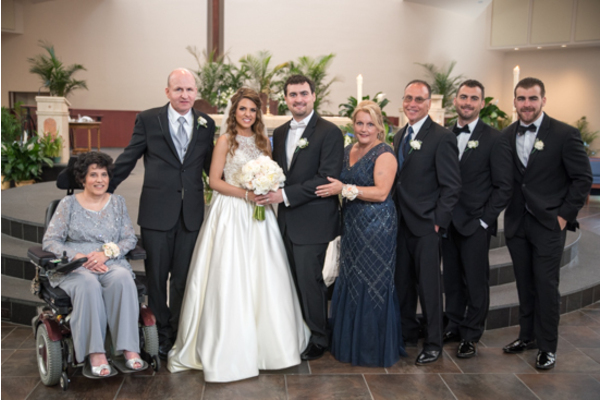 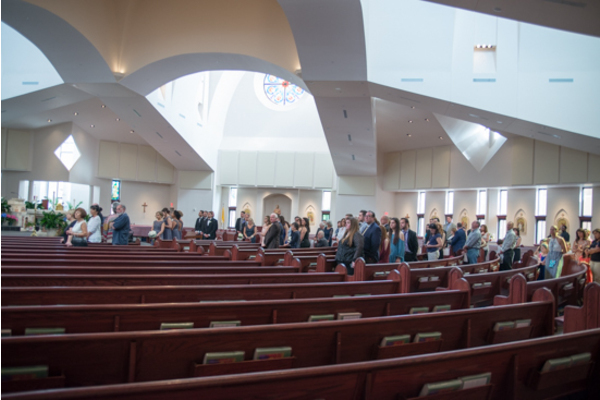 All of Patricia and Nick’s loved ones gathered at the ceremony waiting for Patricia to appear. 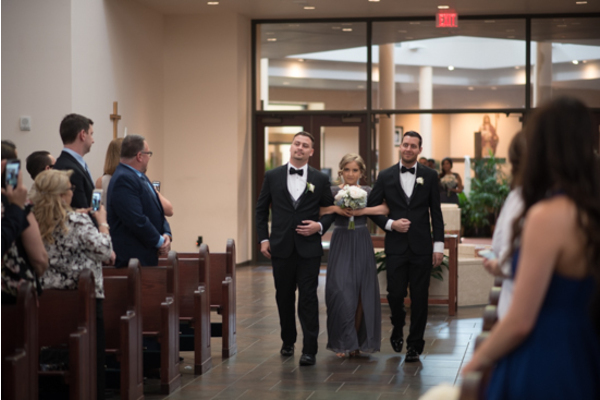 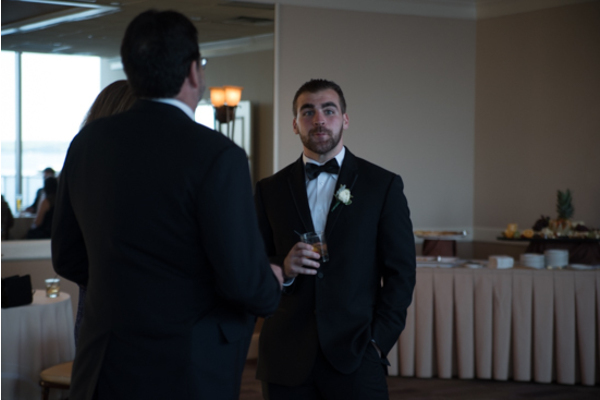 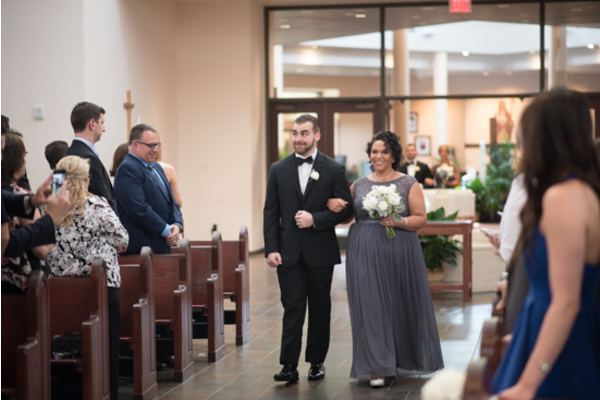 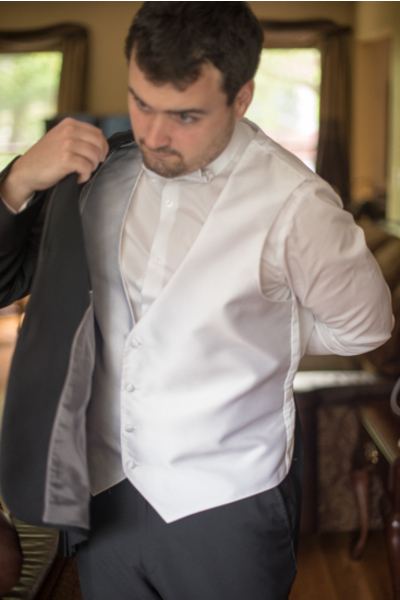 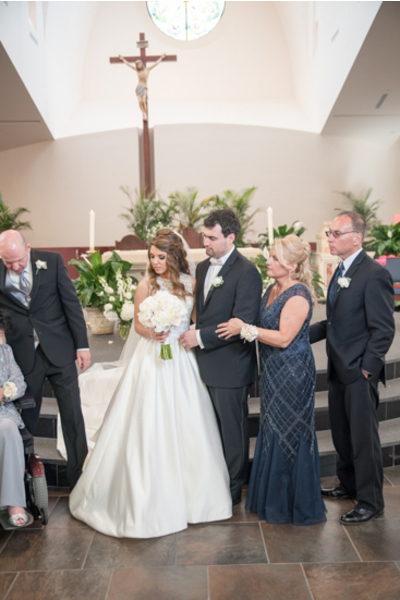 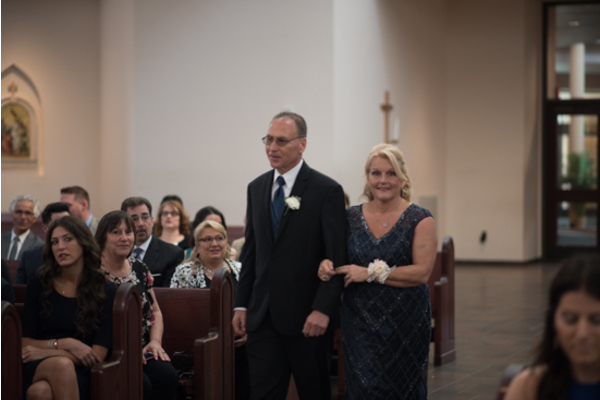 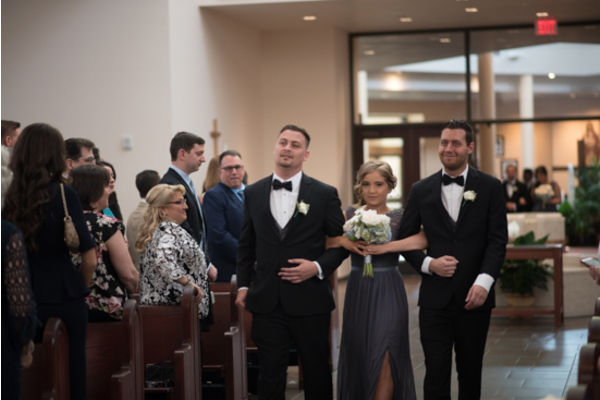 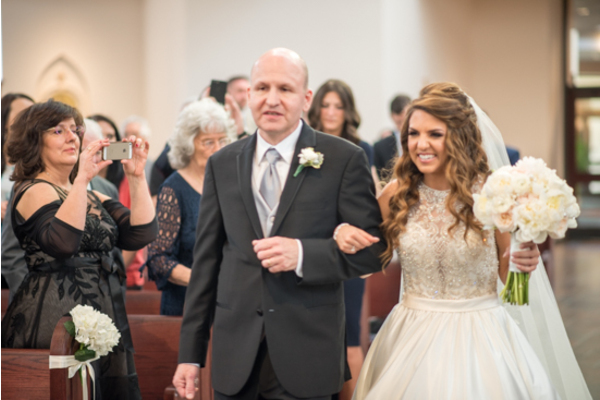 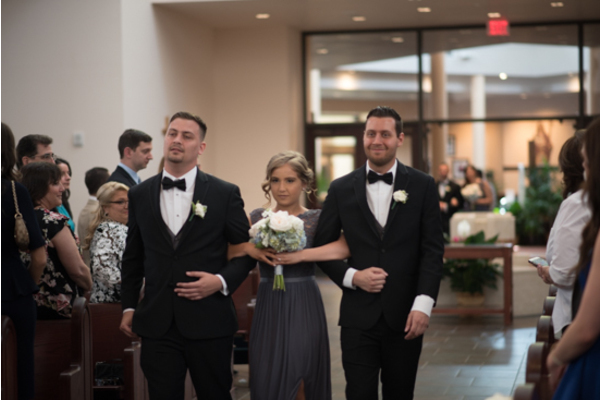 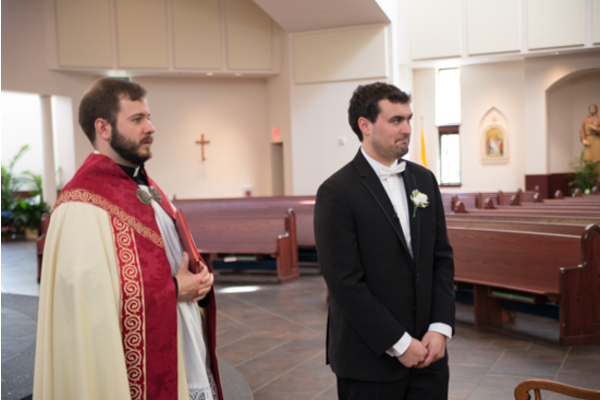 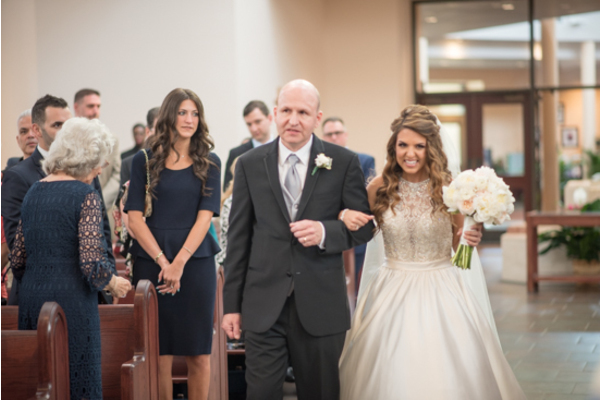 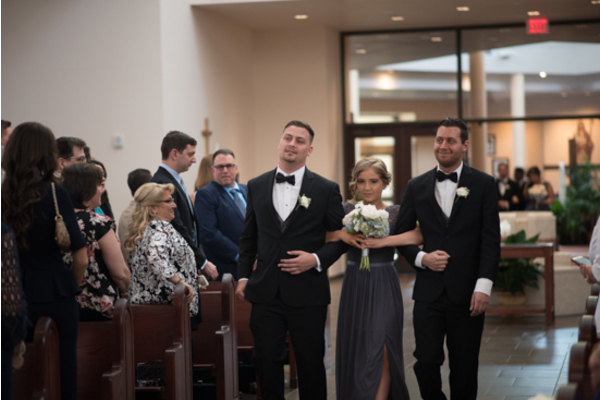 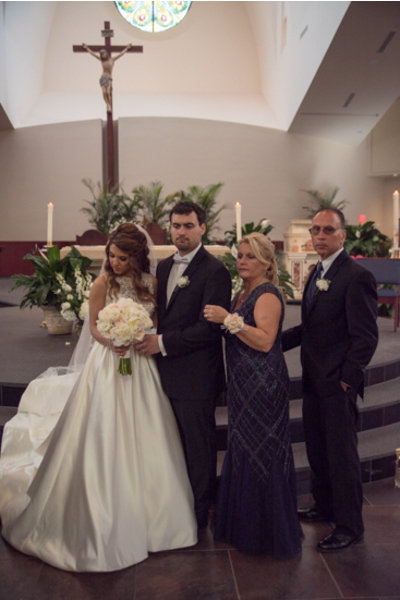 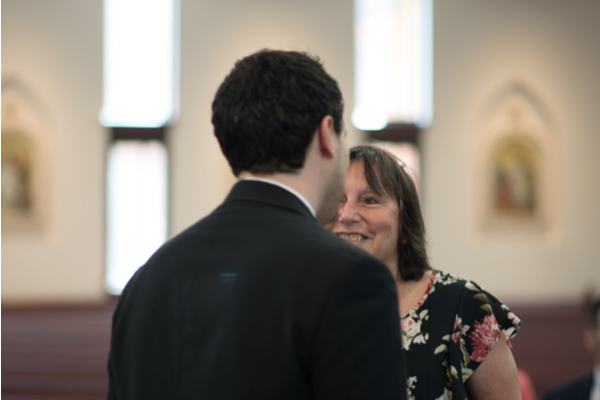 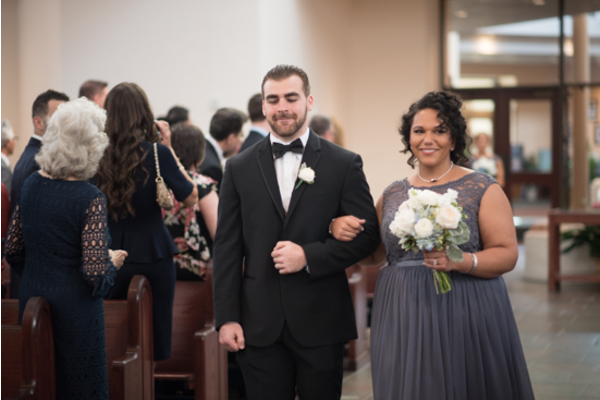 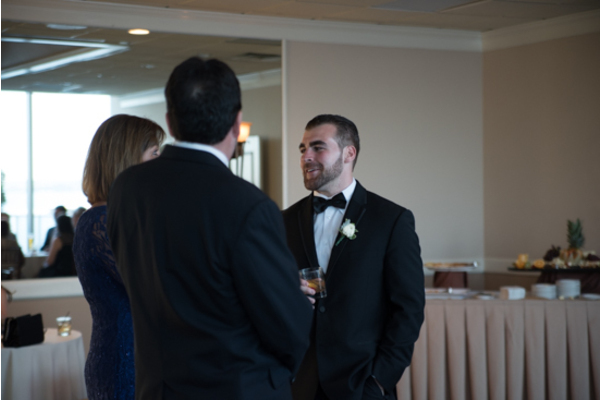 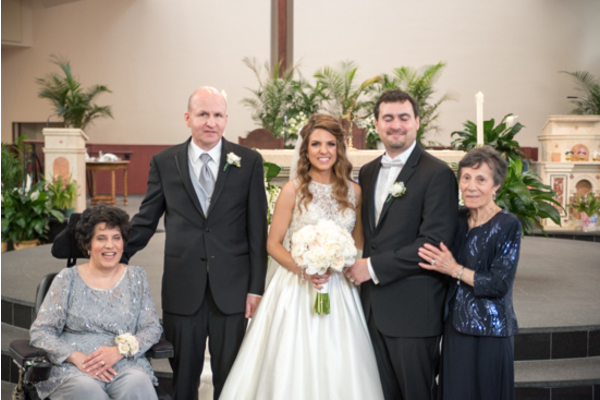 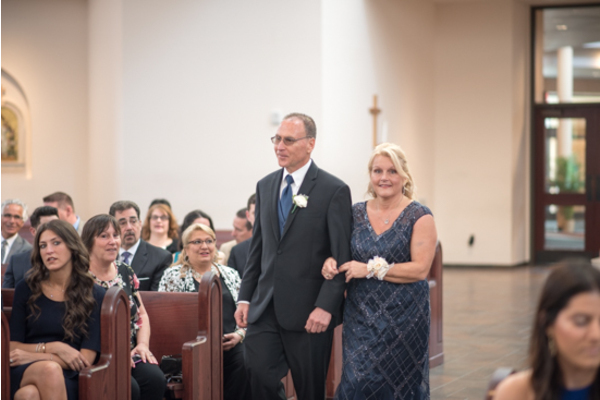 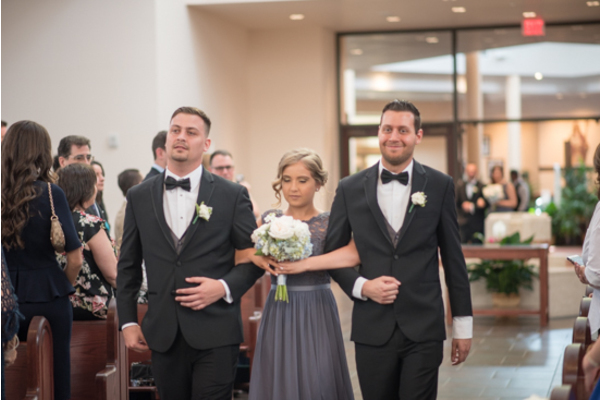 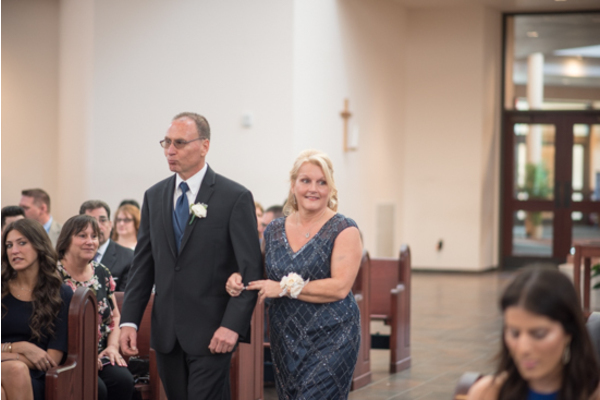 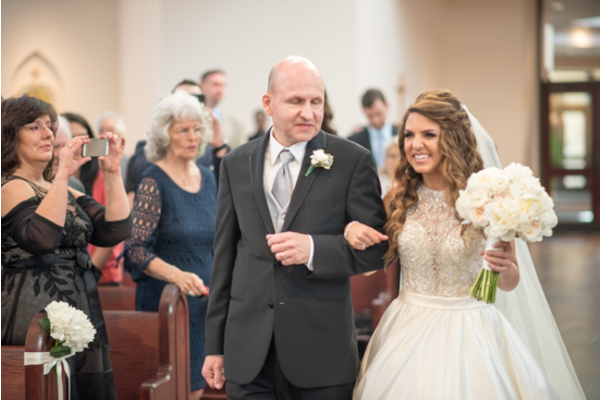 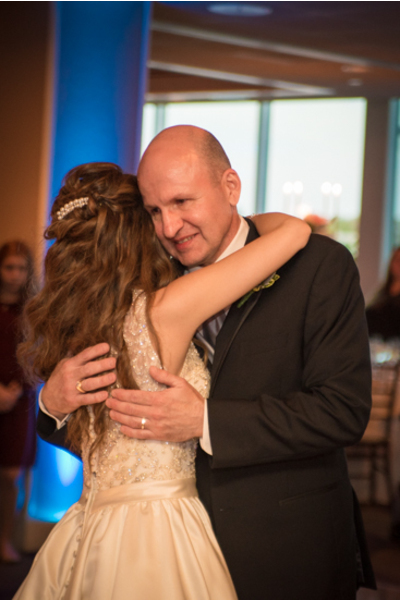 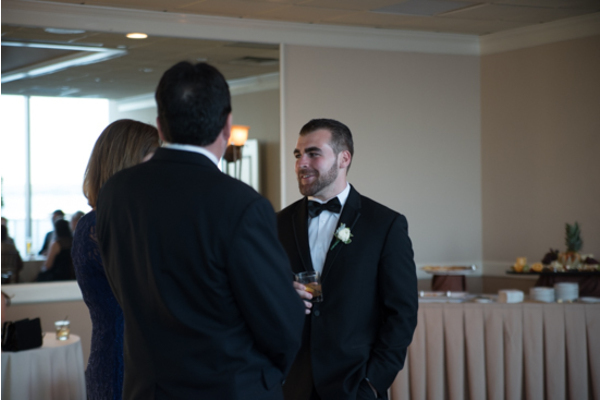 As Patricia made her way down the aisle with her father, Nick waited at the other end, his face filled with happiness. 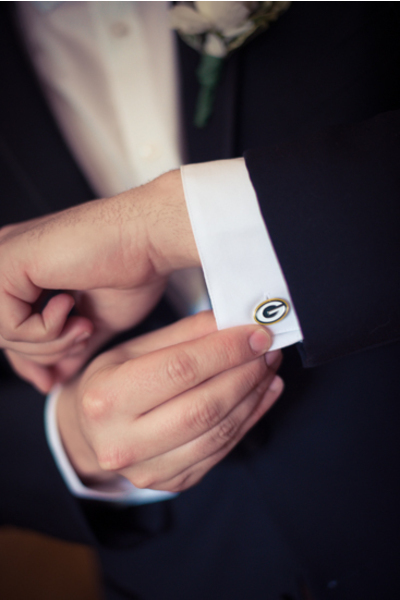 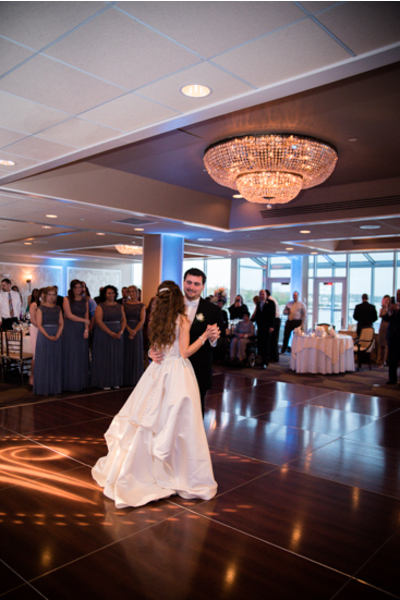 After reciting their vows and saying their I Do’s, Nick Kissed the bride, and they made their way to their reception. 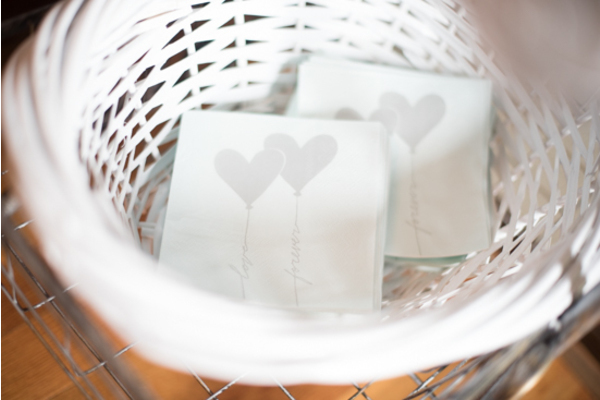 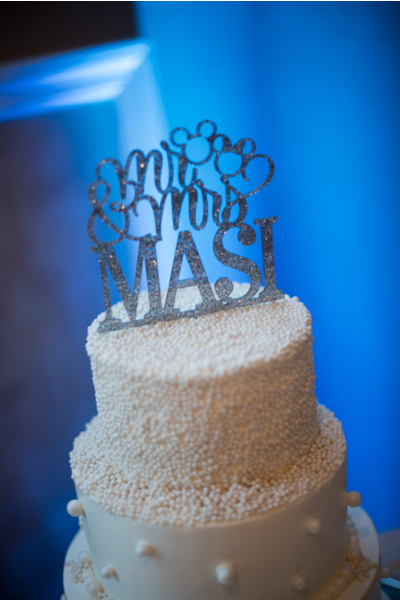 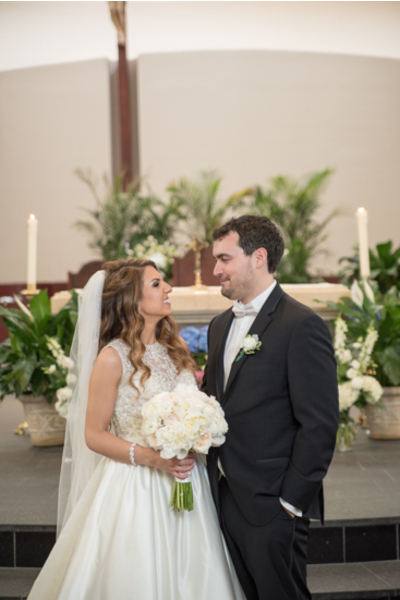 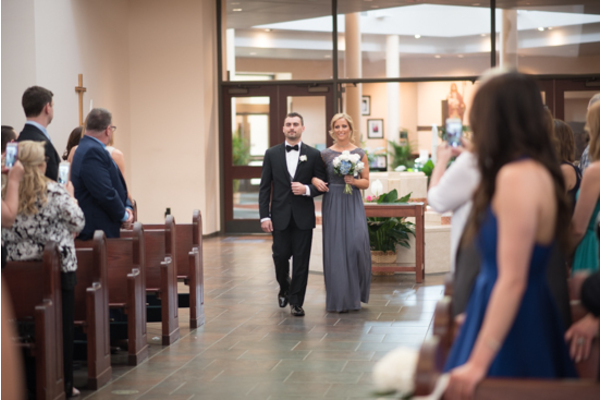 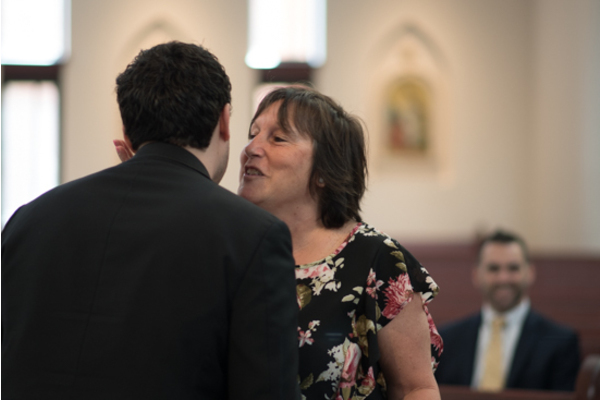 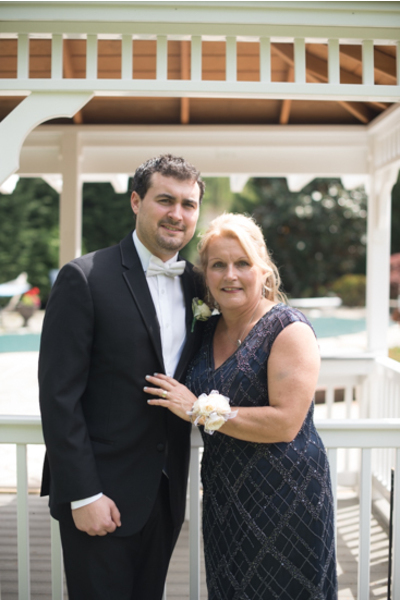 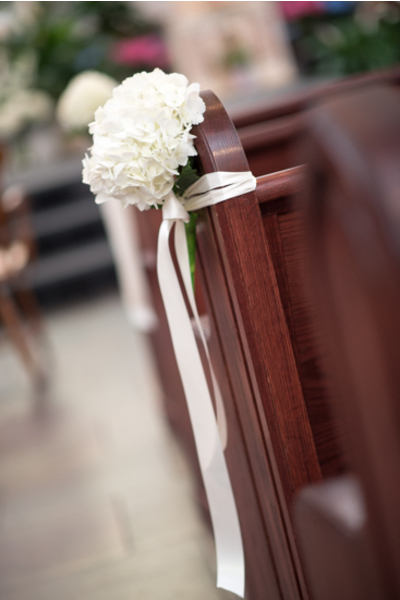 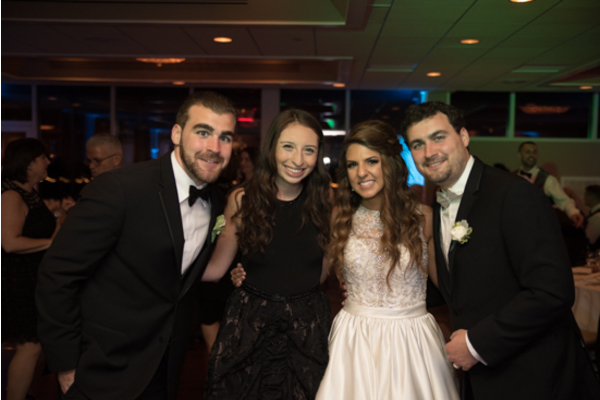 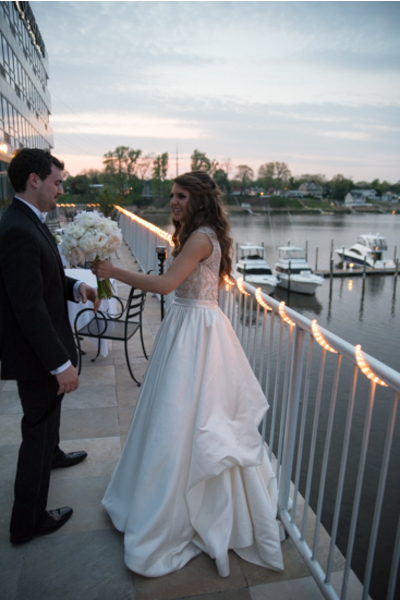 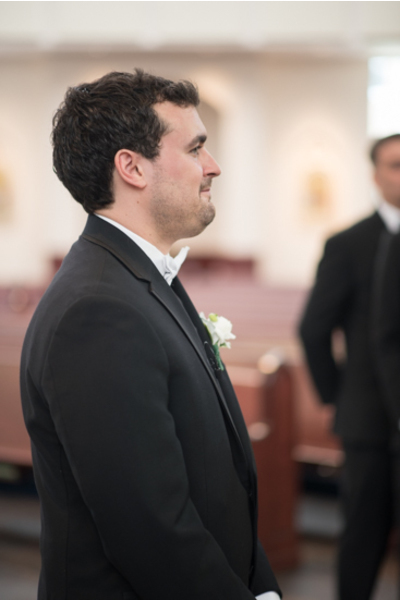 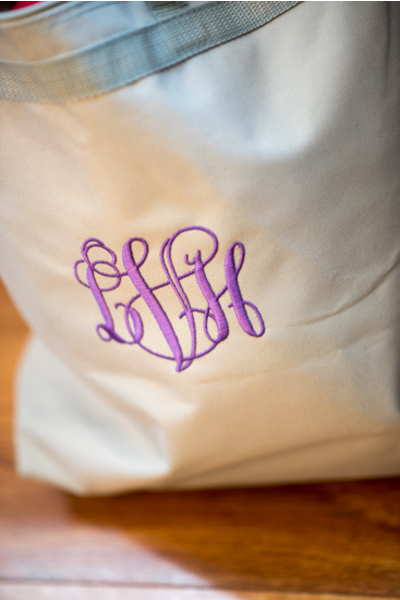 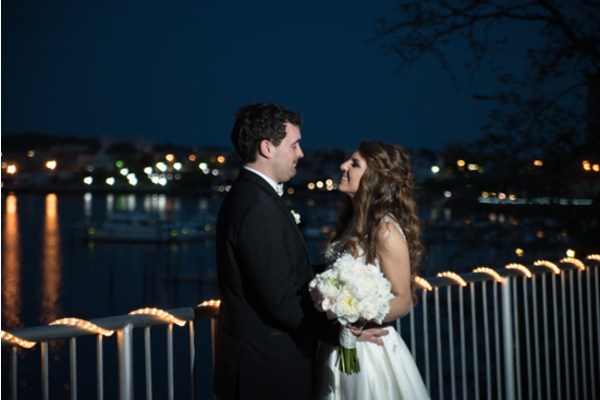 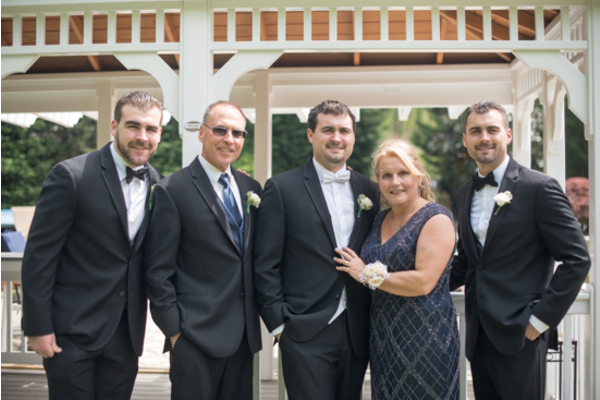 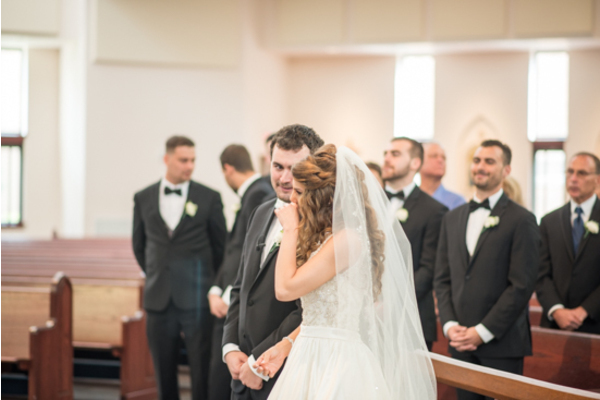 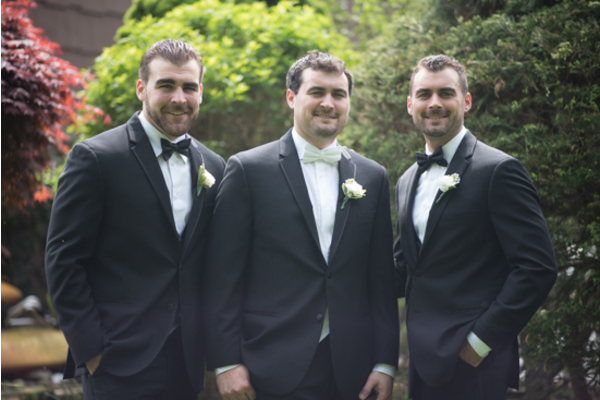 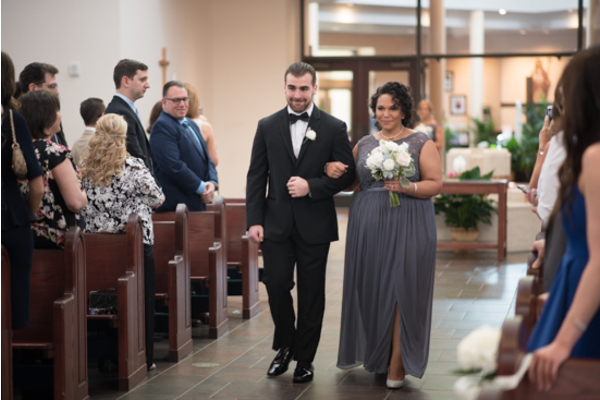 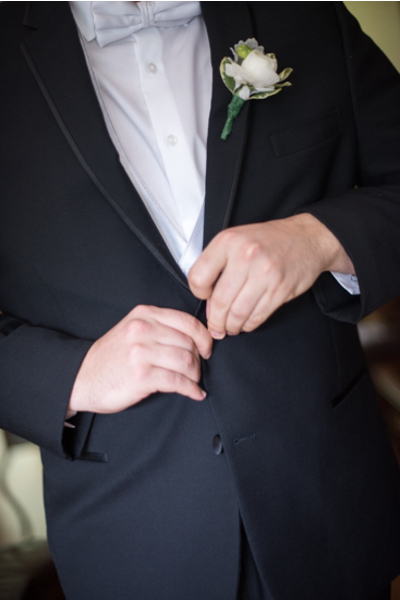 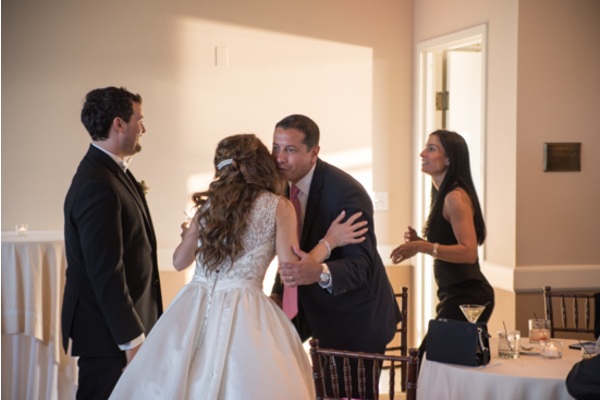 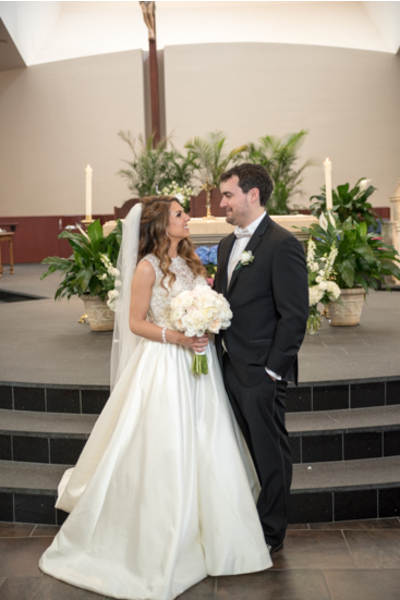 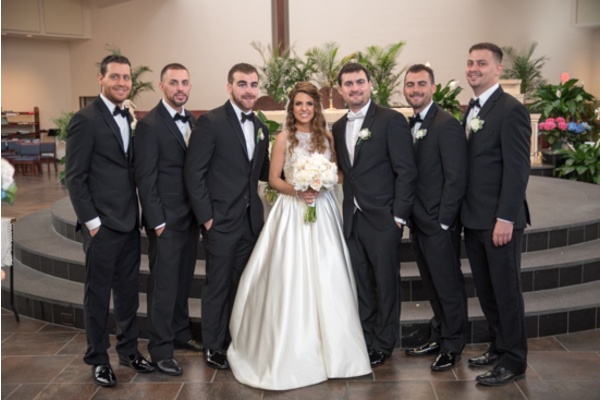 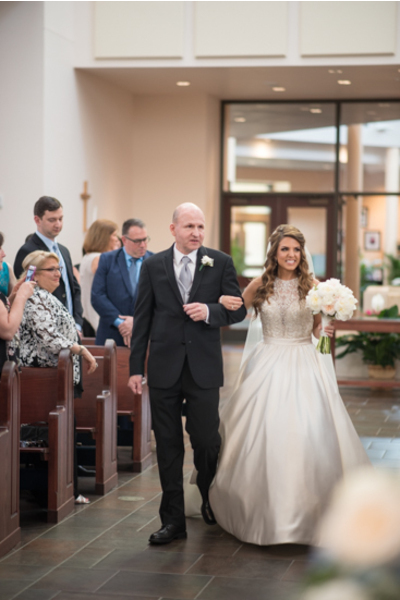 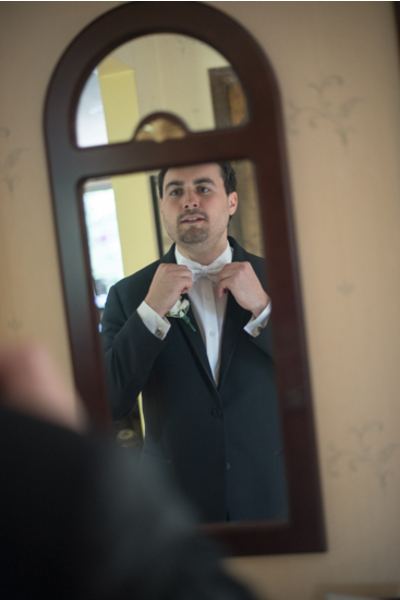 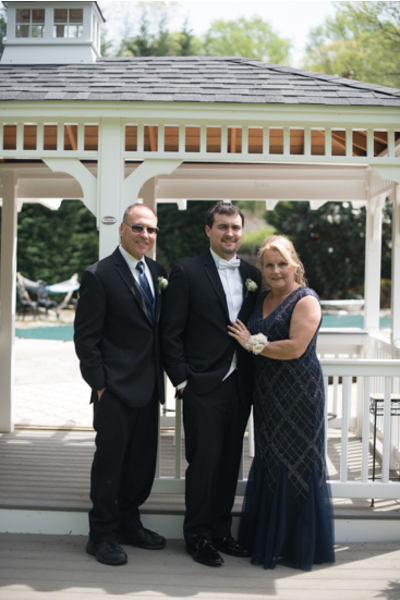 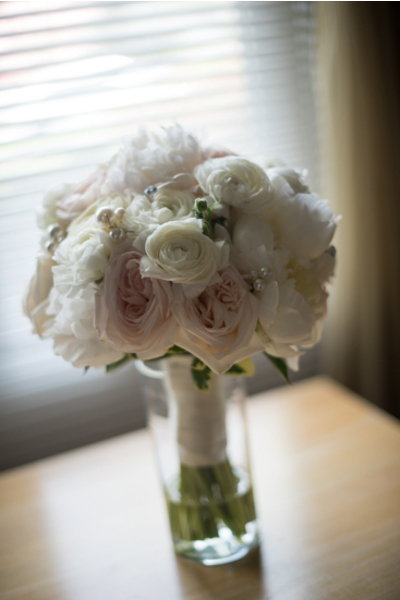 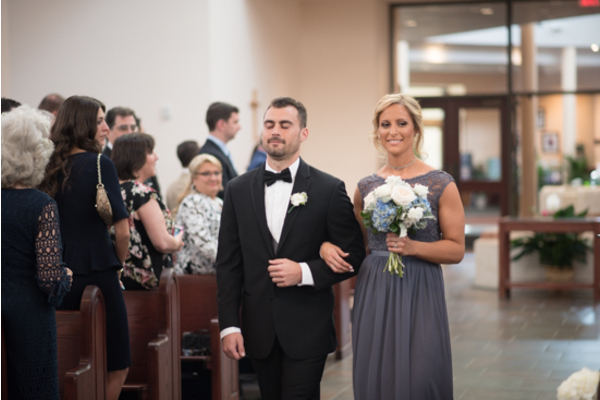 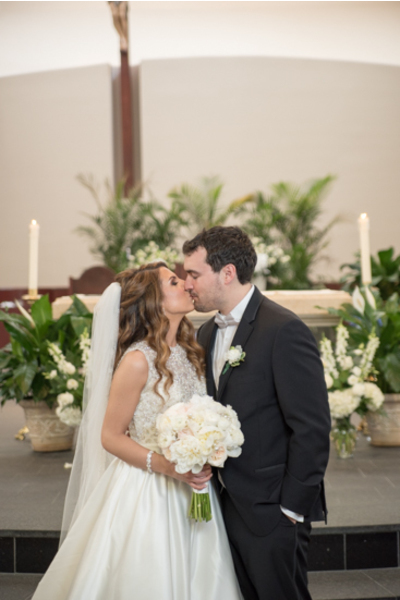 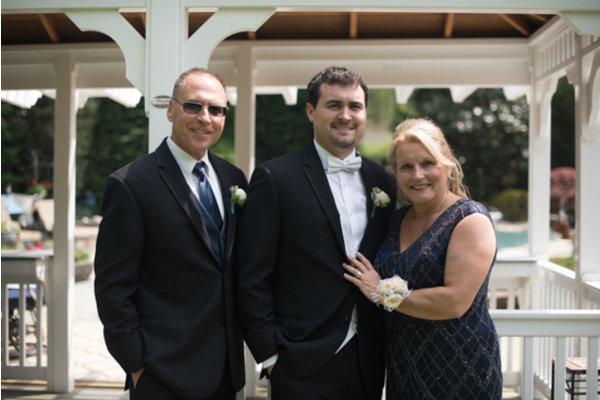 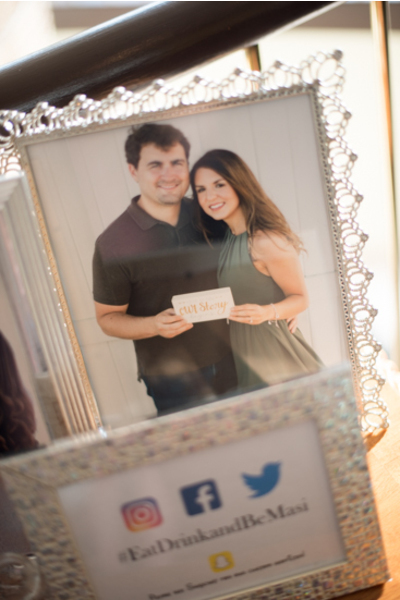 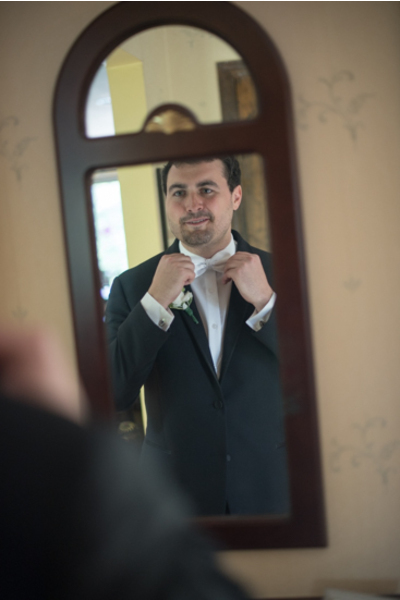 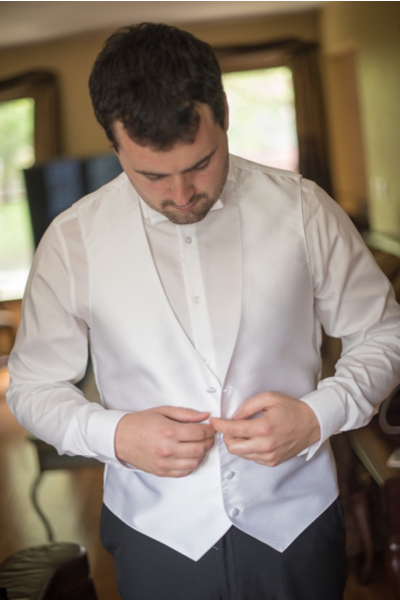 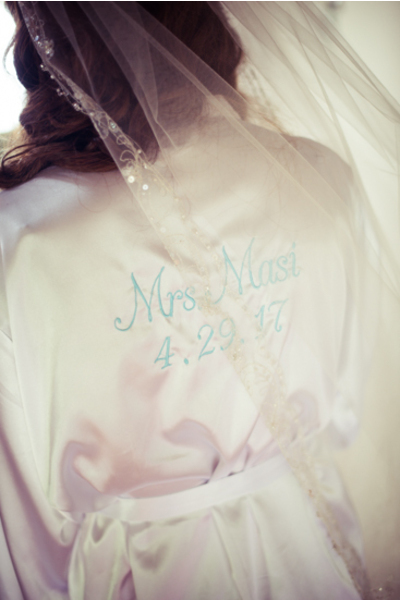 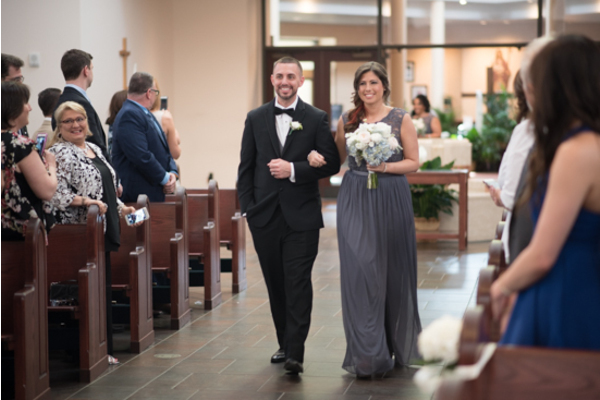 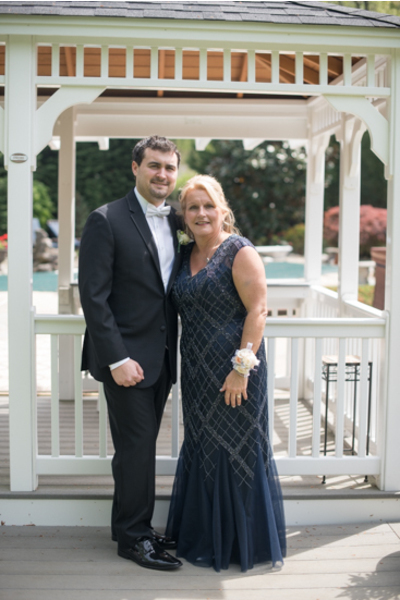 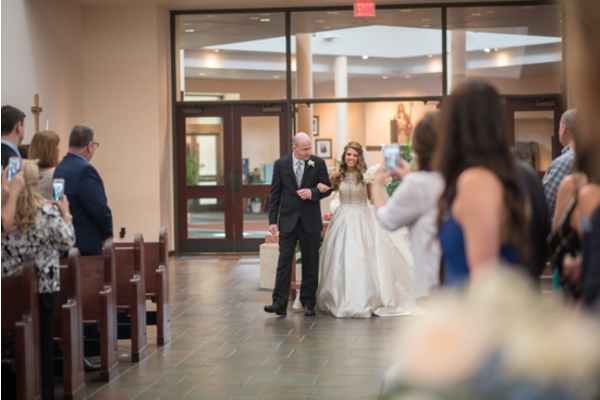 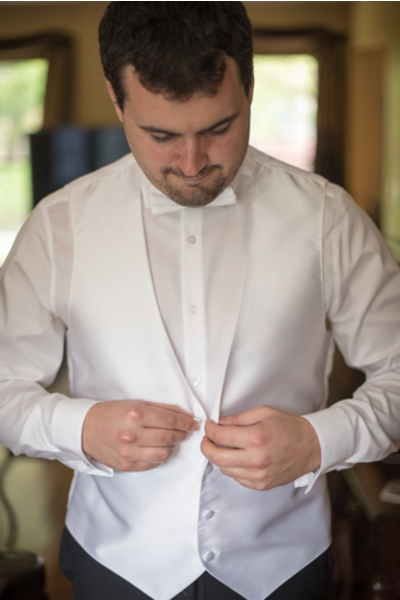 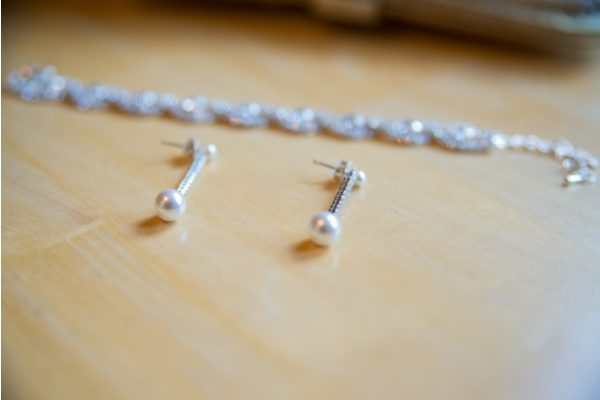 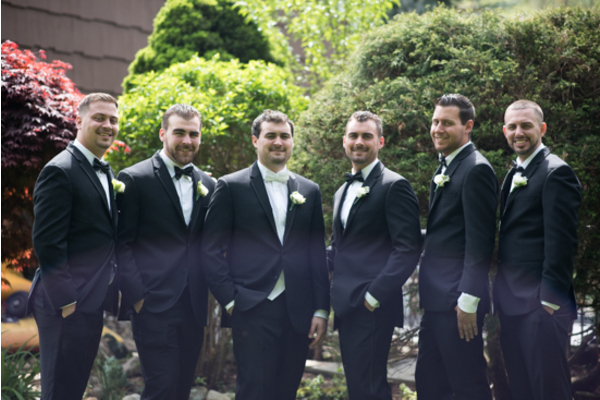 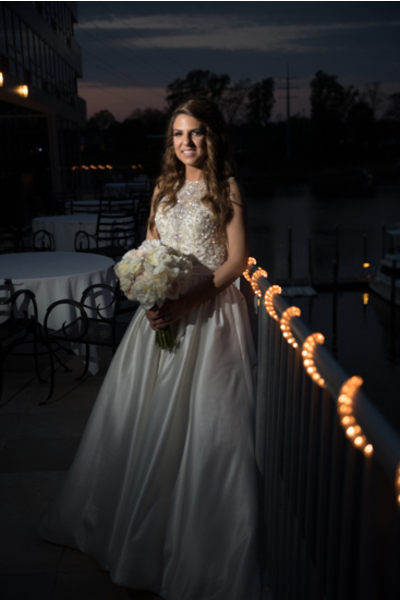 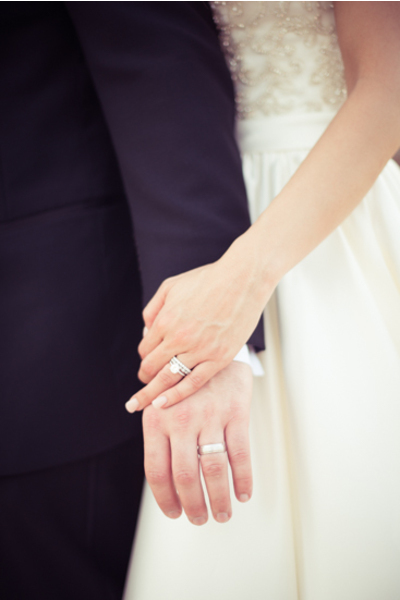 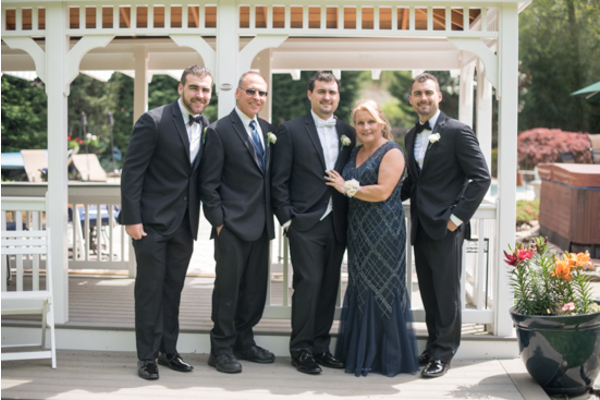 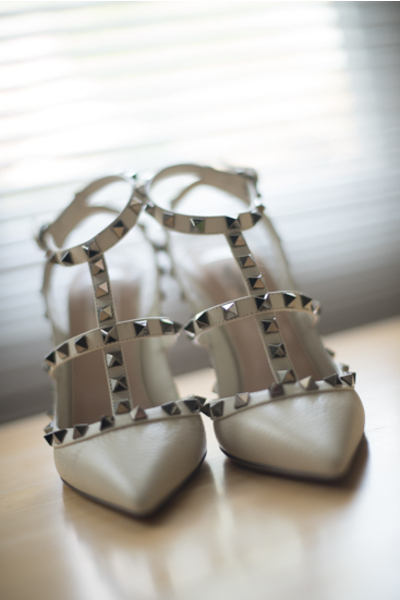 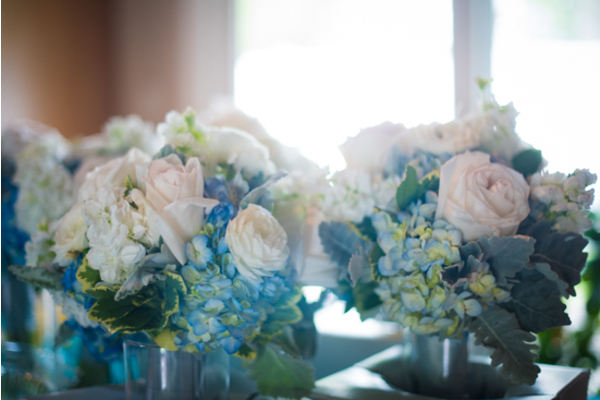 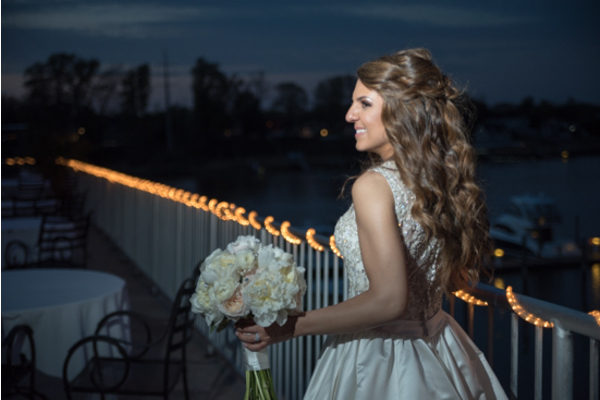 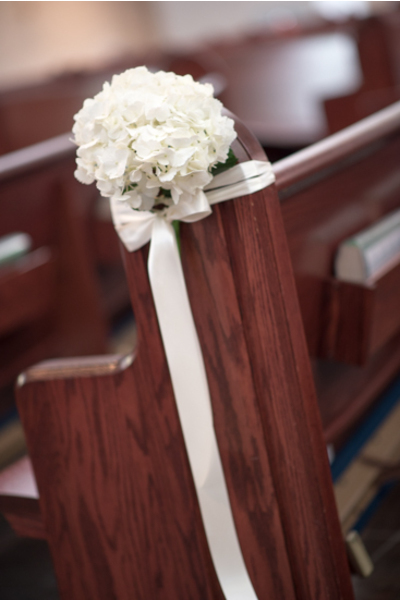 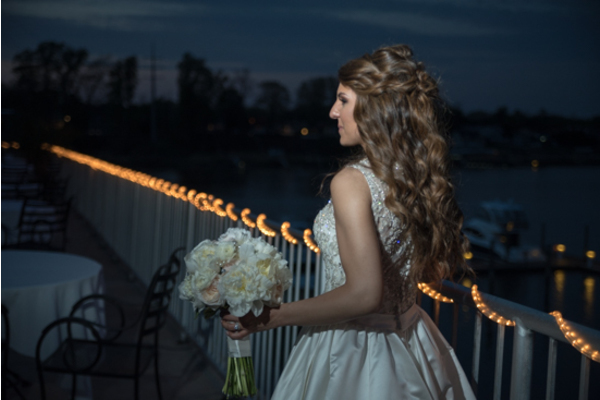 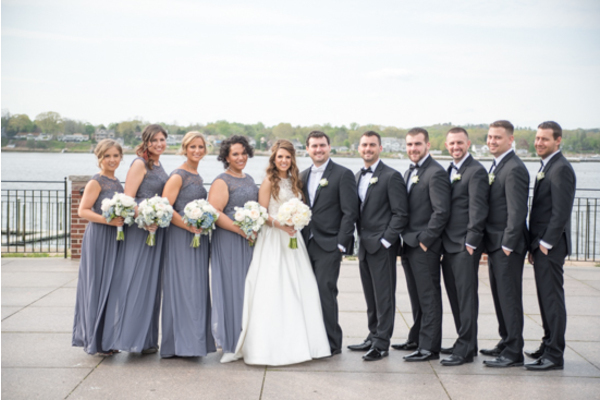 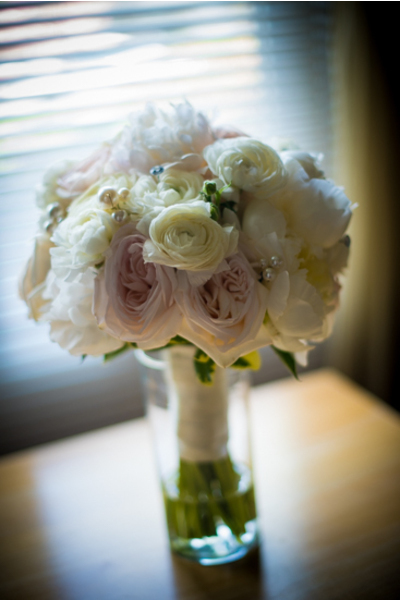 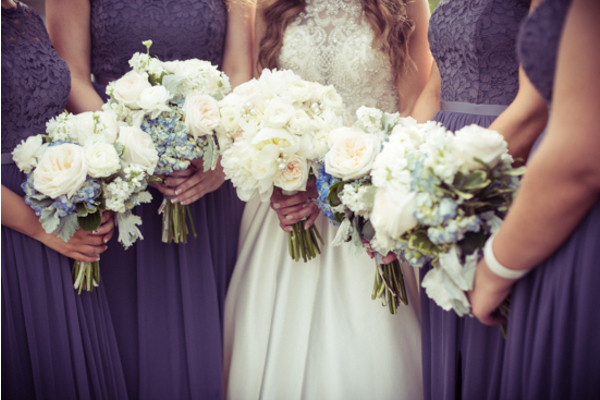 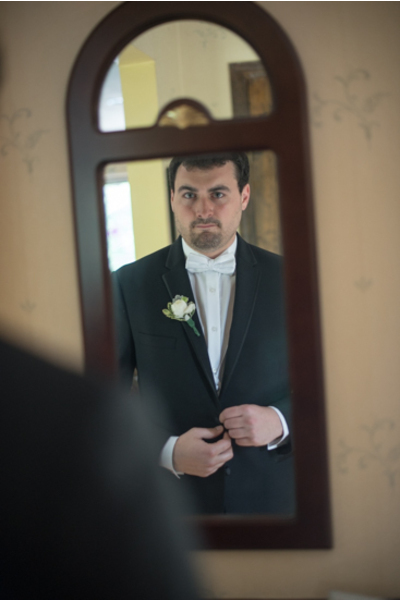 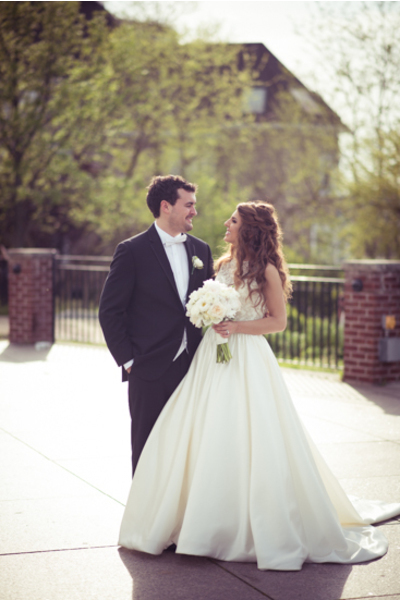 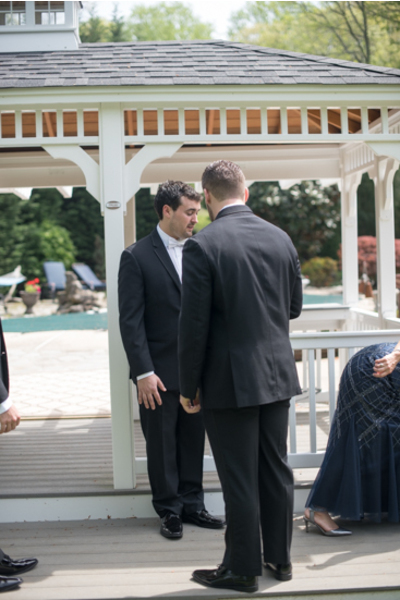 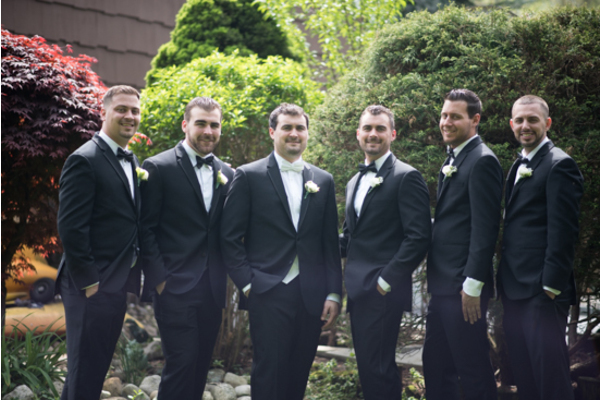 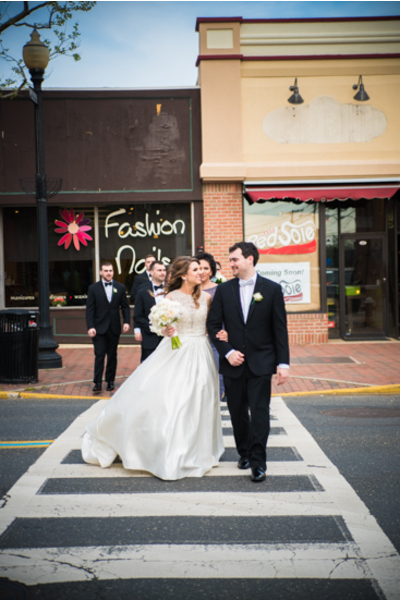 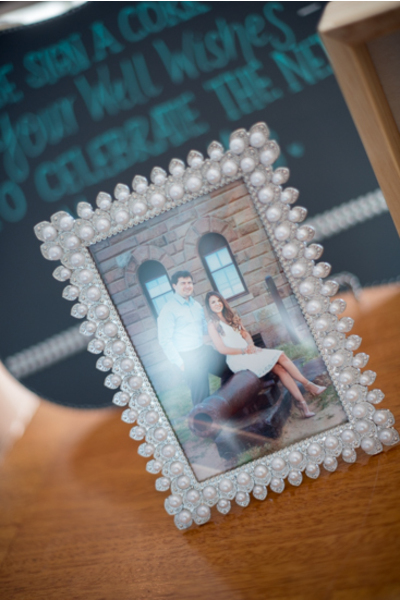 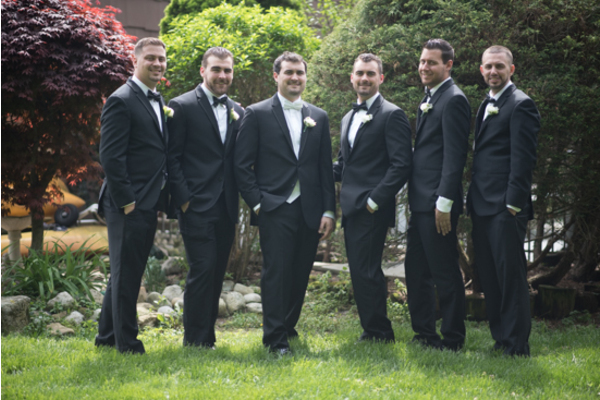 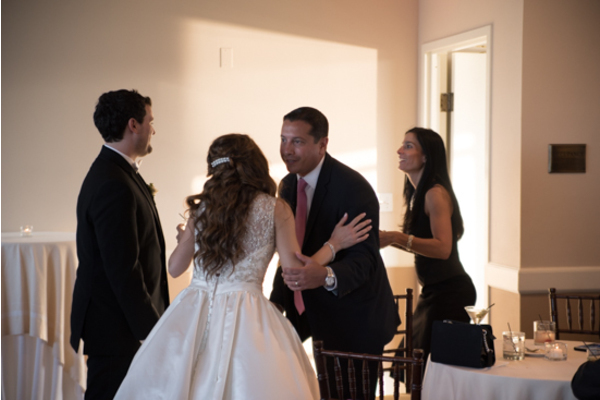 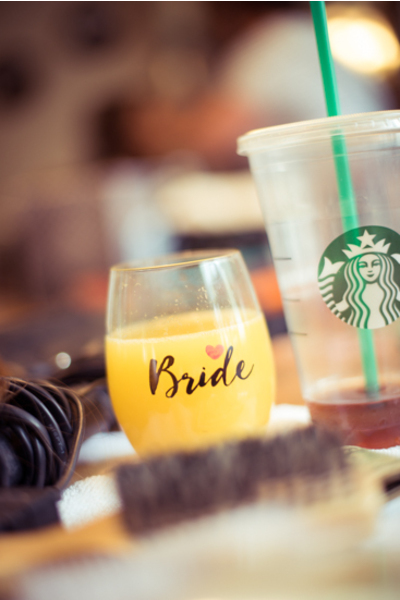 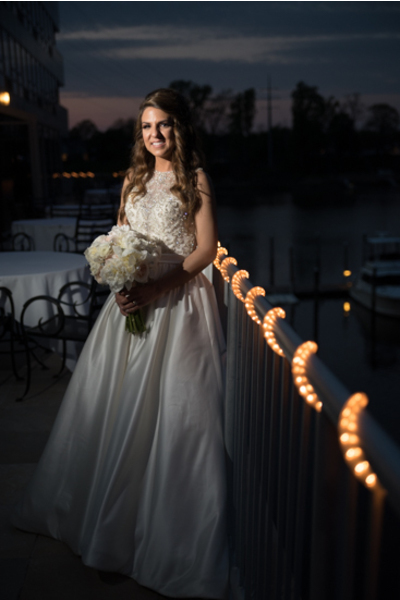 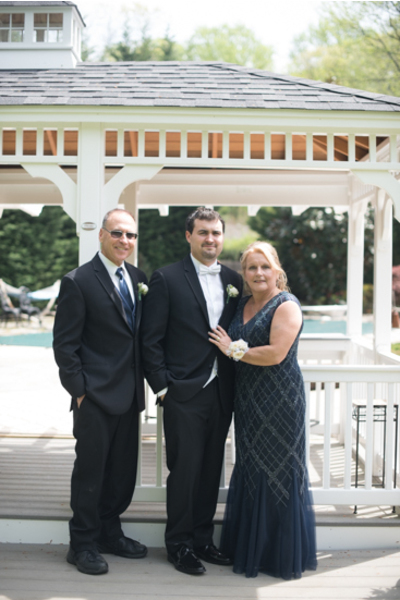 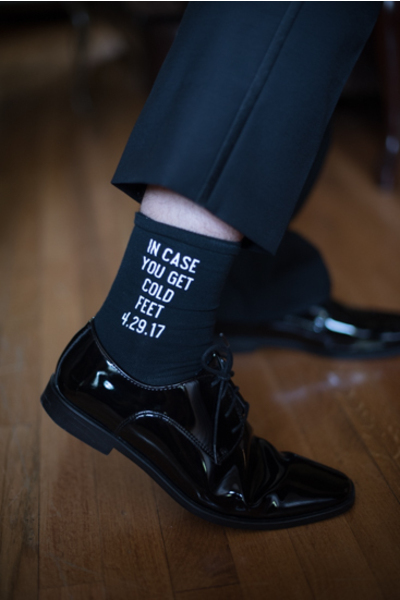 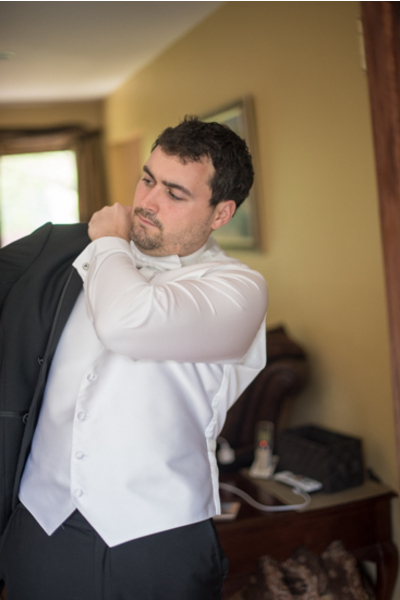 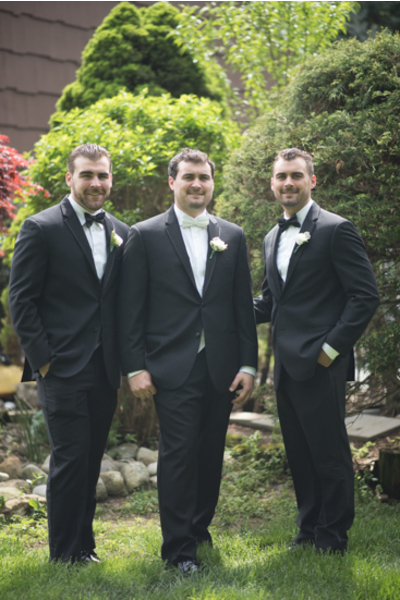 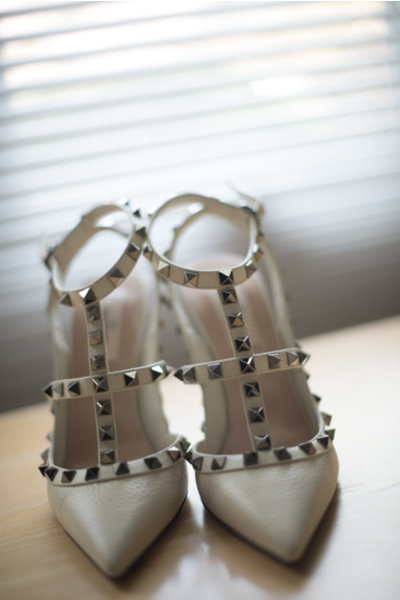 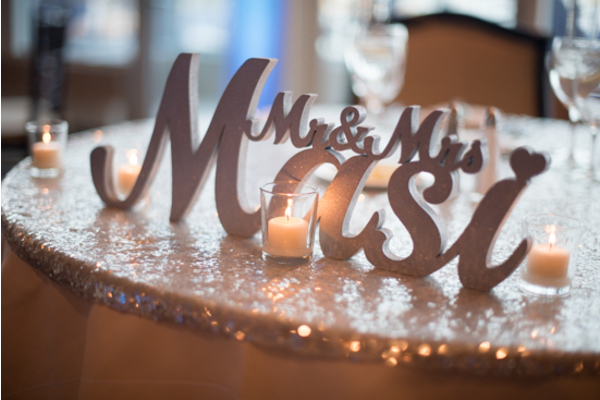 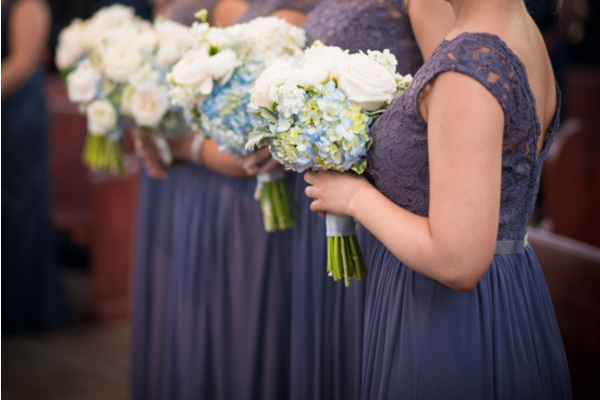 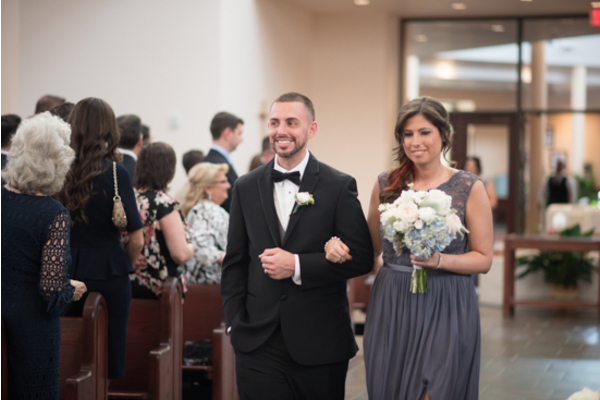 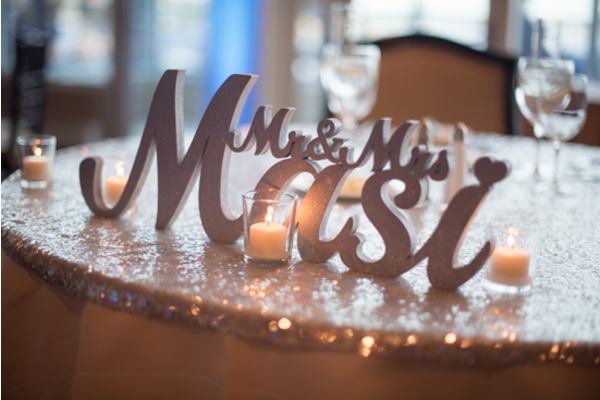 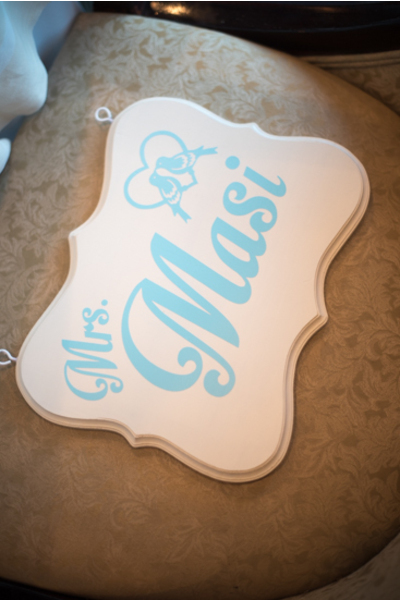 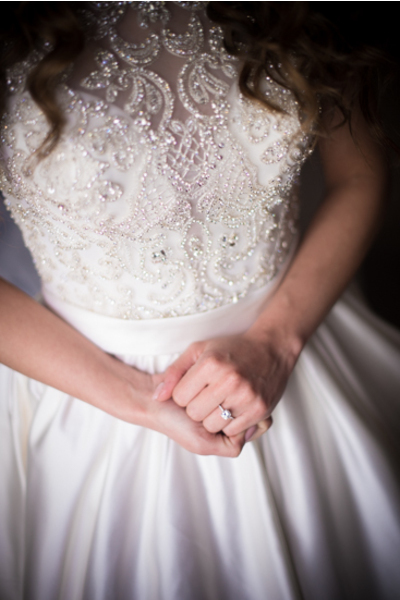 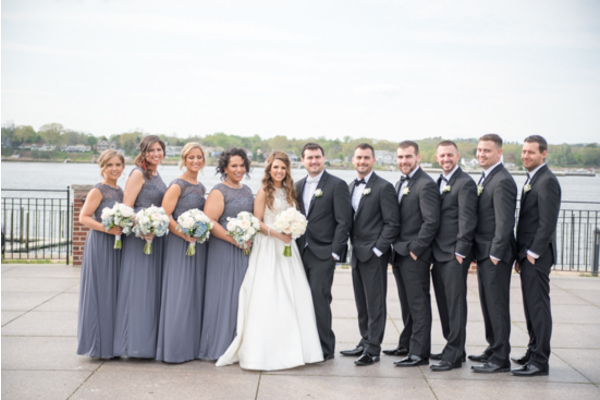 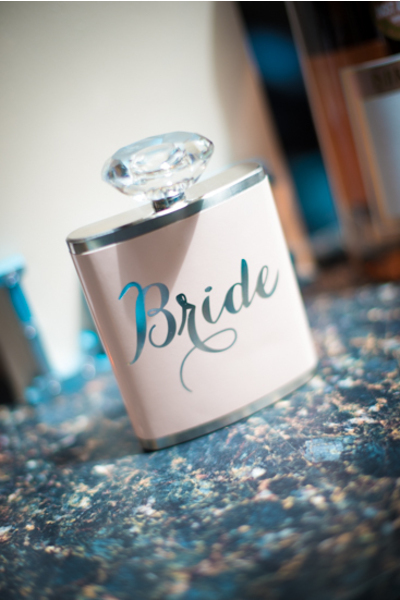 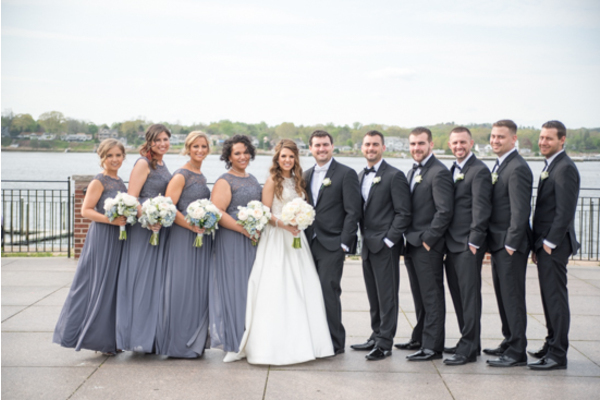 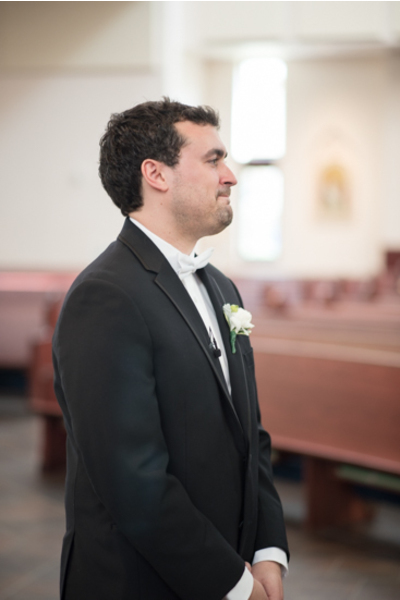 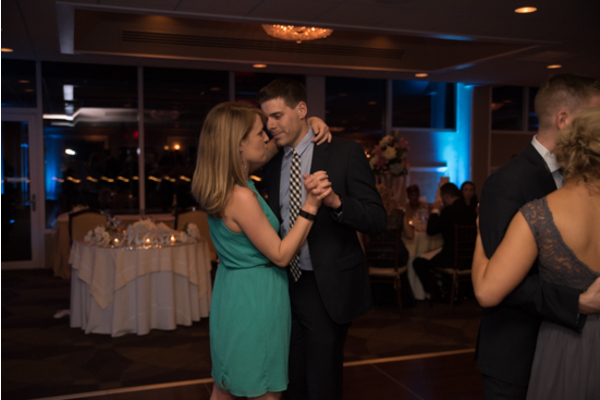 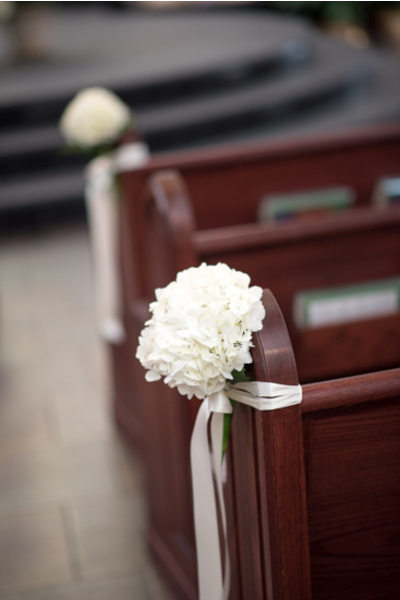 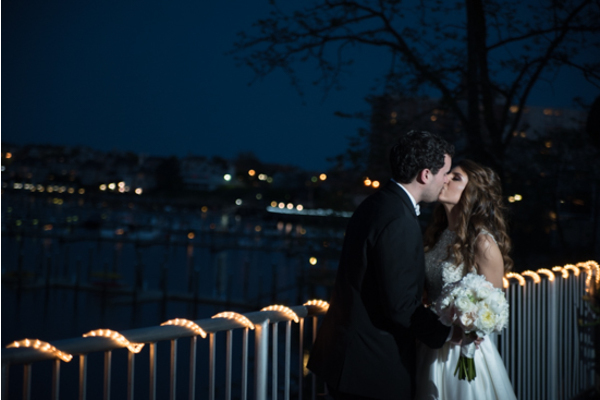 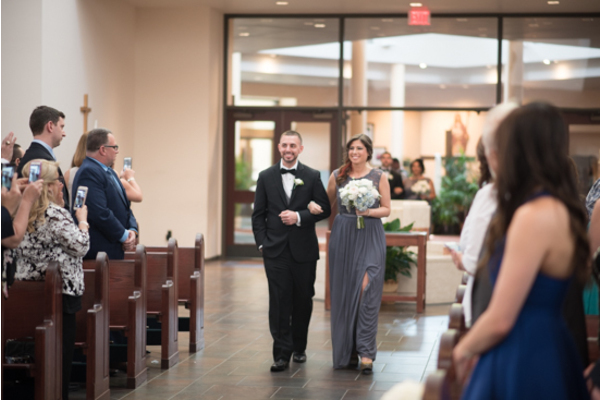 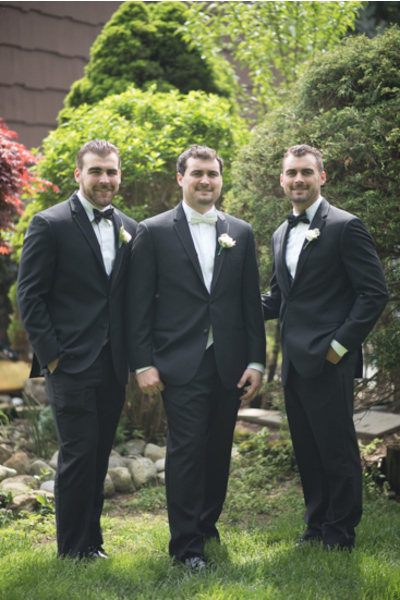 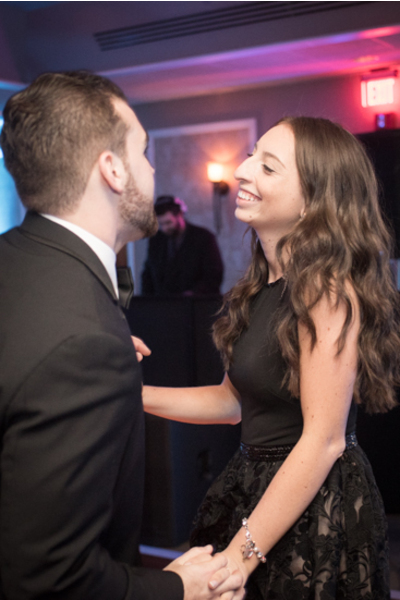 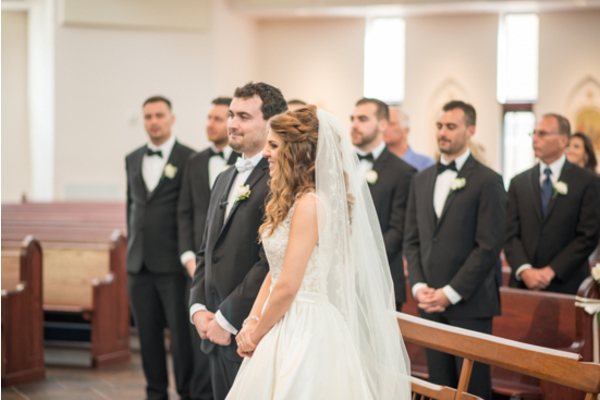 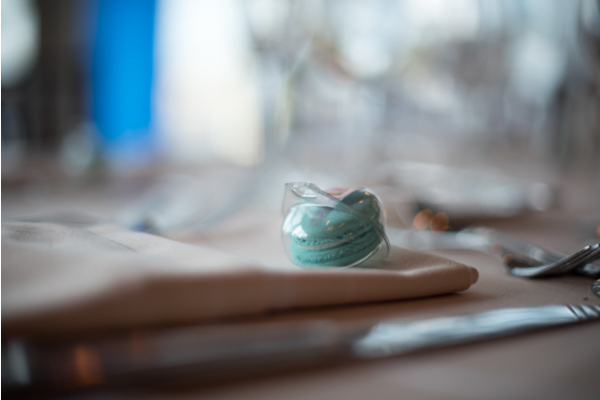 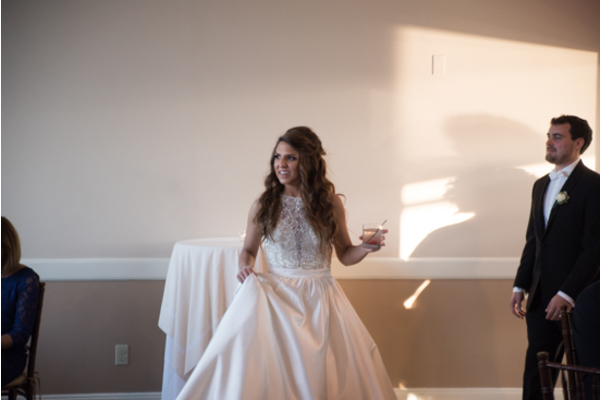 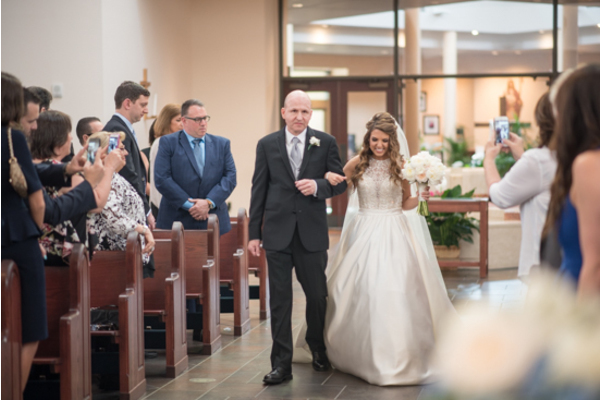 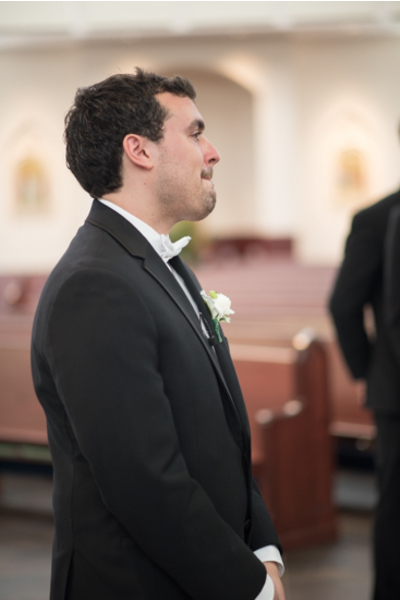 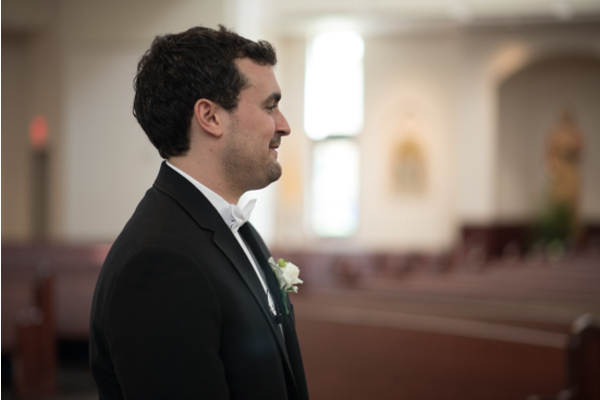 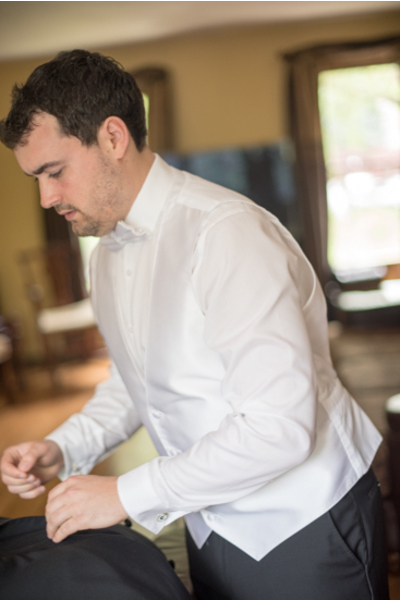 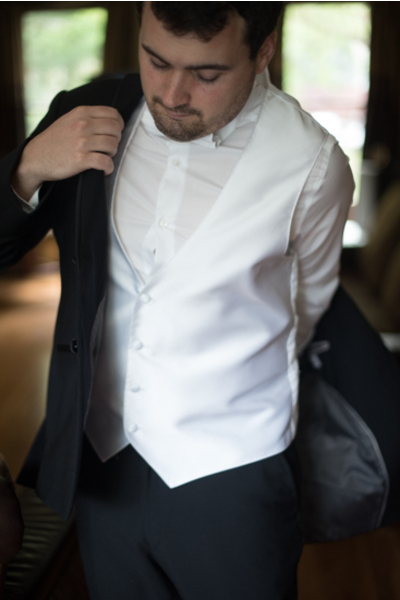 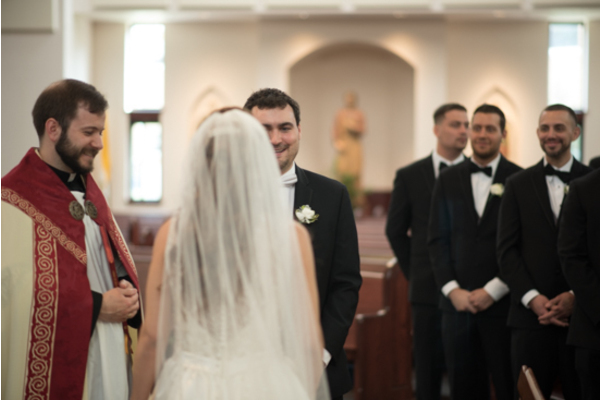 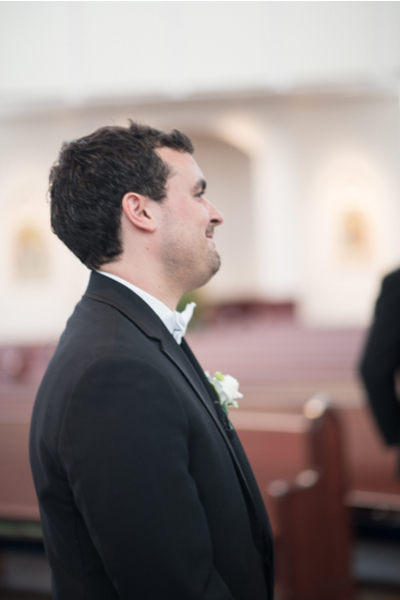 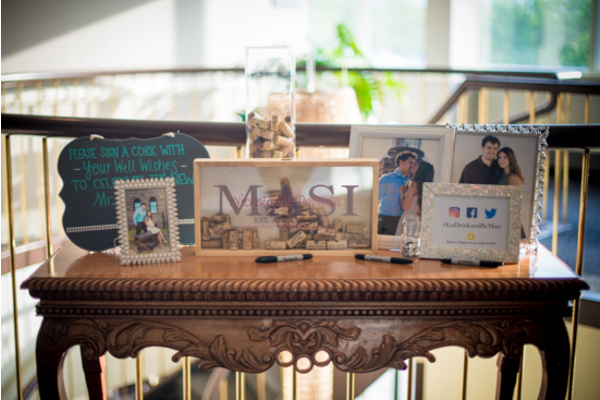 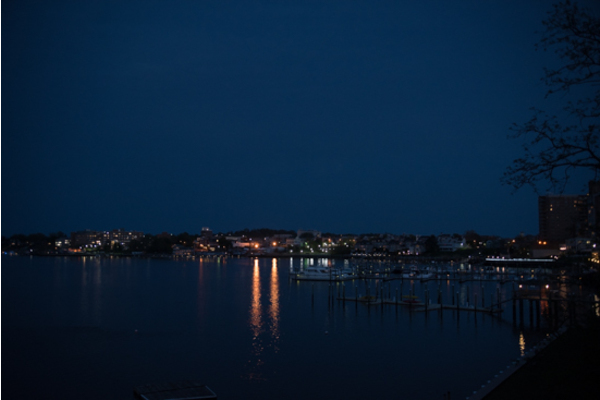 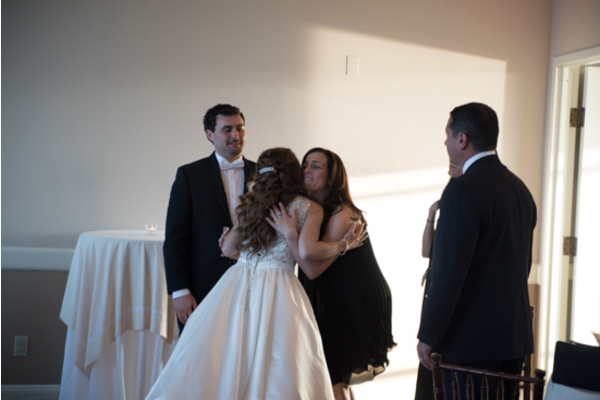 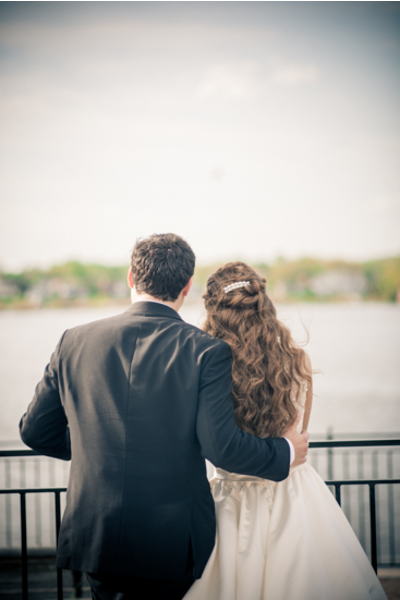 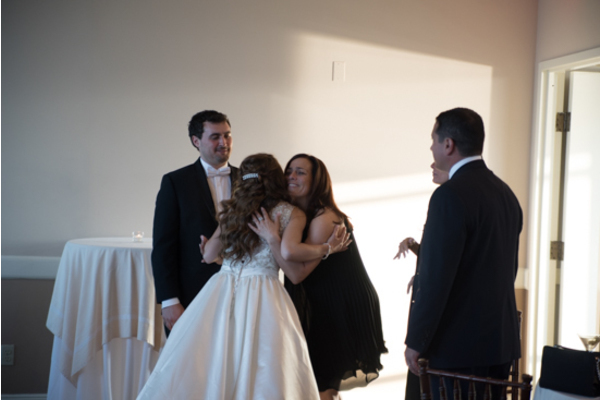 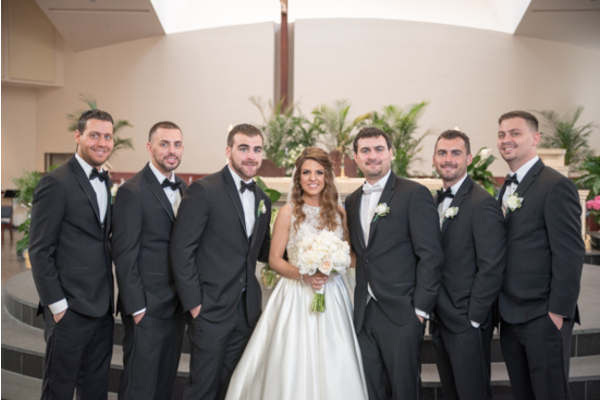 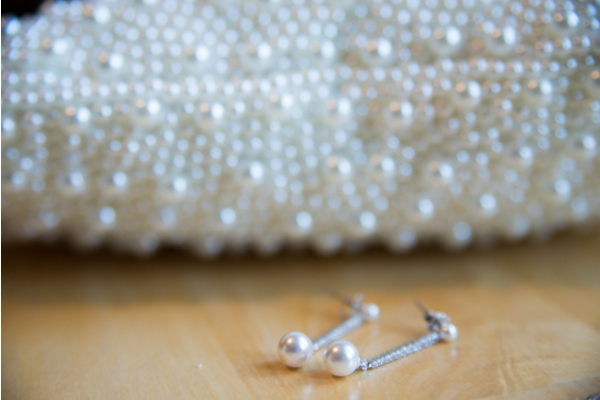 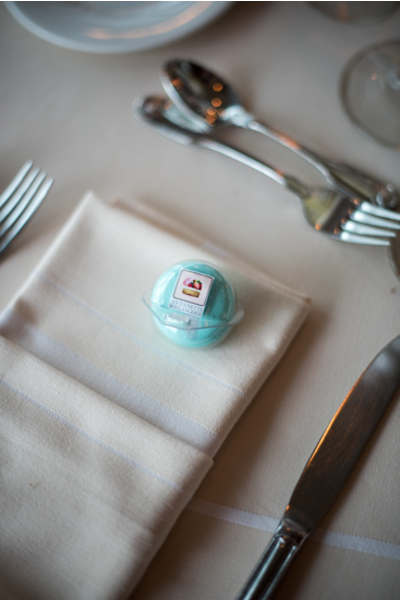 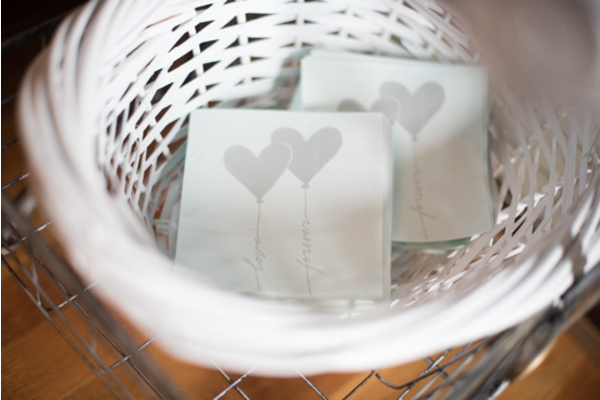 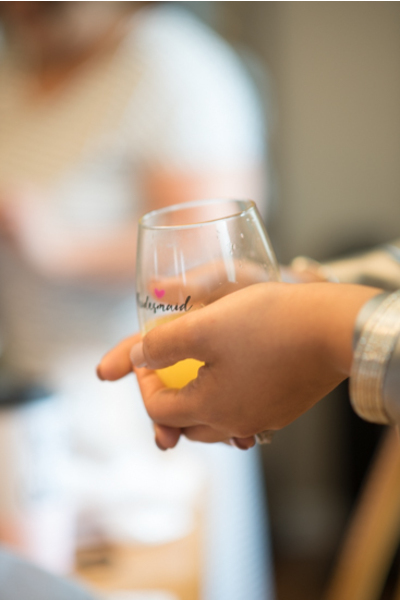 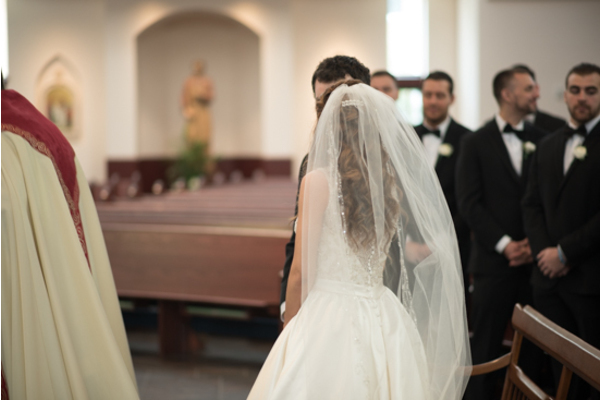 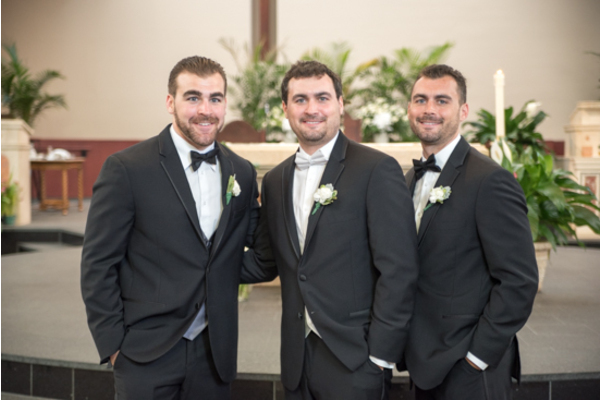 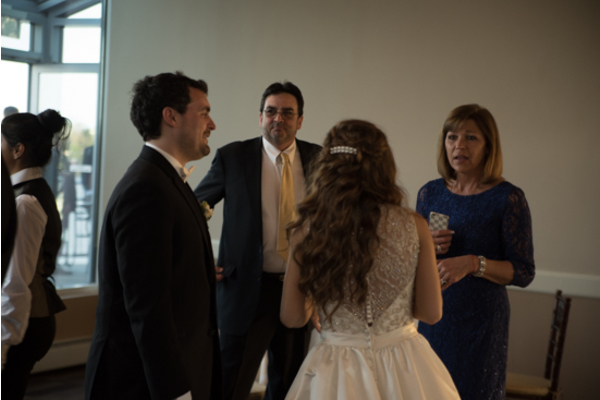 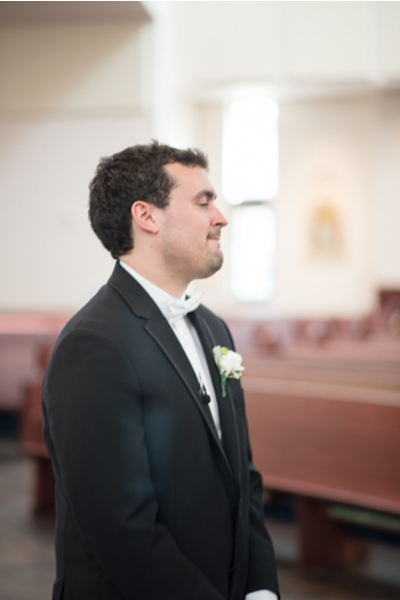 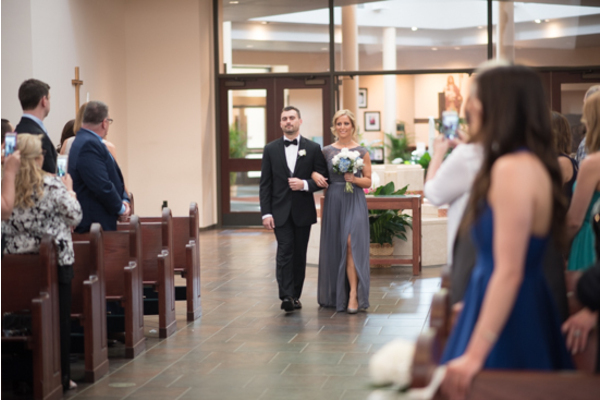 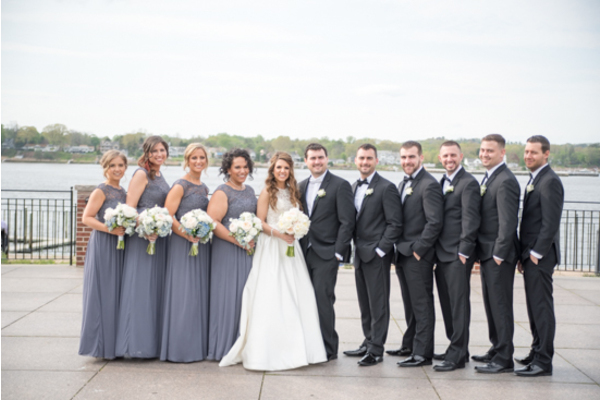 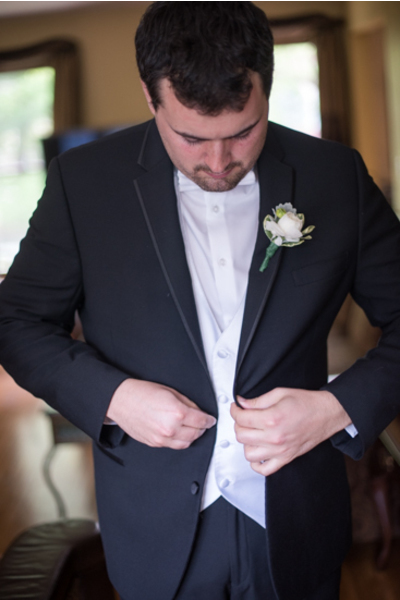 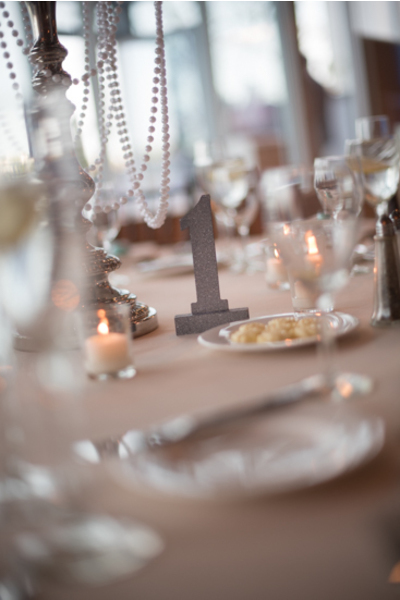 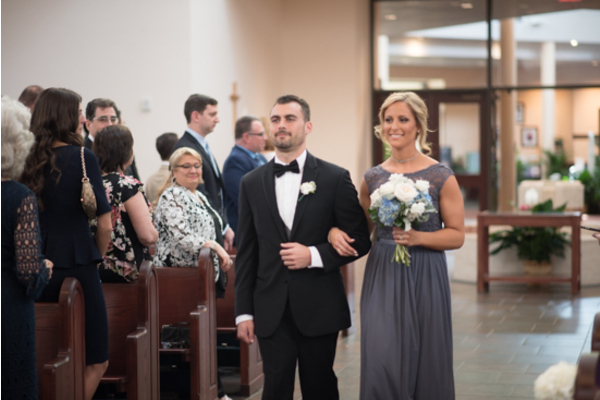 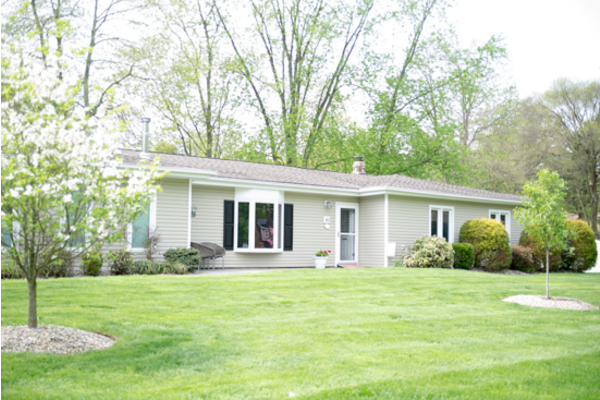 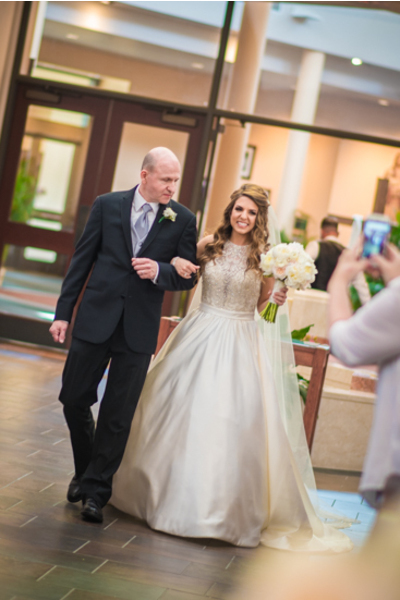 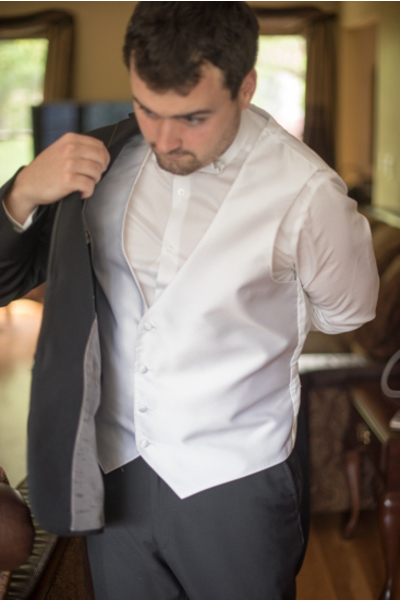 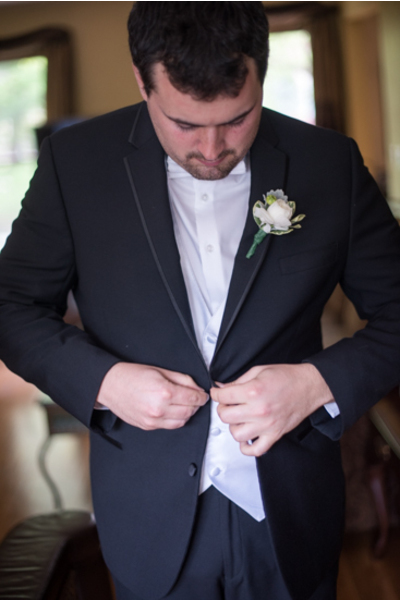 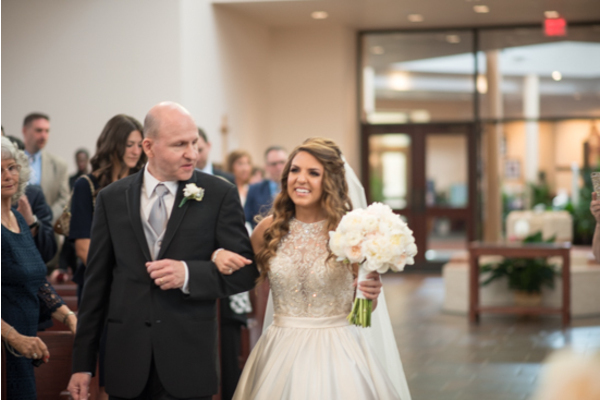 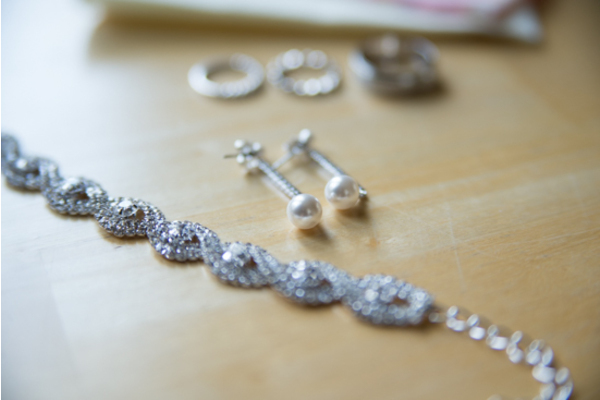 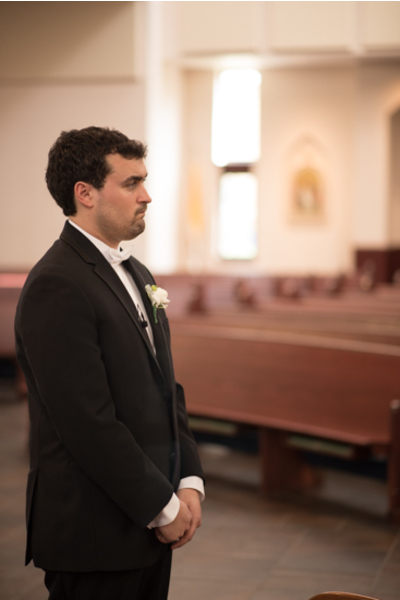 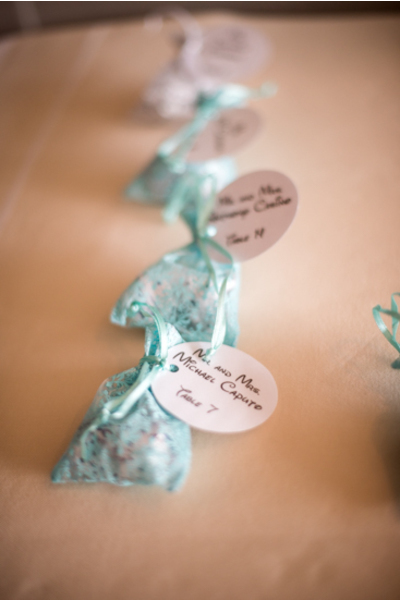 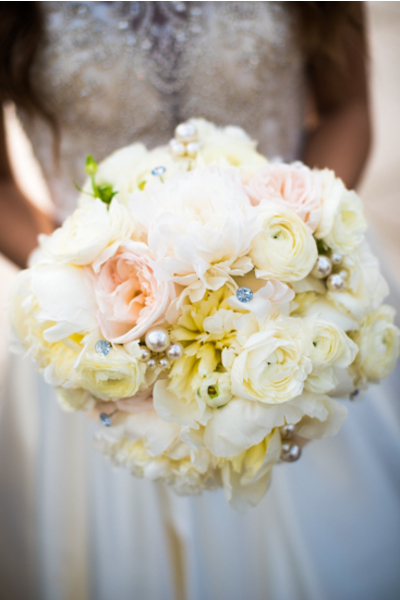 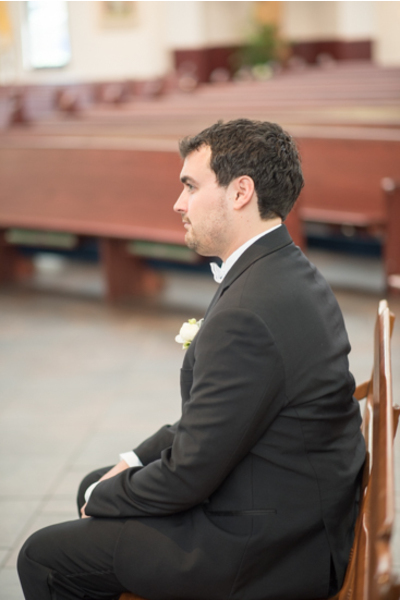 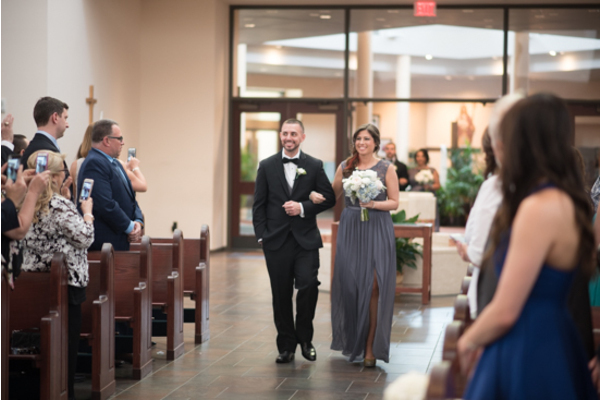 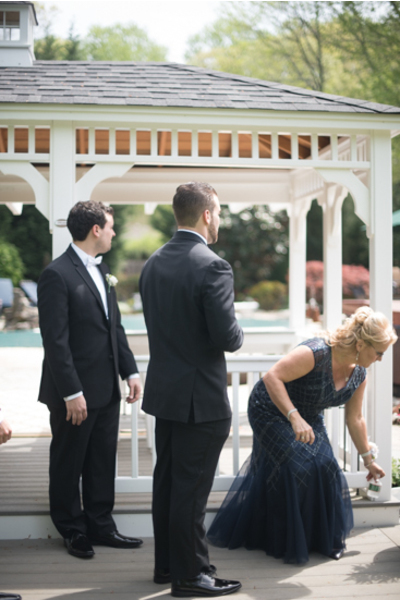 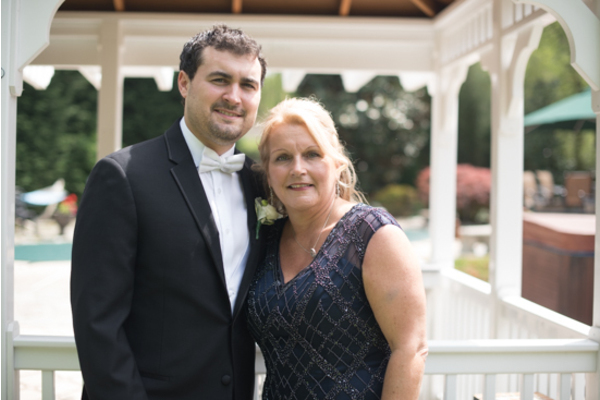 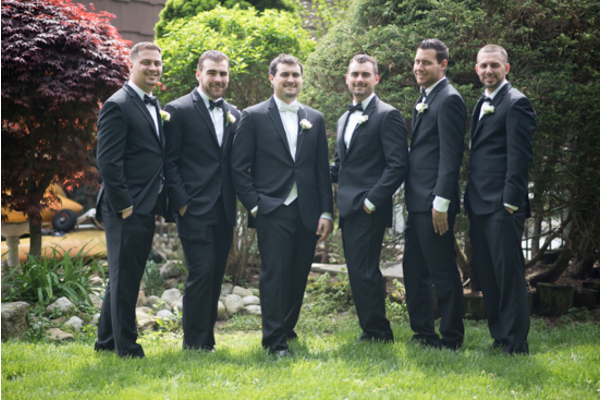 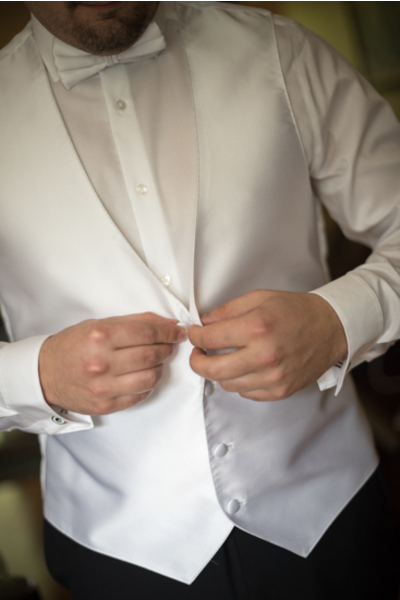 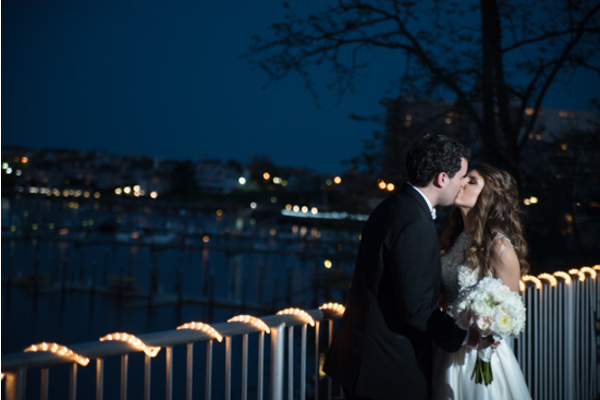 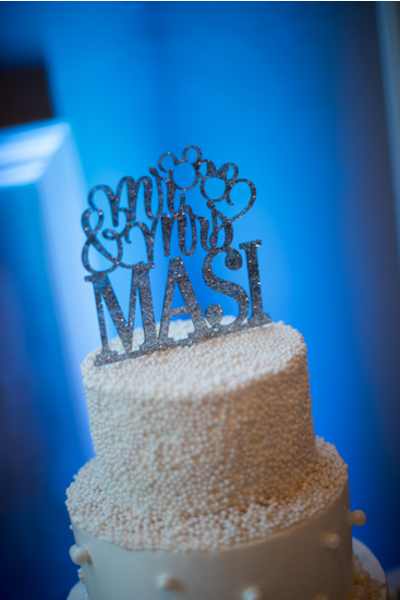 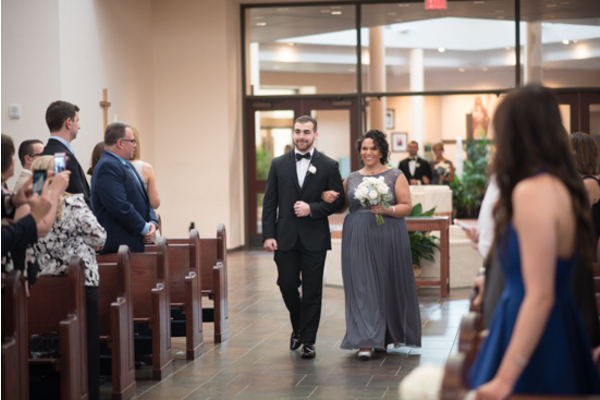 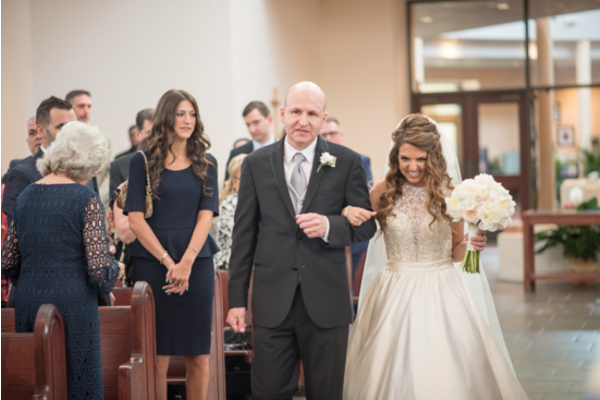 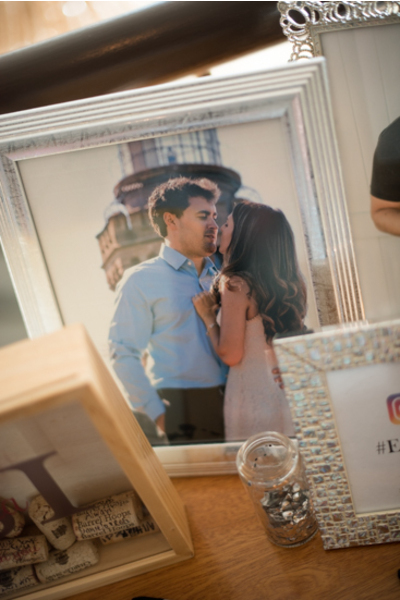 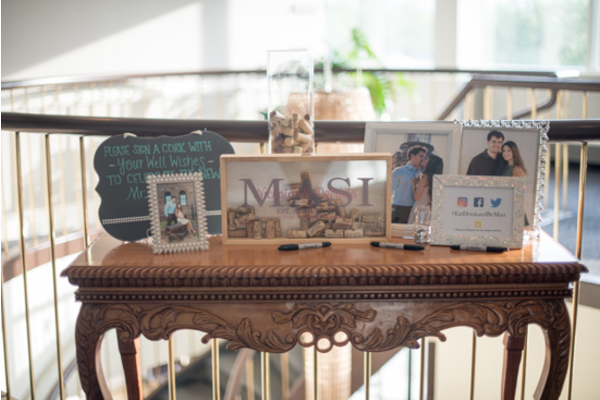 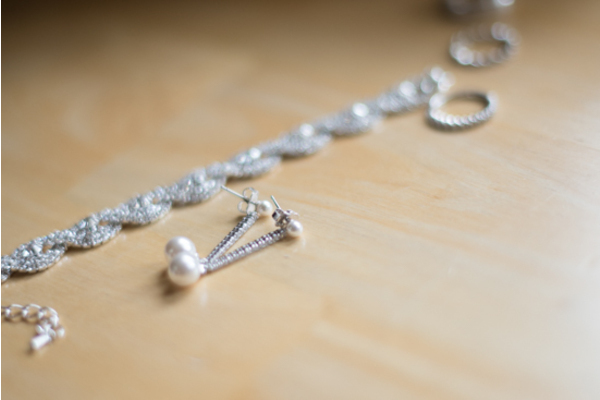 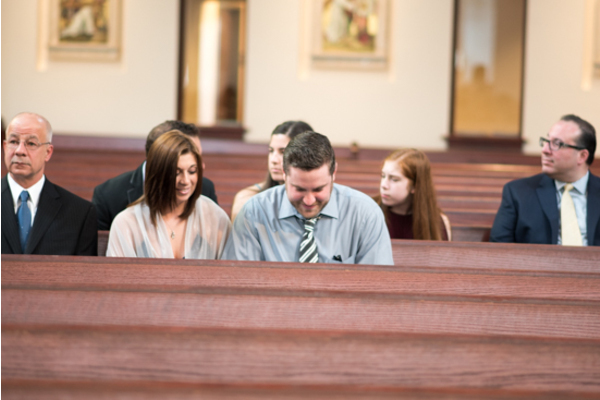 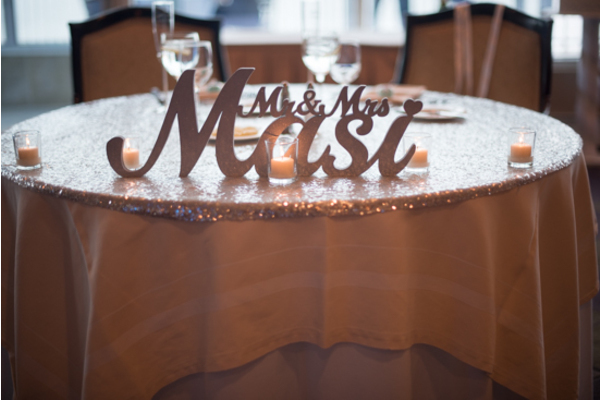 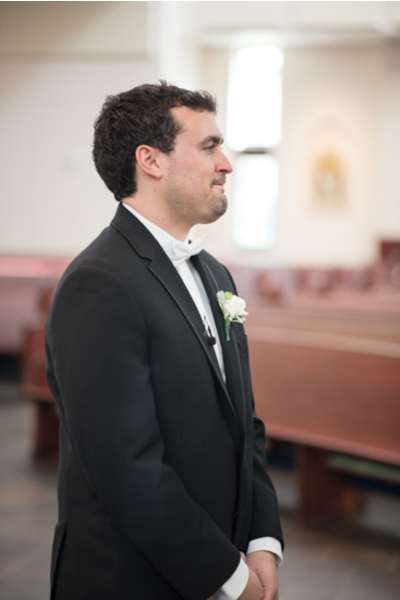 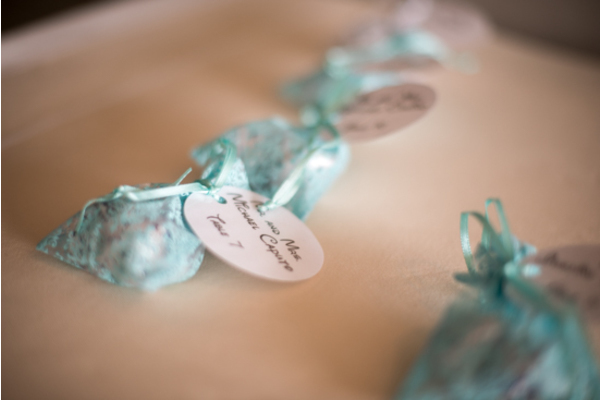 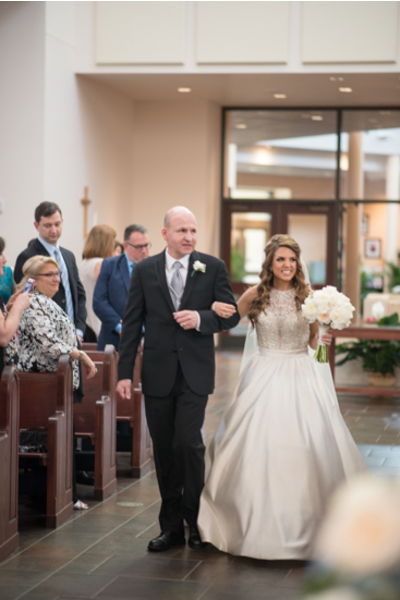 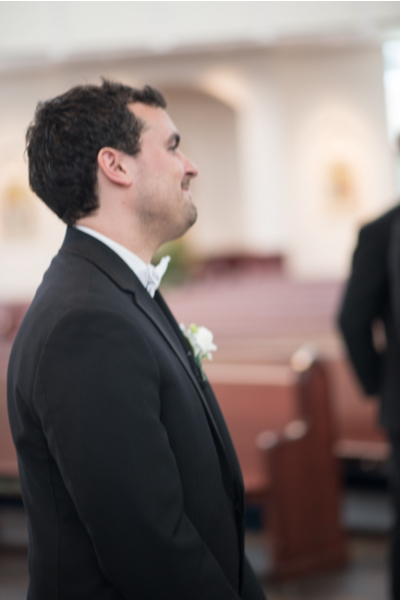 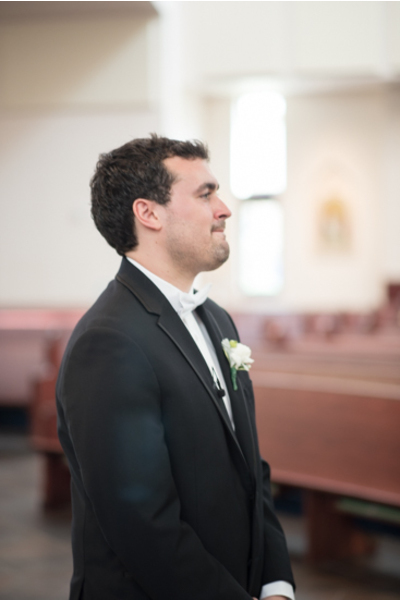 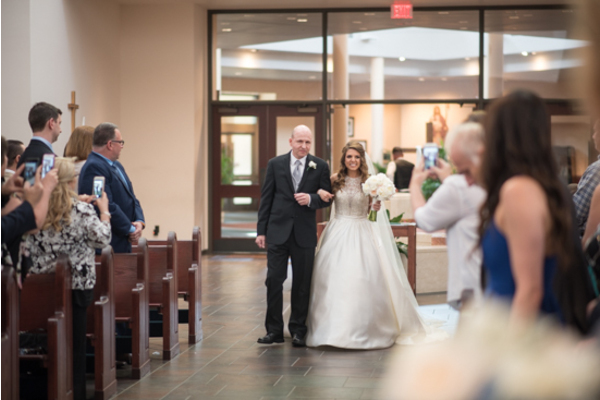 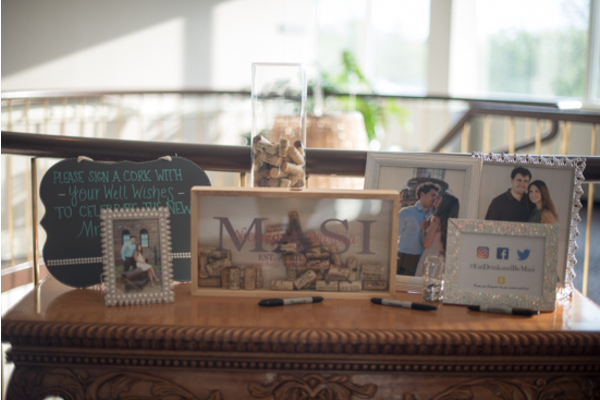 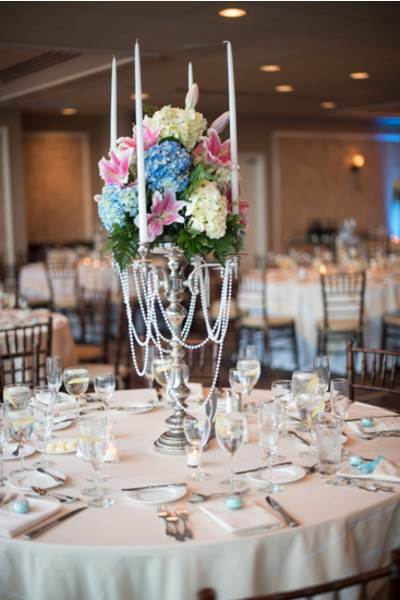 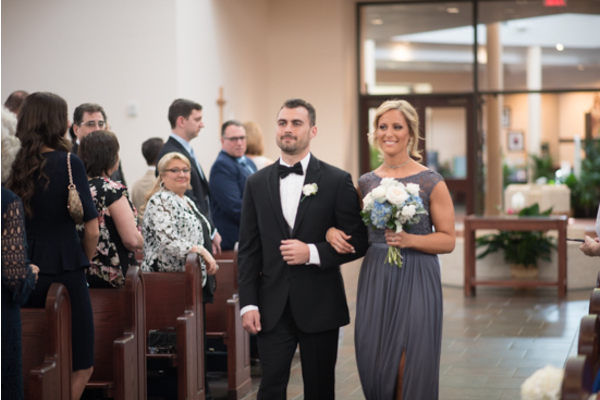 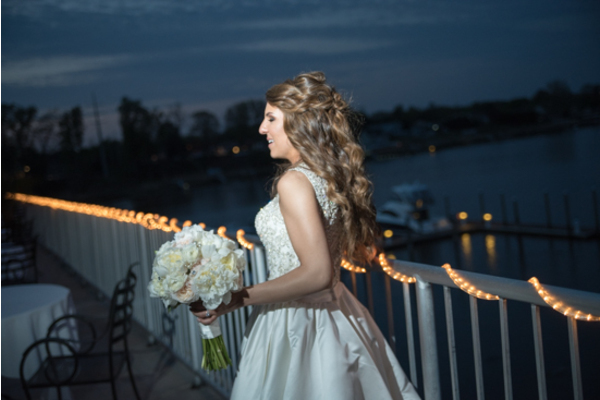 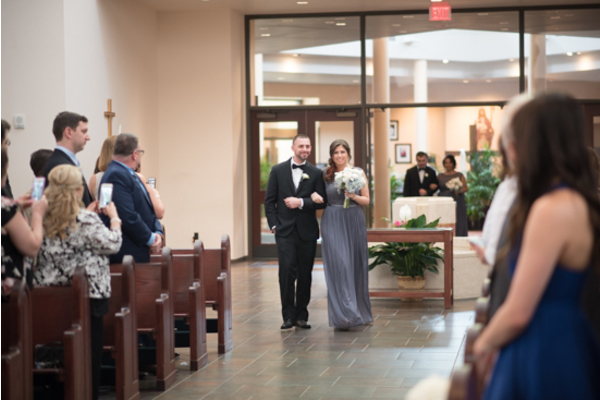 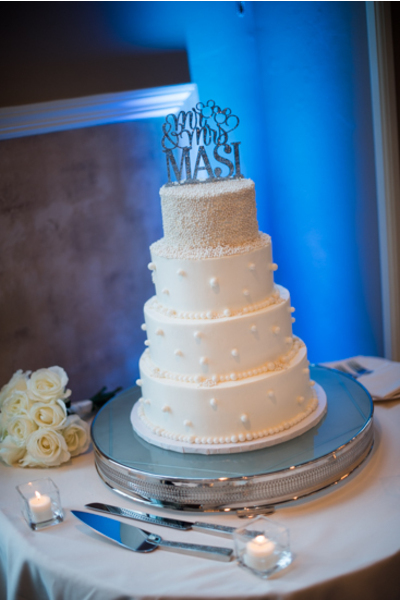 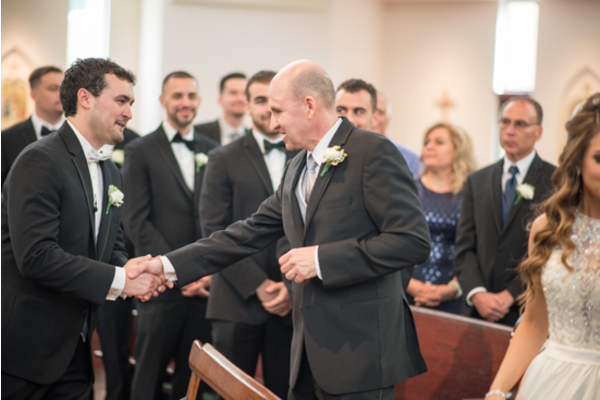 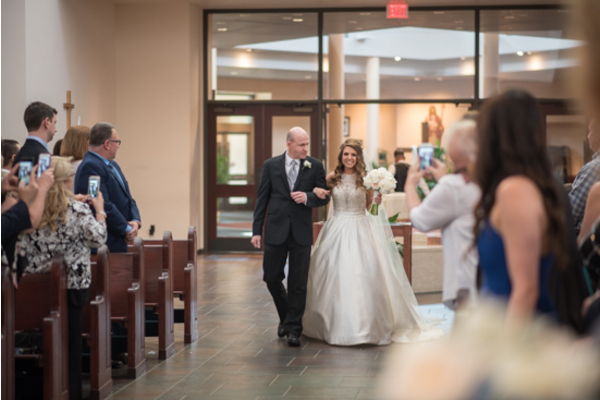 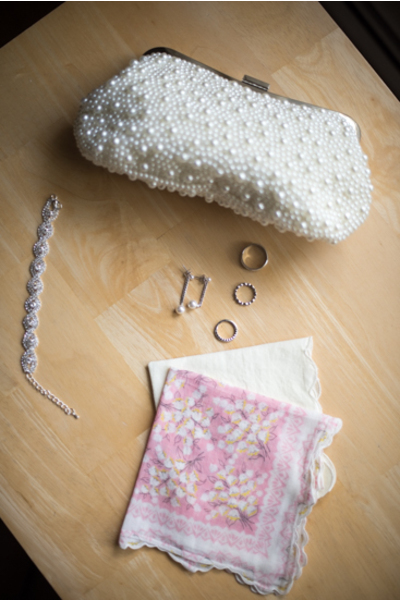 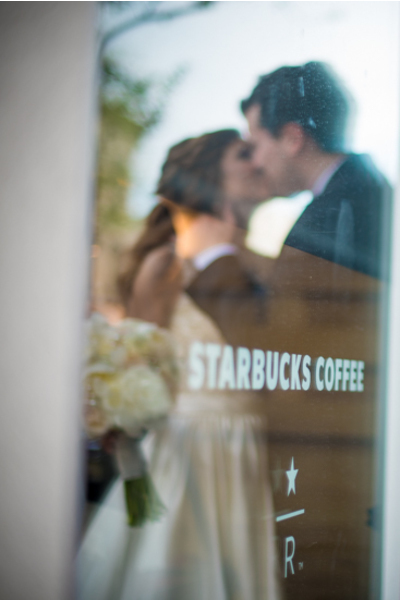 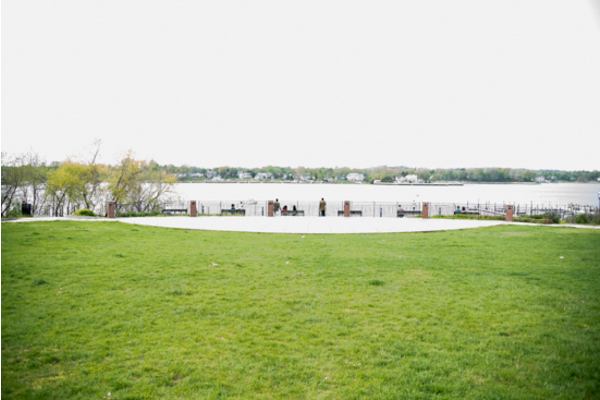 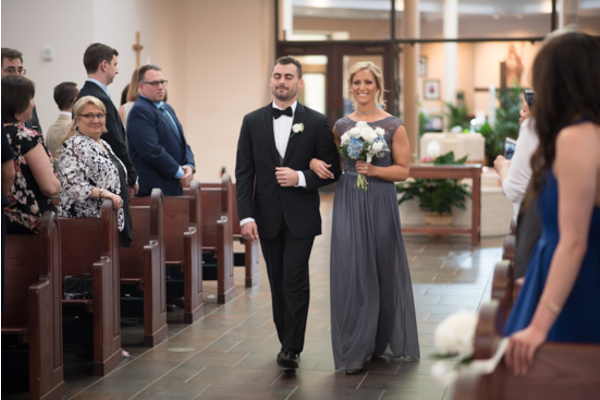 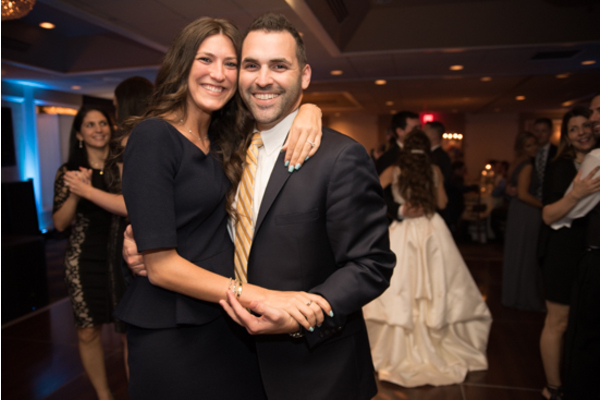 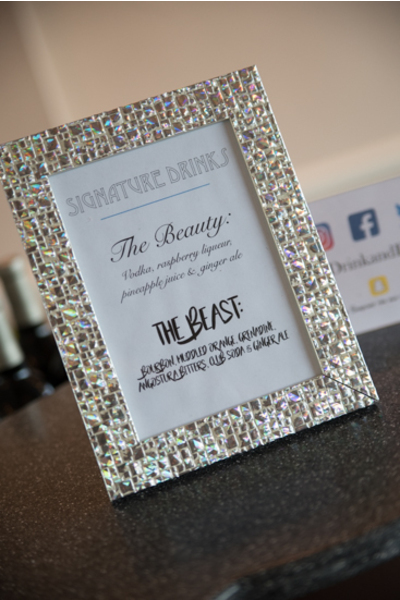 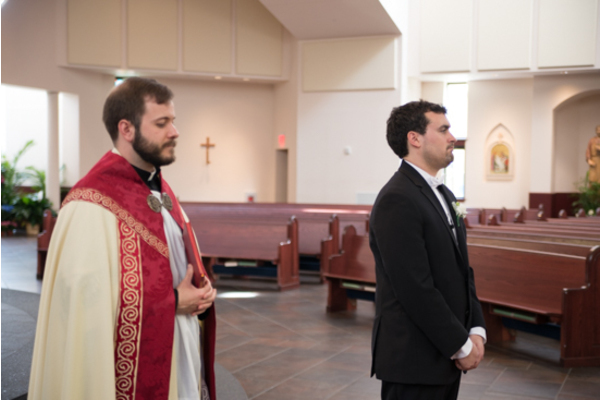 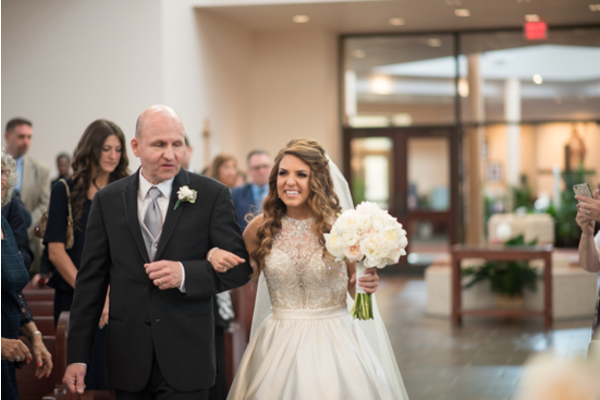 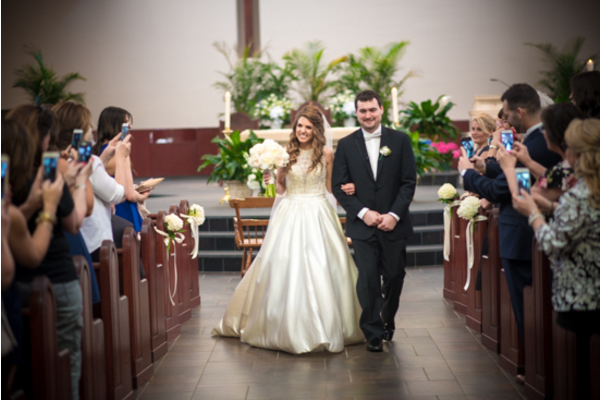 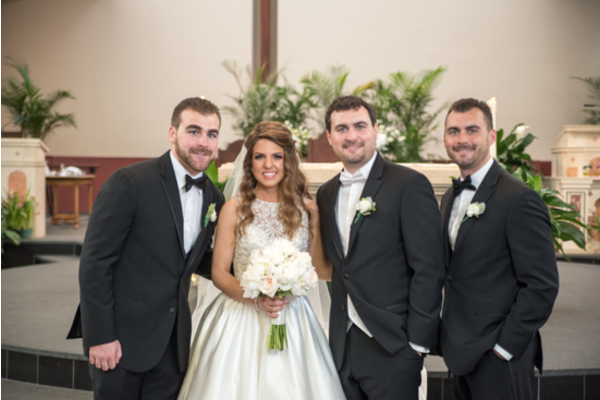 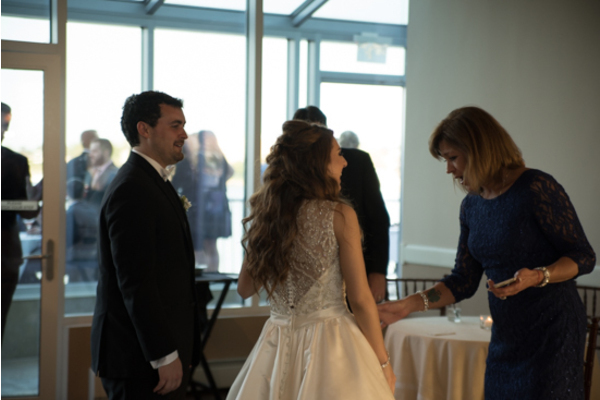 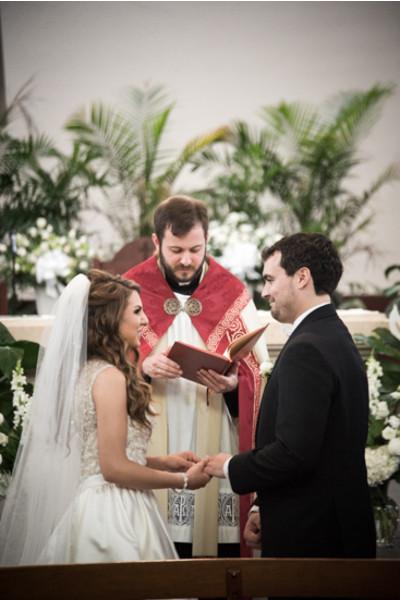 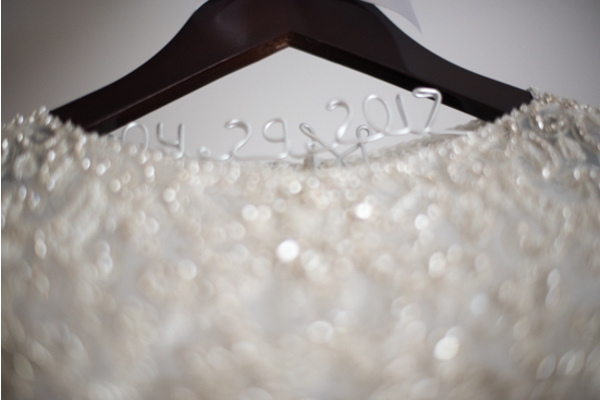 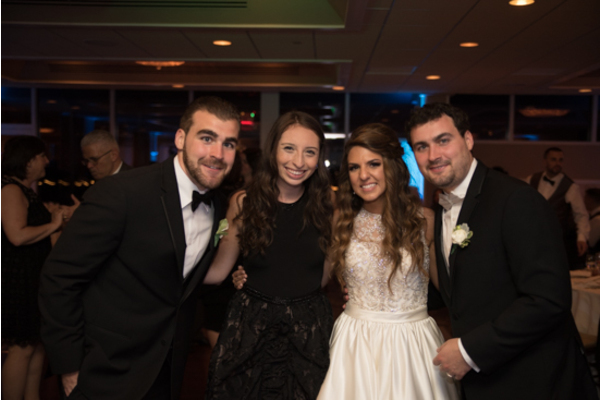 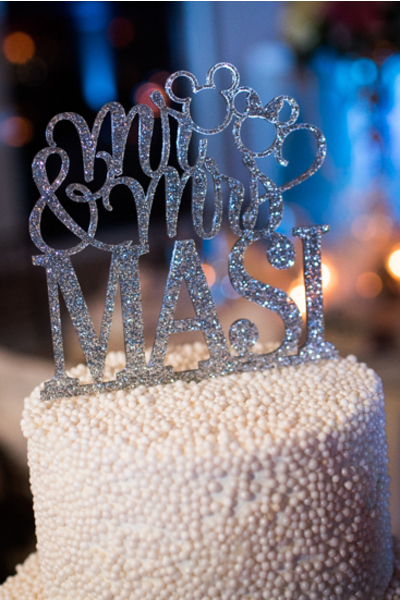 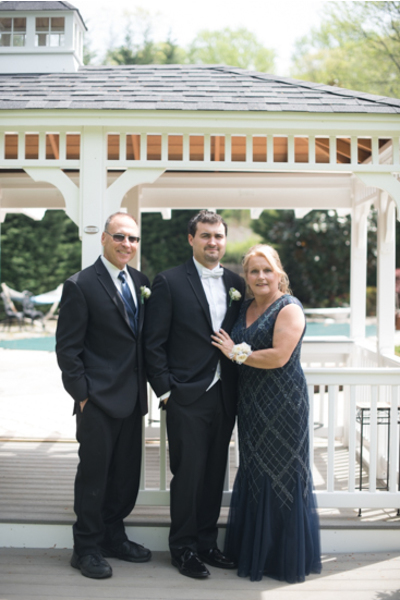 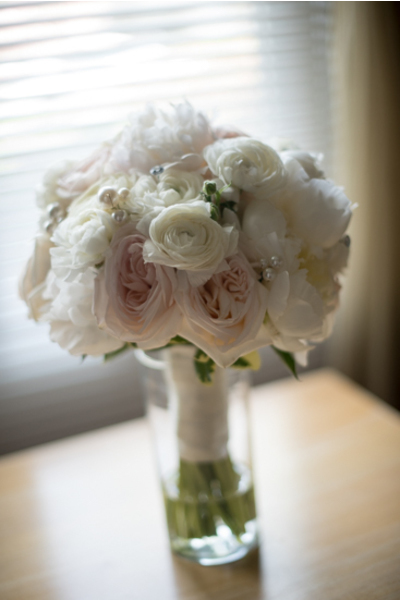 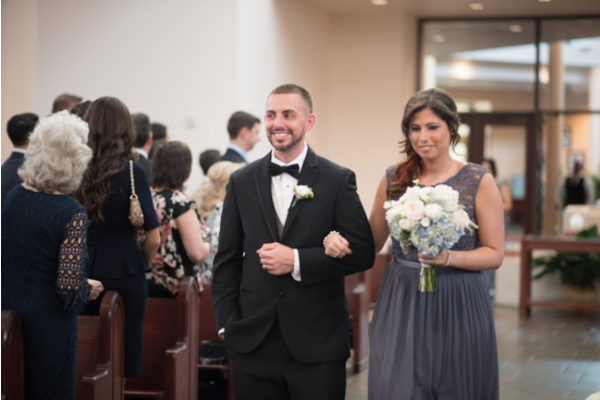 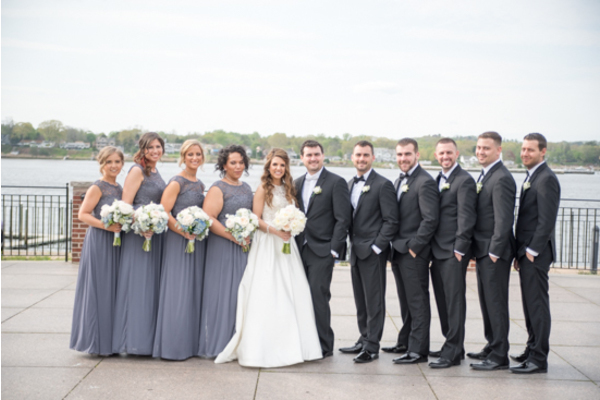 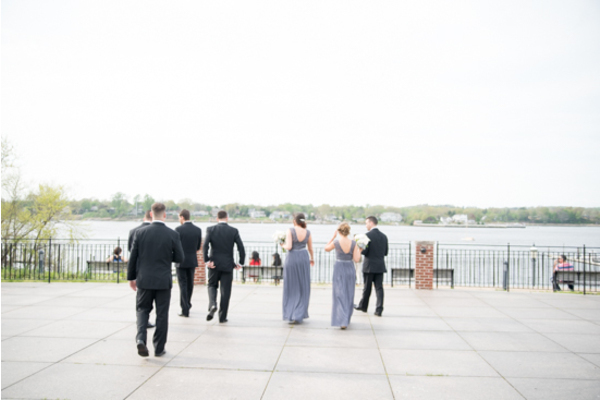 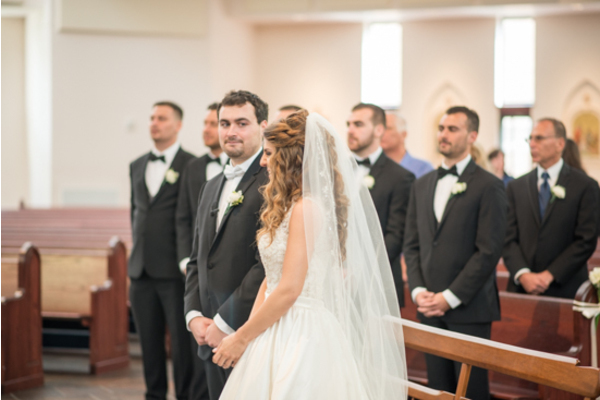 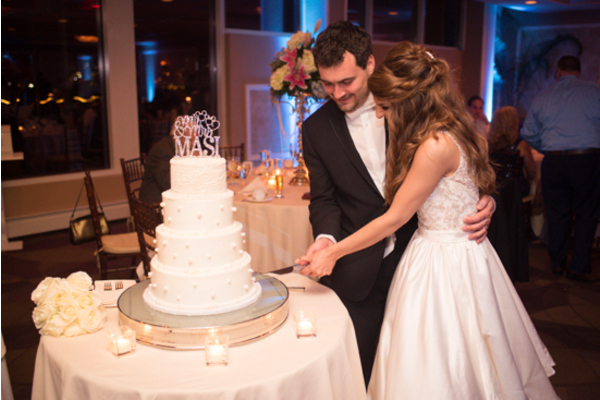 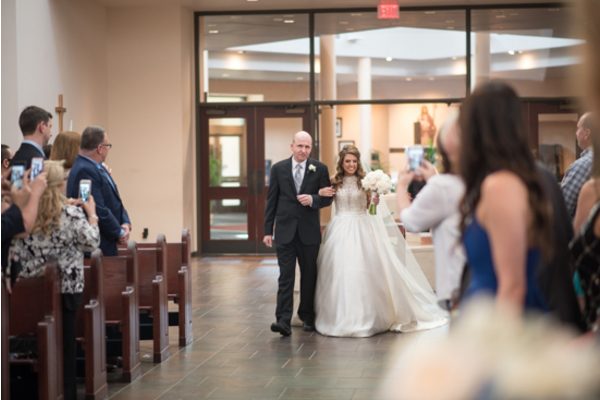 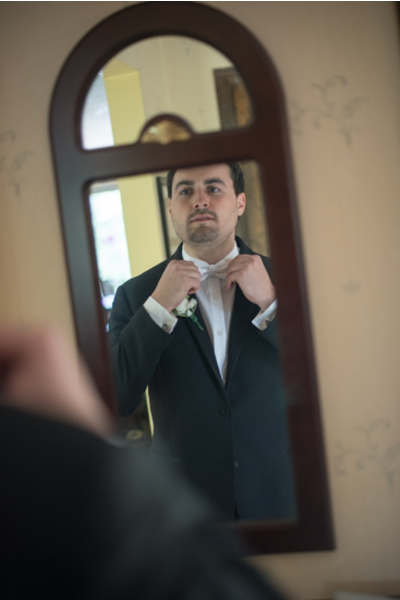 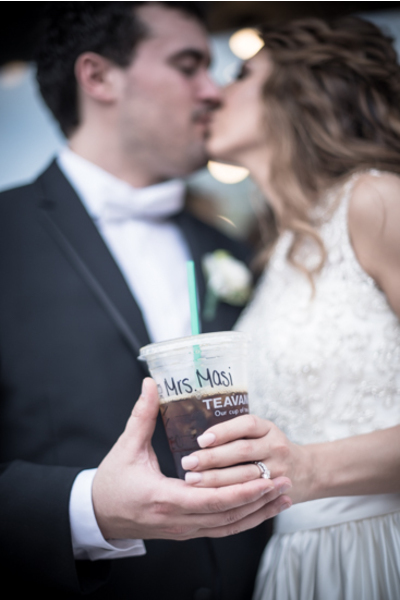 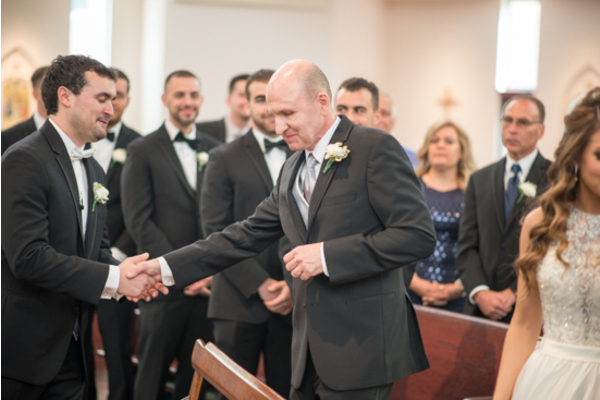 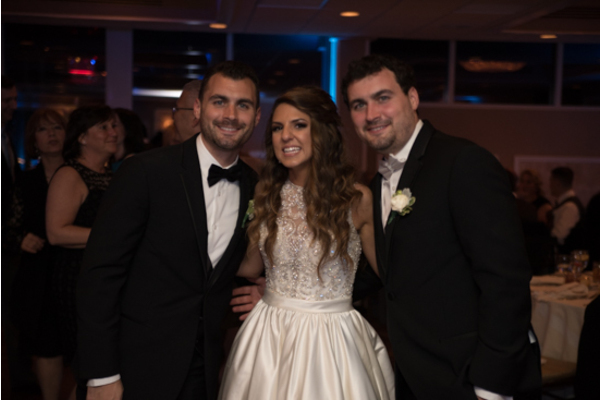 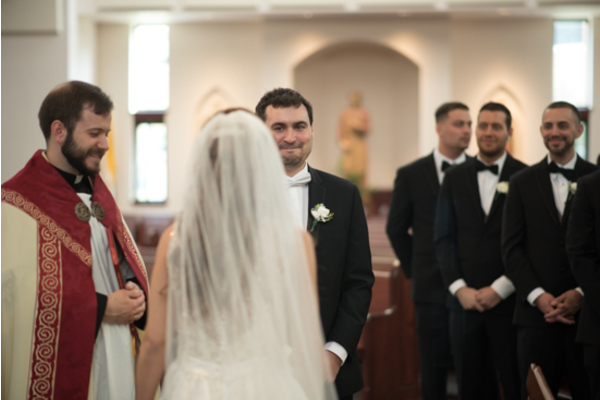 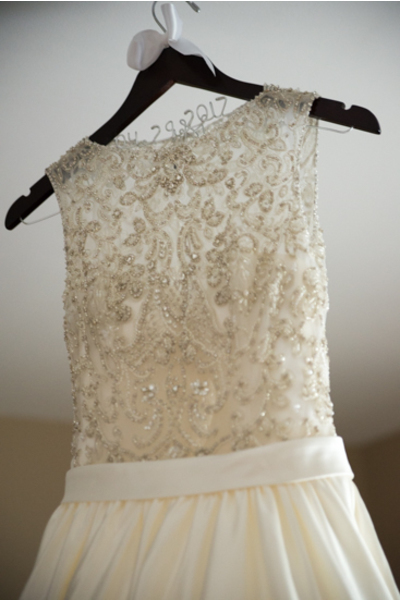 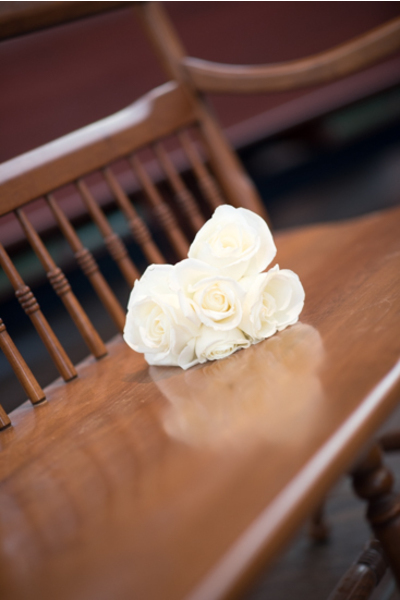 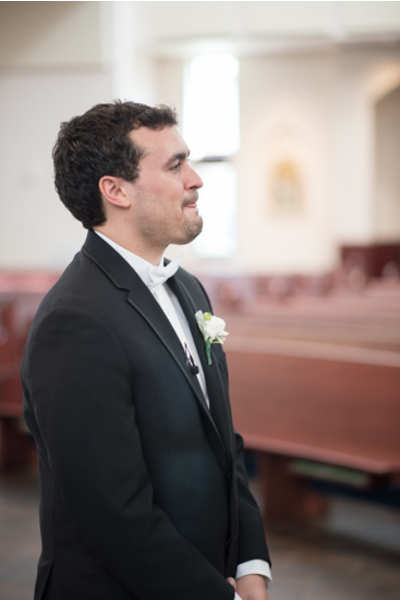 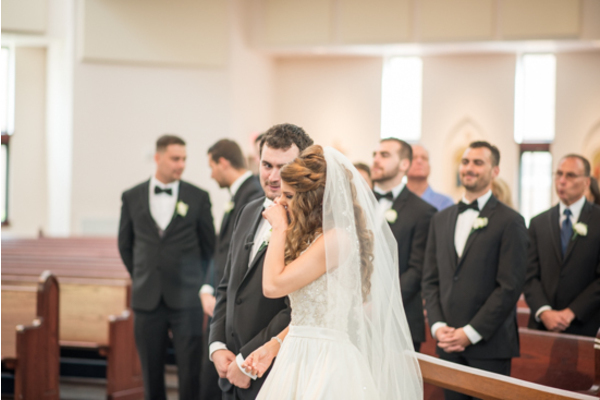 Our NJ Wedding Videographer was sure to catch these sweet moments! 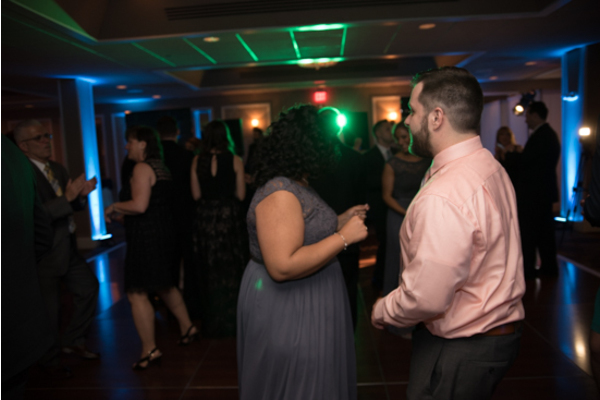 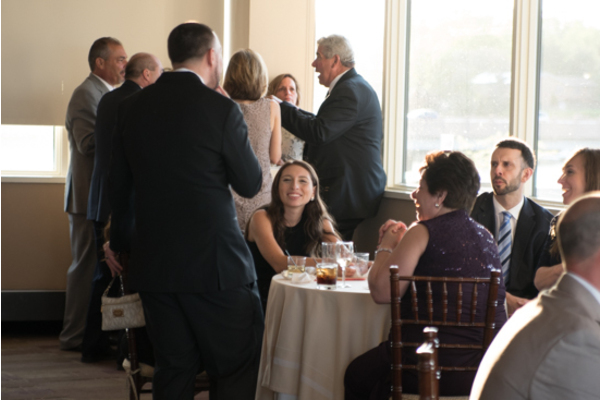 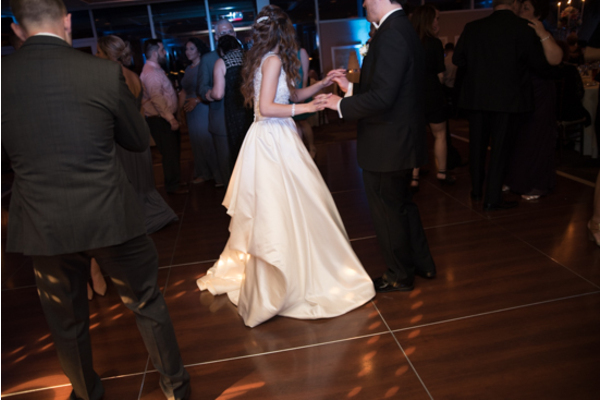 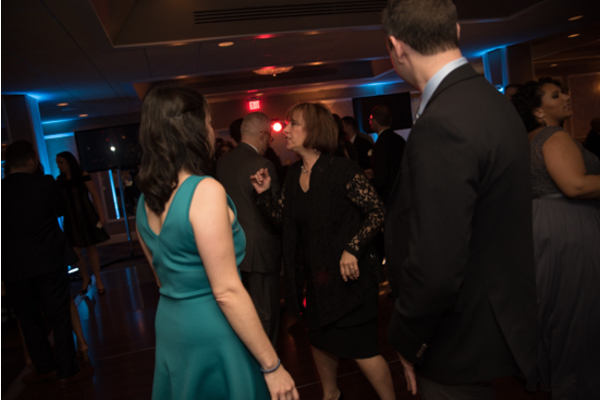 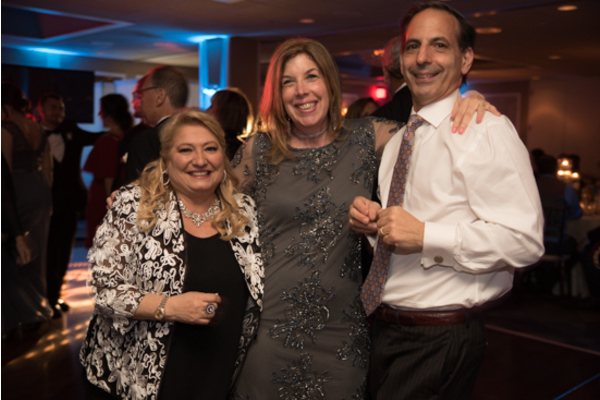 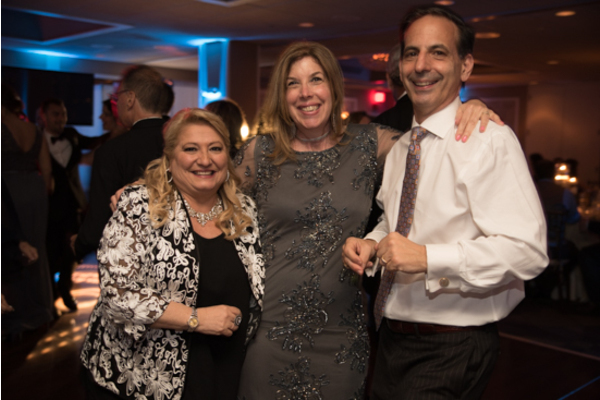 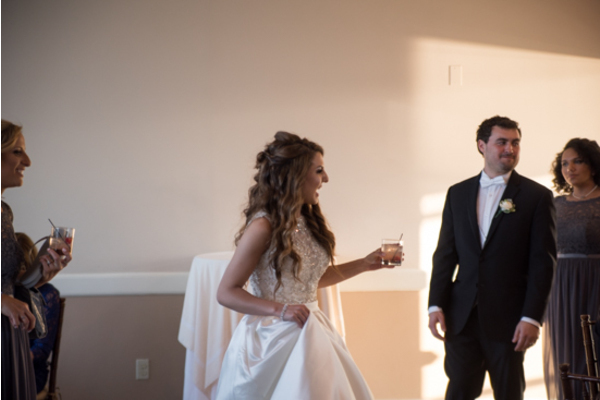 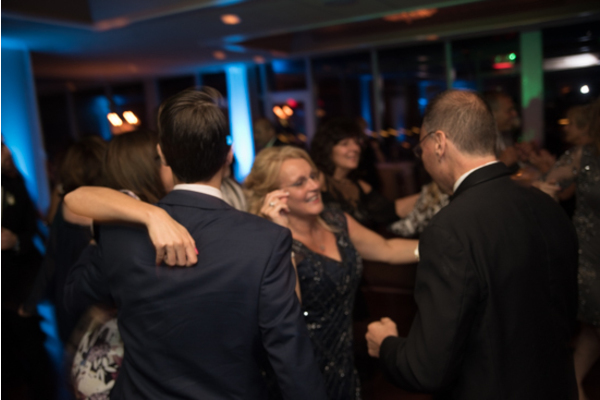 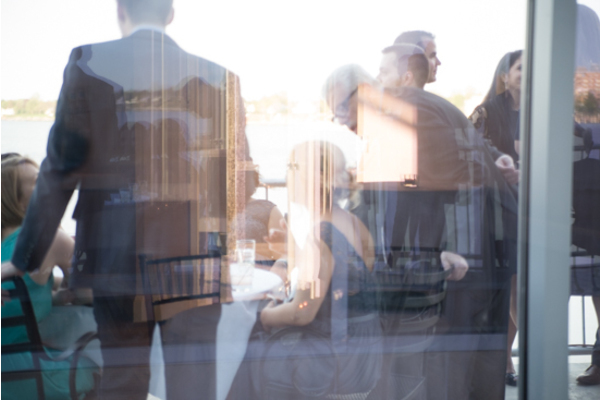 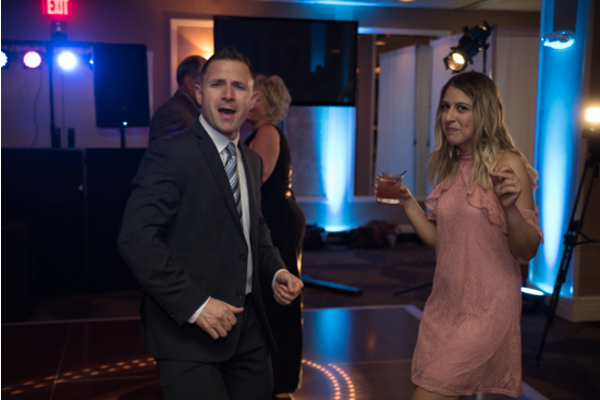 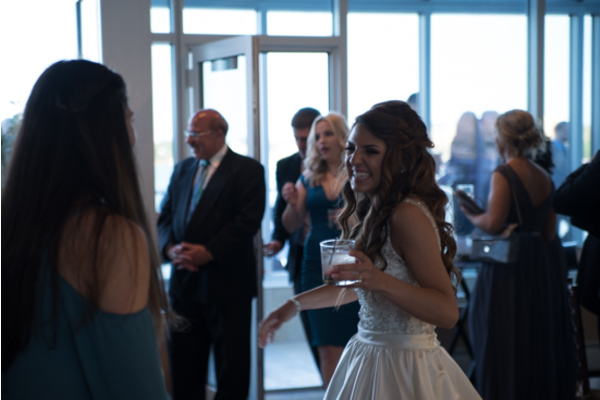 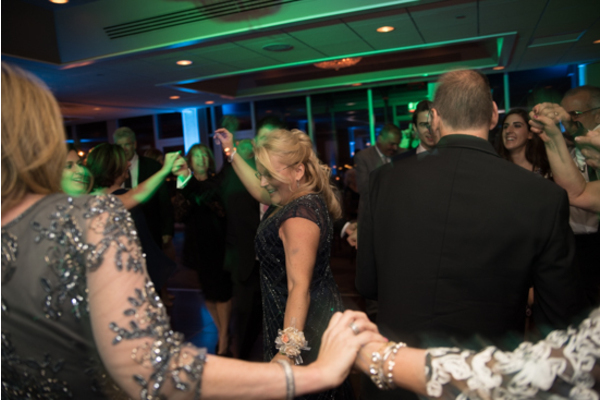 The reception was so memorable, everybody danced the night away! 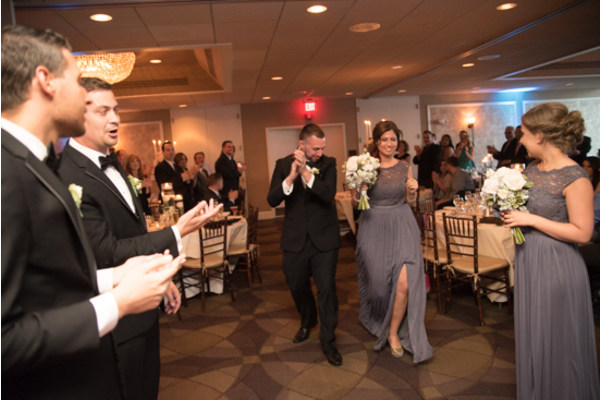 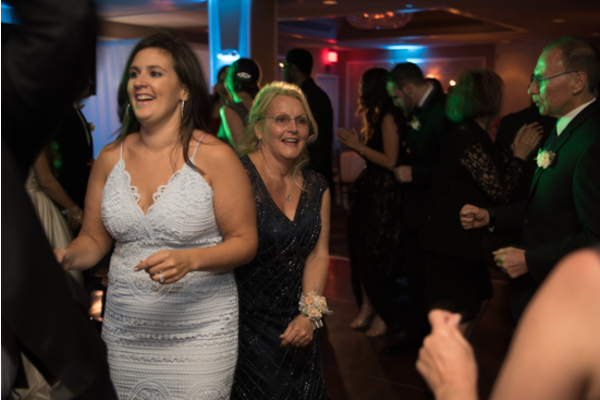 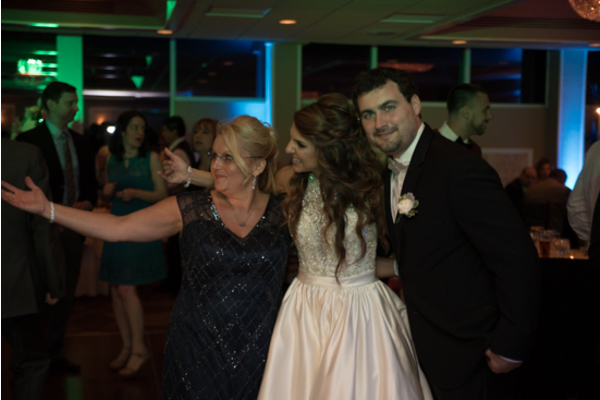 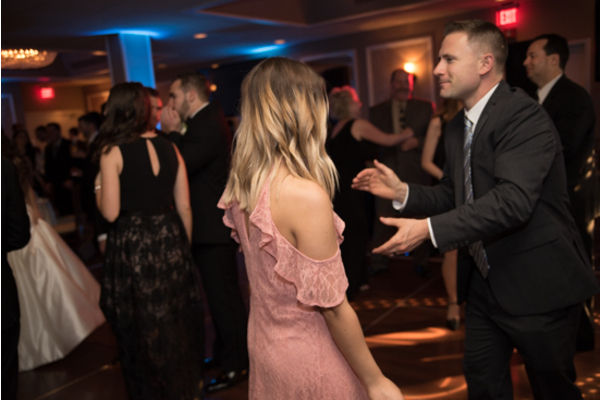 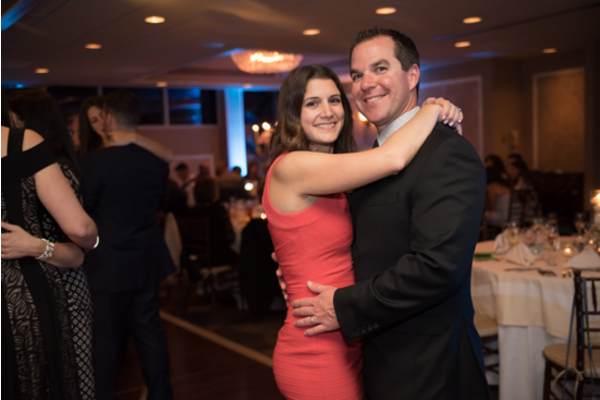 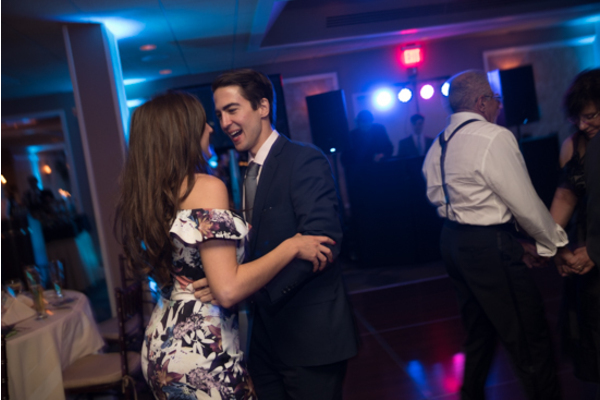 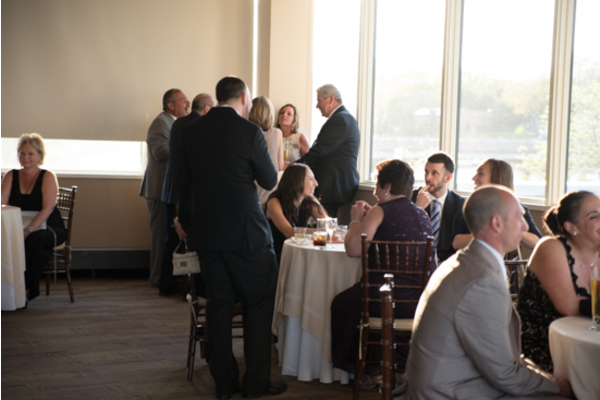 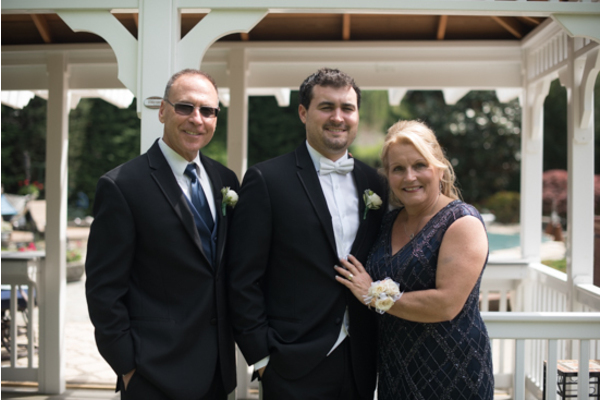 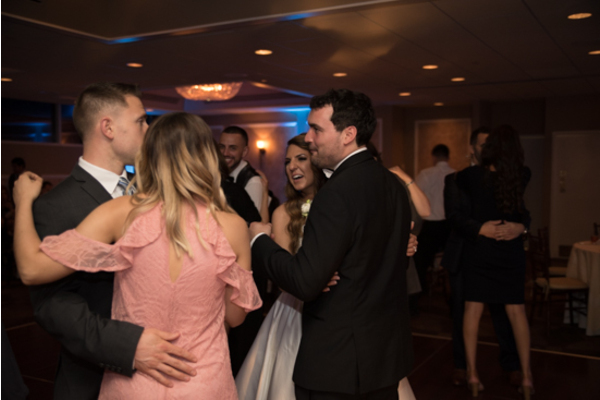 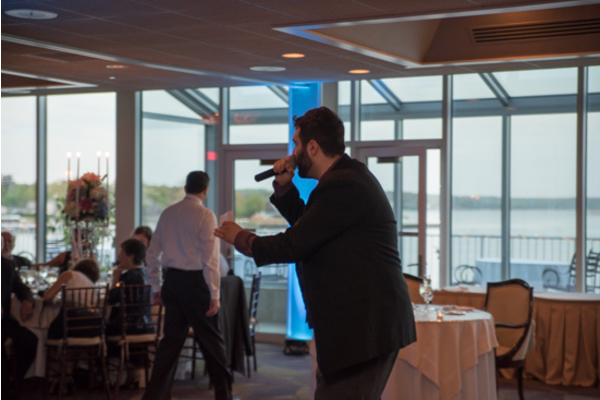 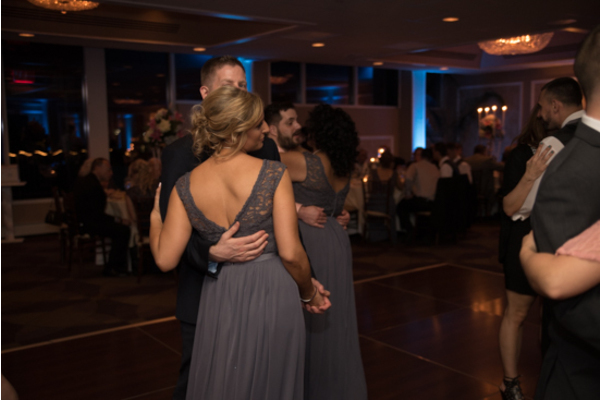 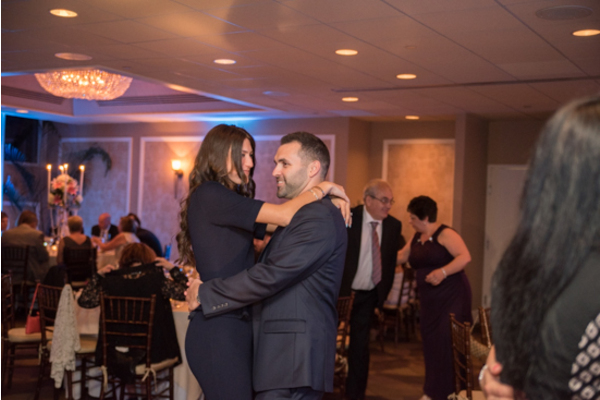 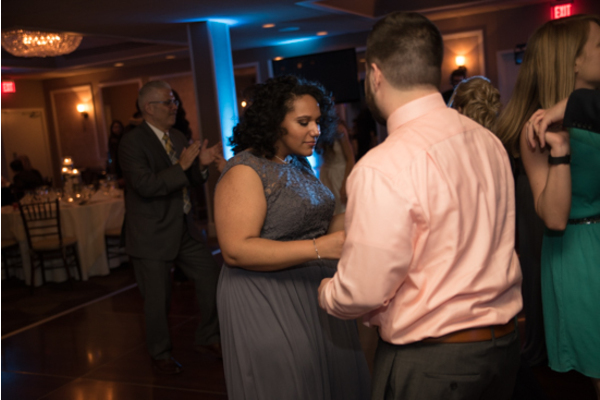 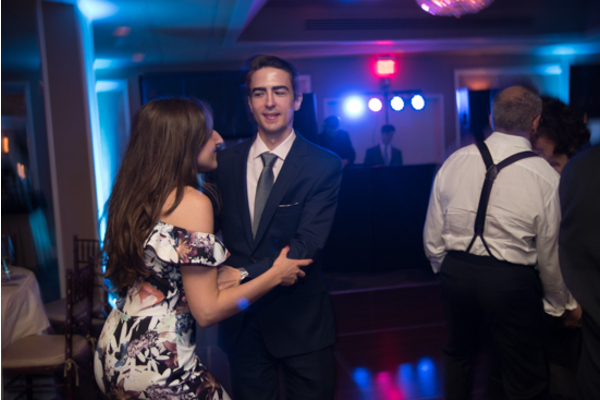 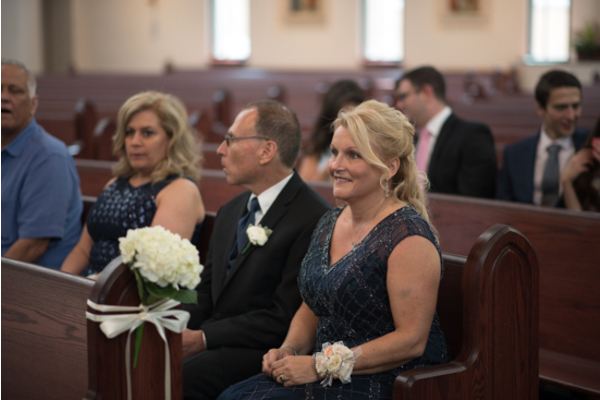 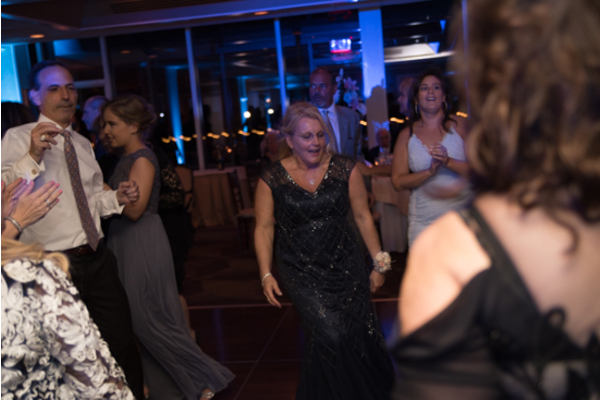 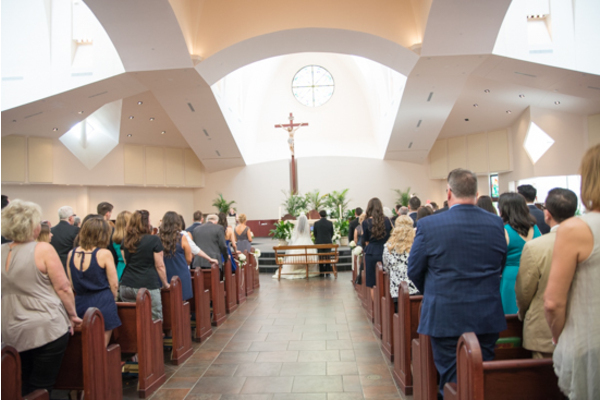 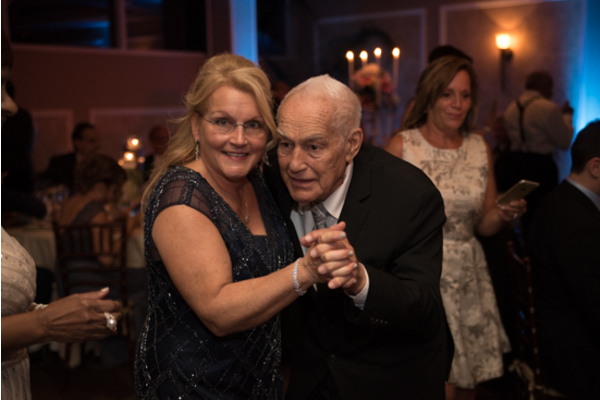 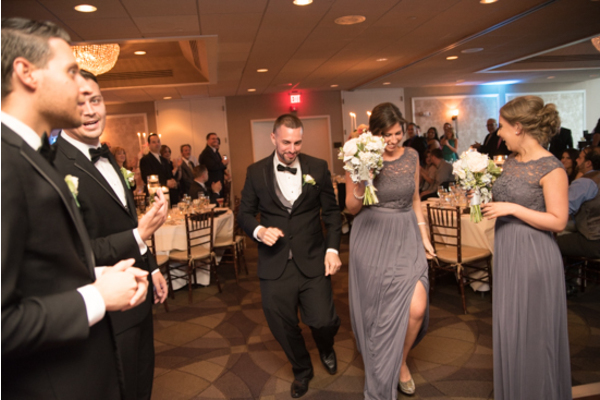 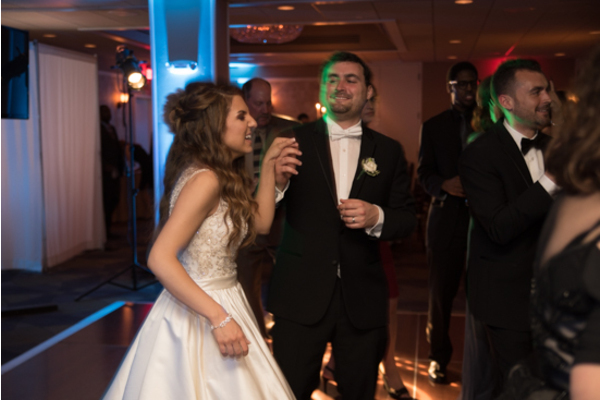 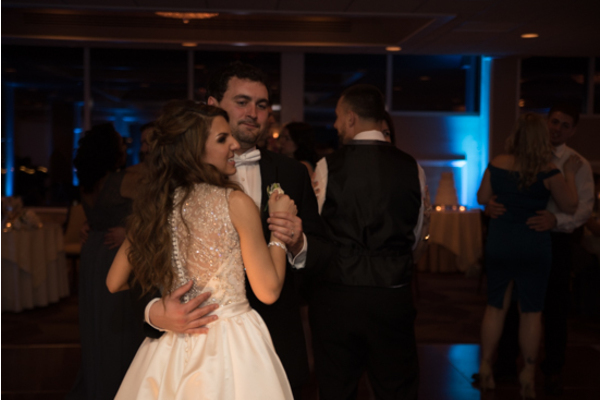 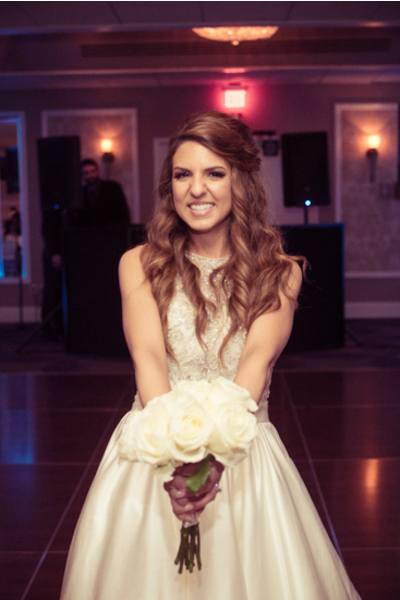 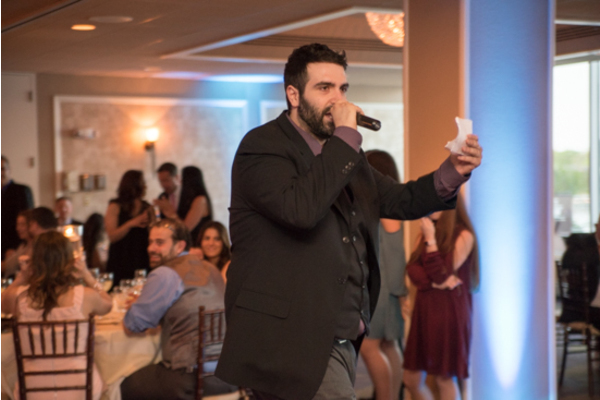 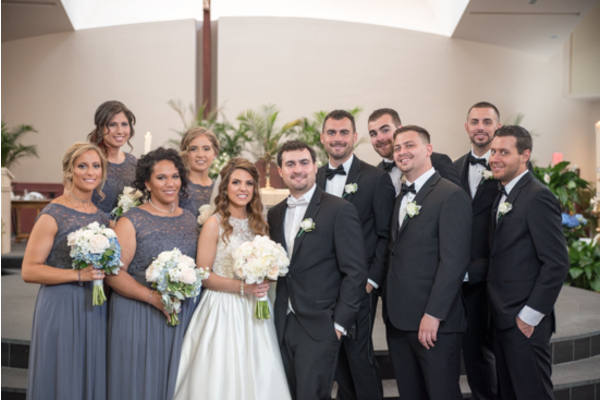 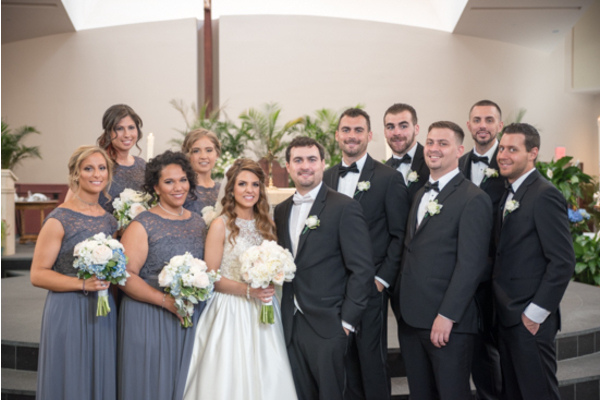 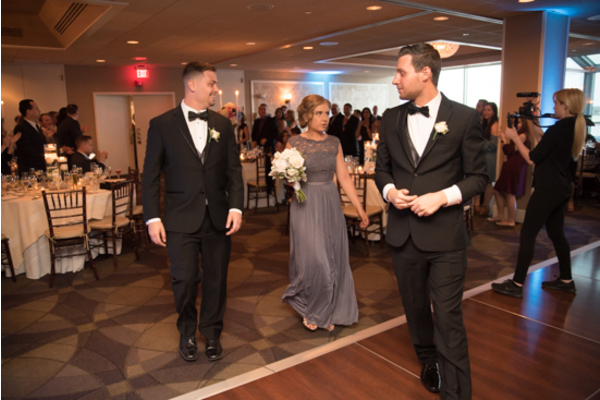 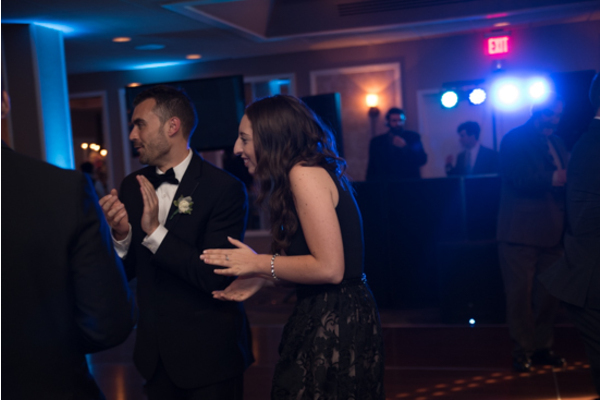 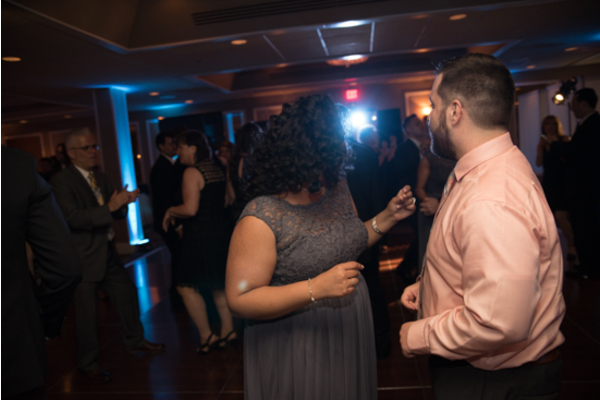 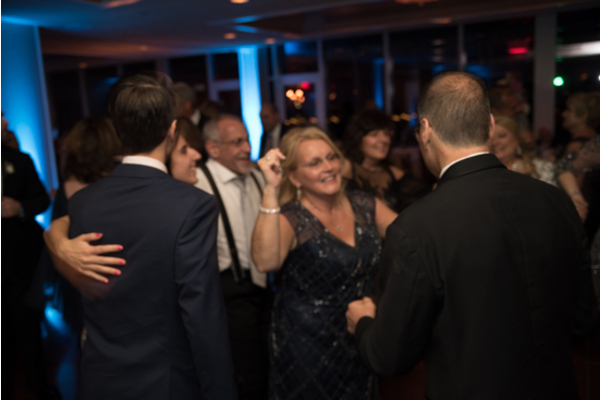 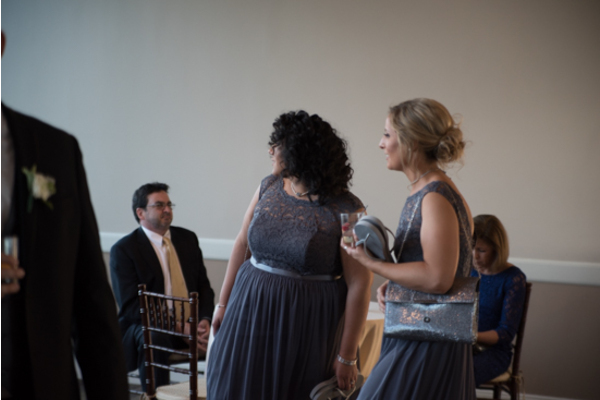 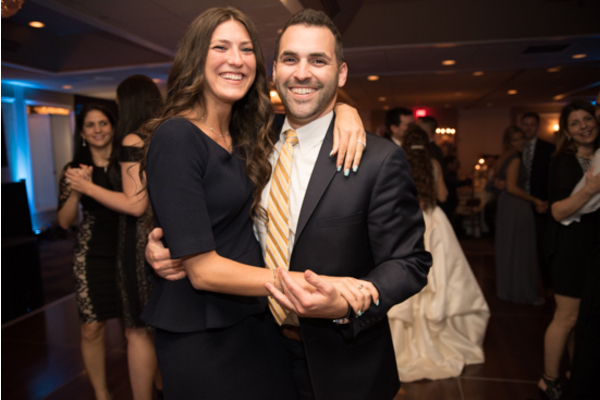 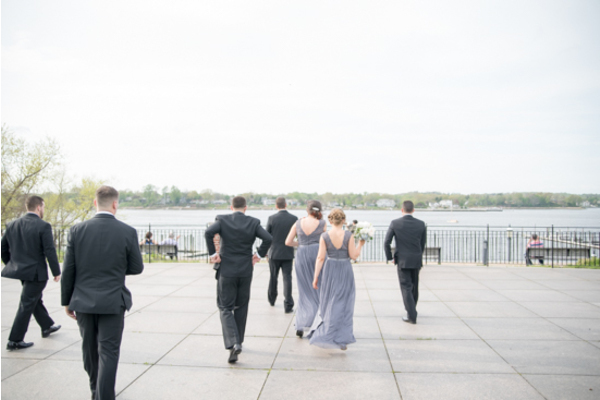 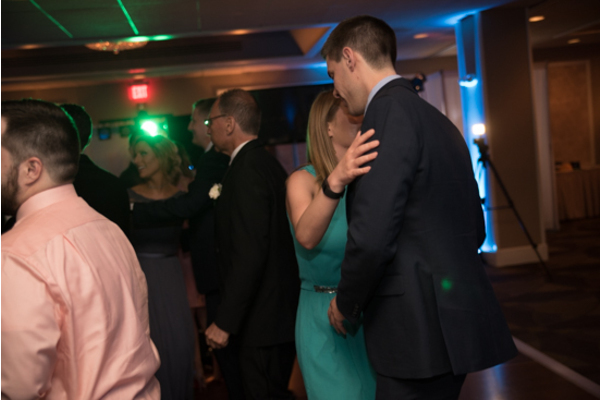 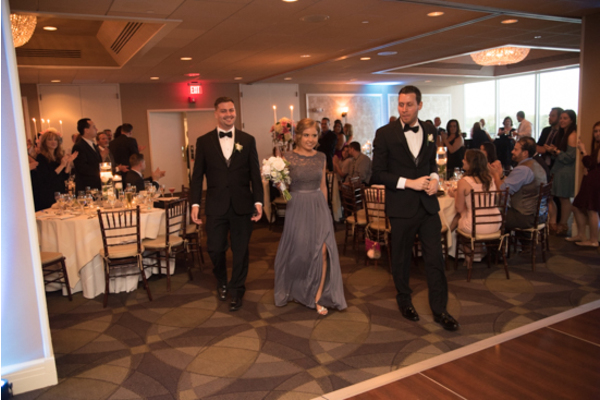 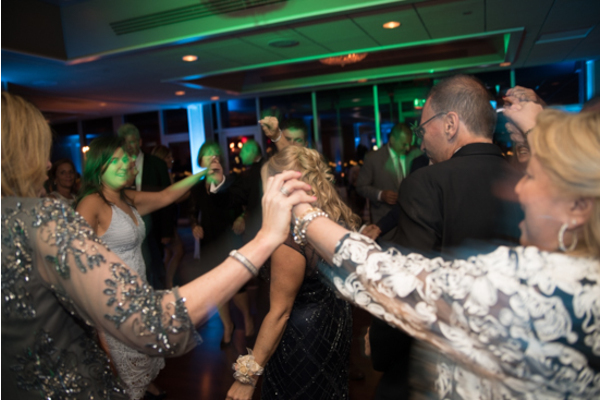 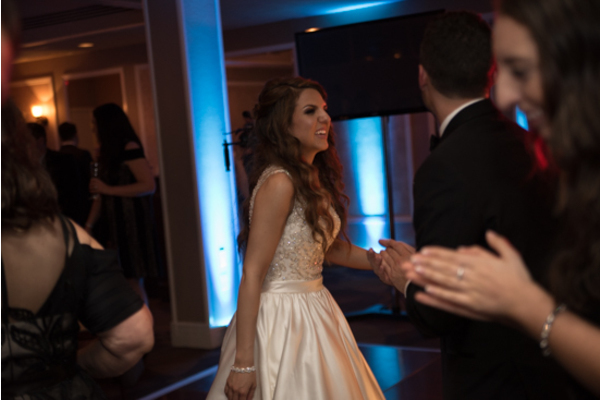 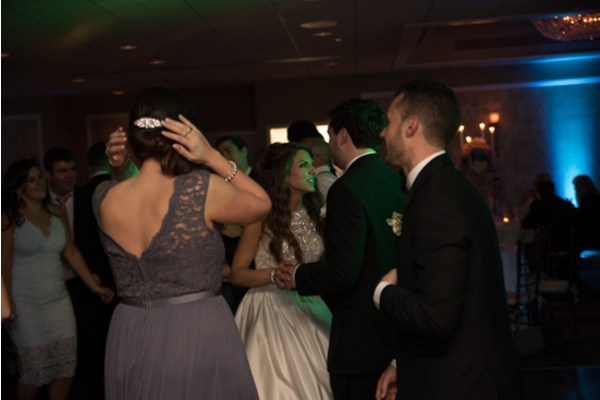 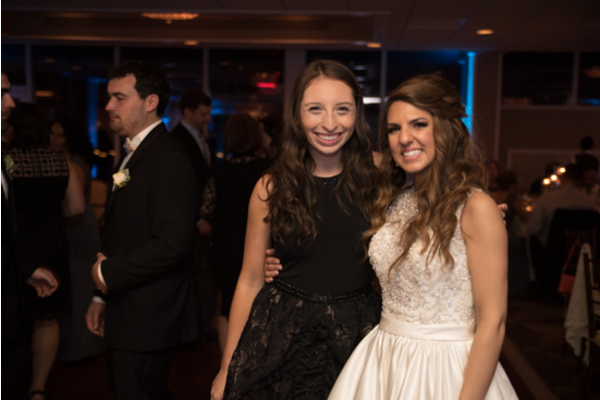 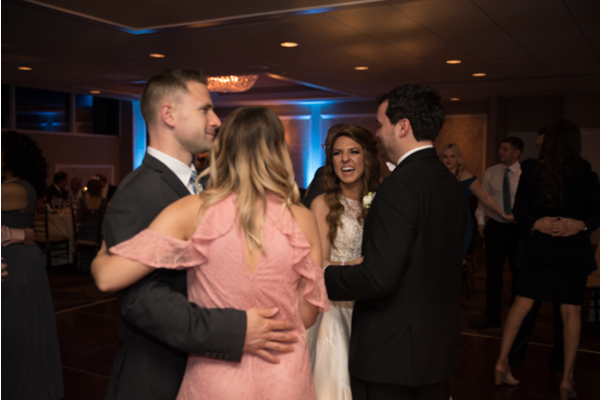 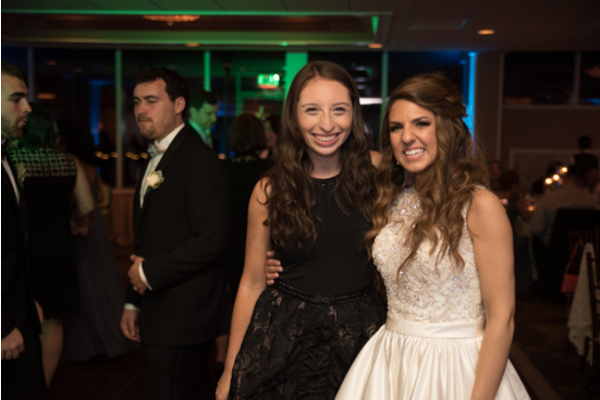 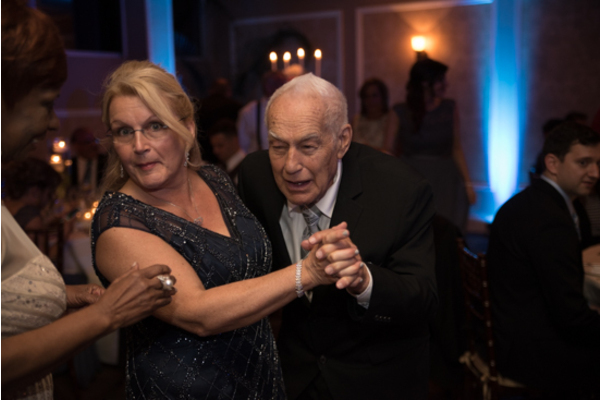 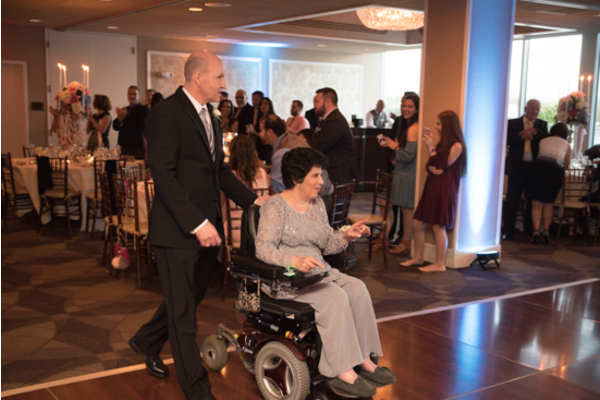 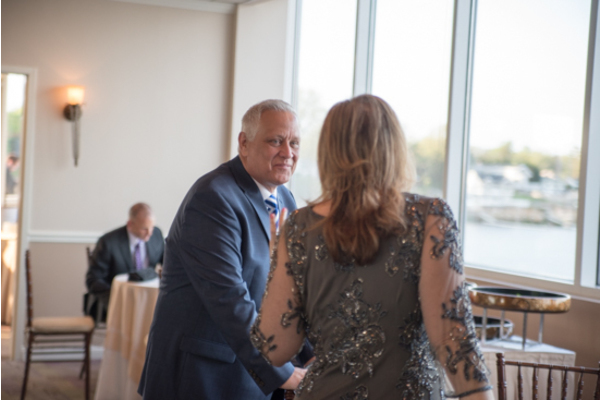 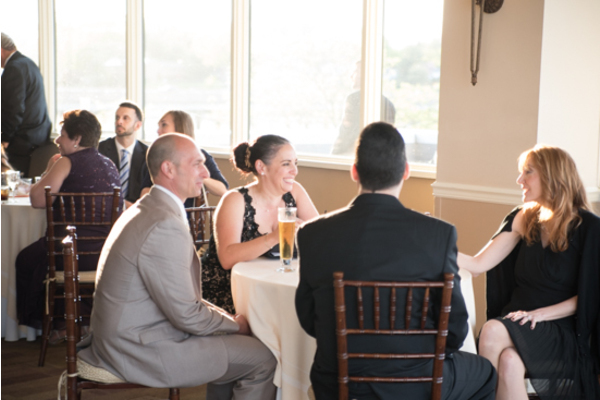 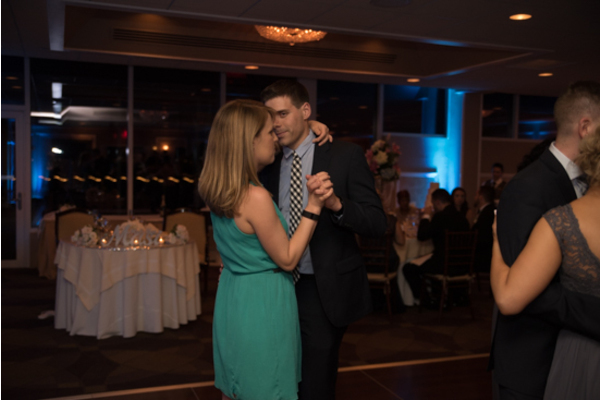 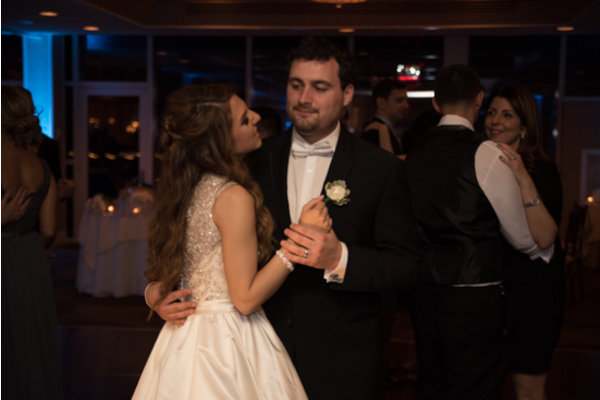 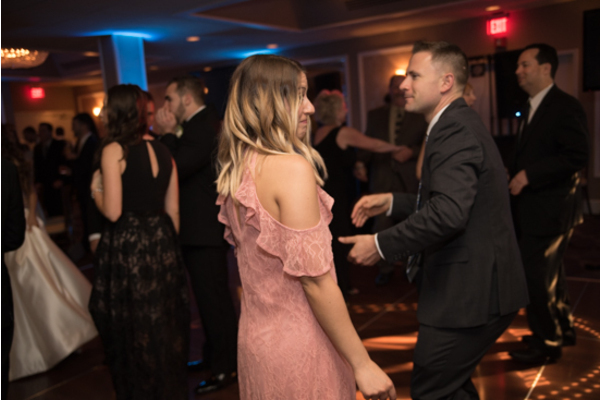 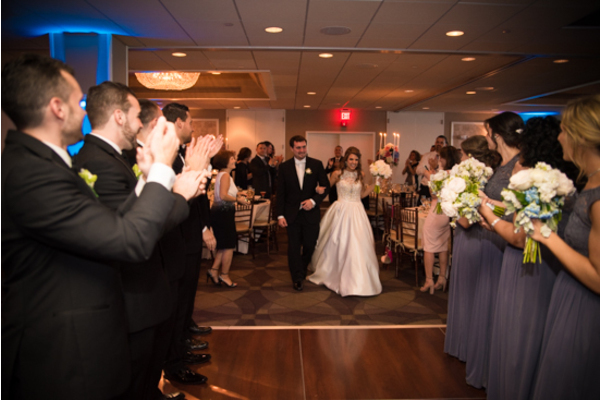 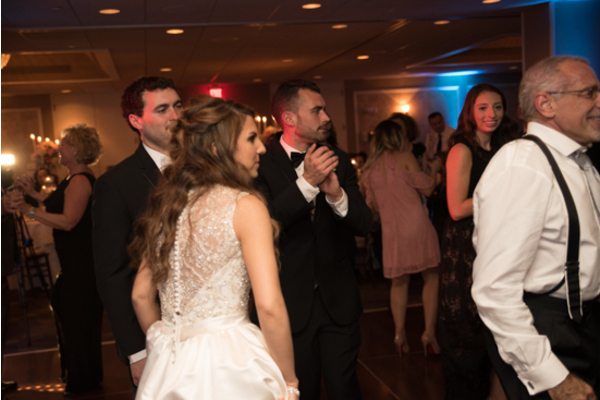 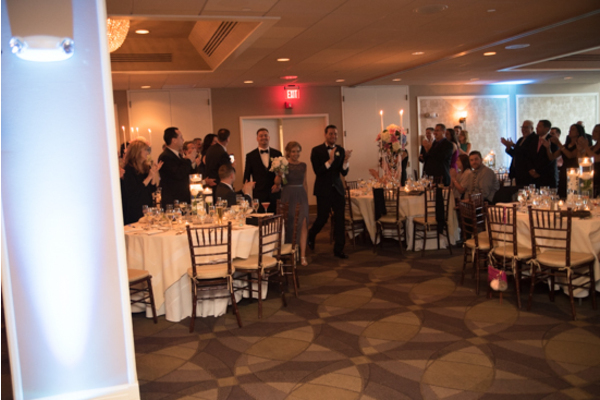 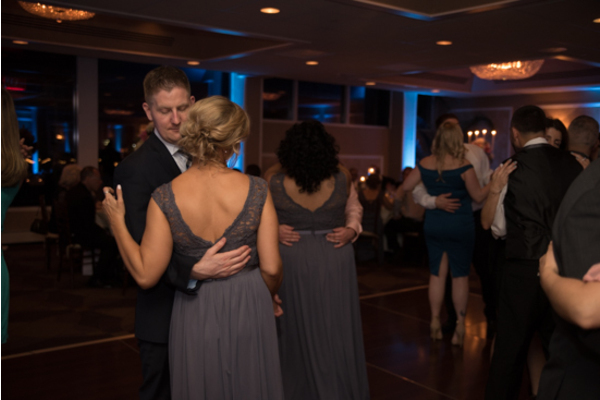 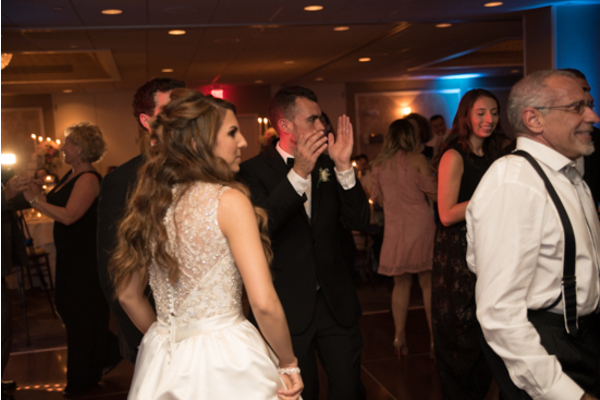 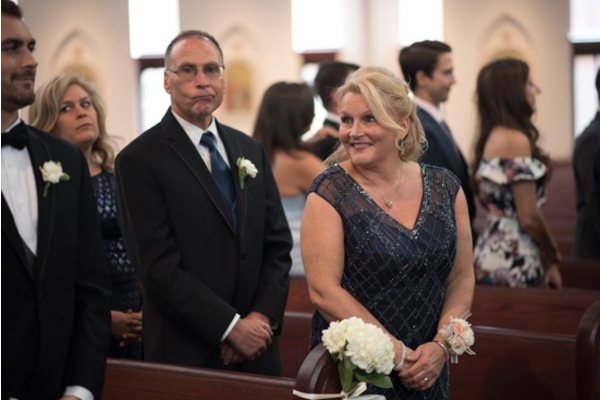 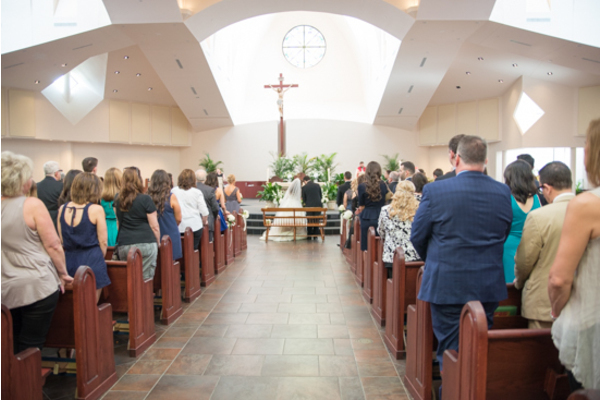 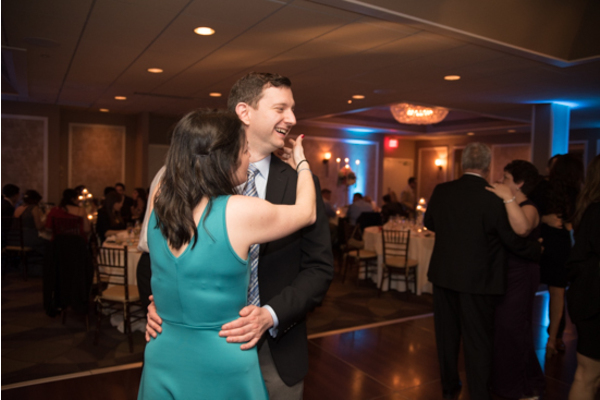 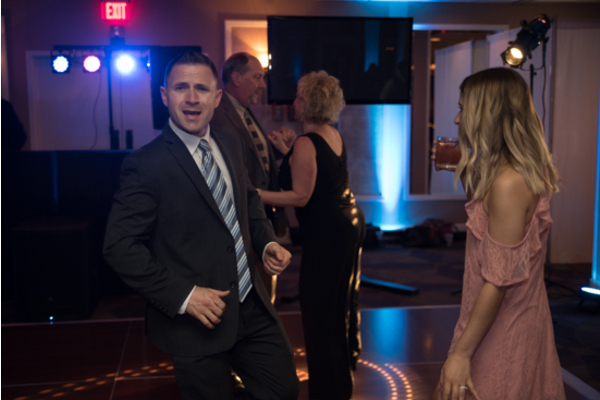 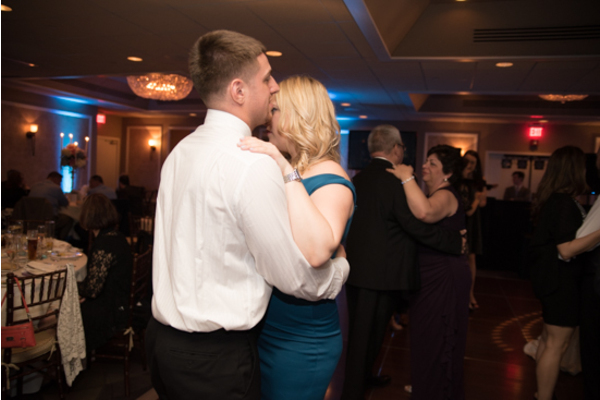 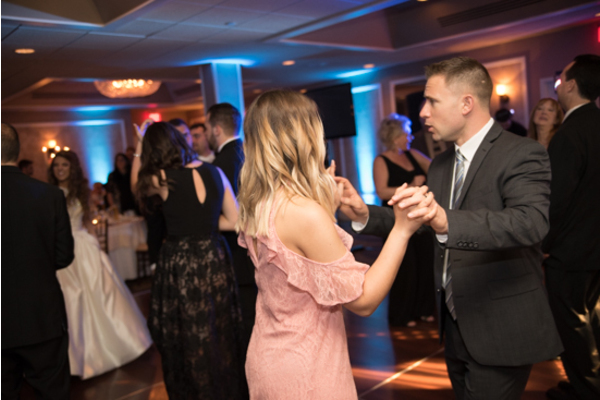 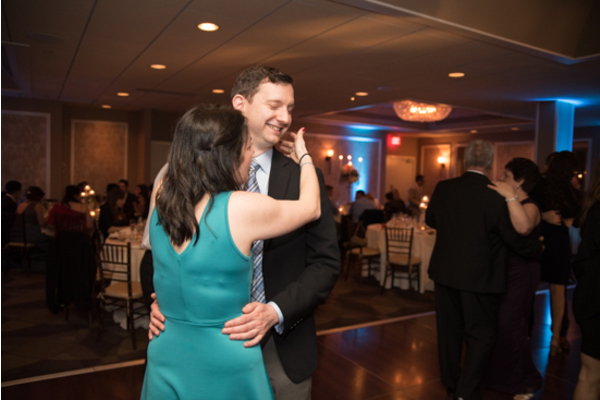 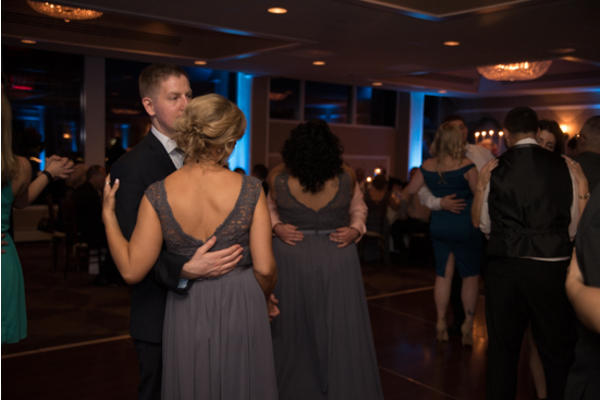 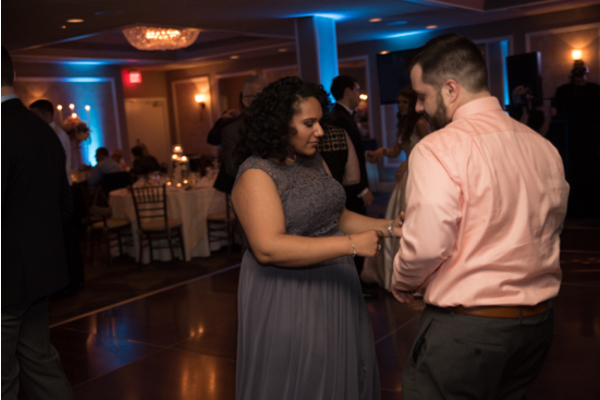 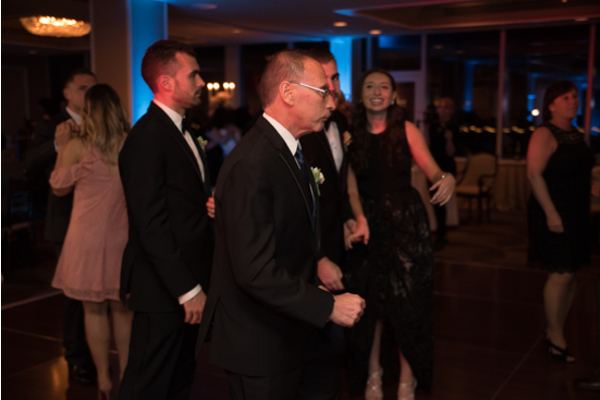 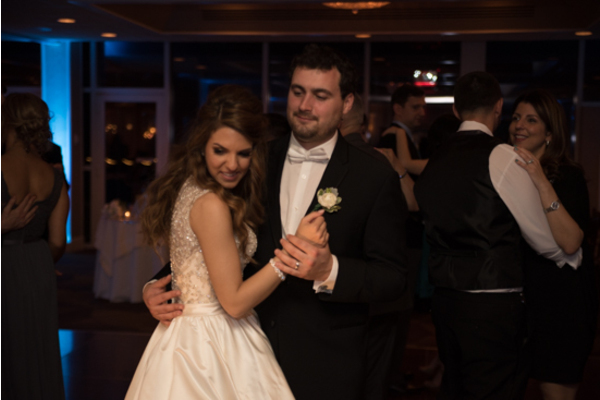 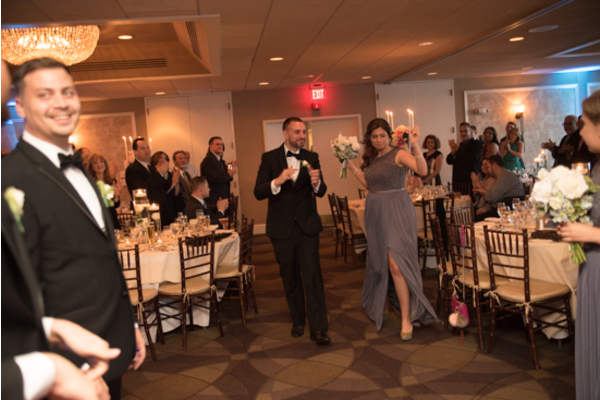 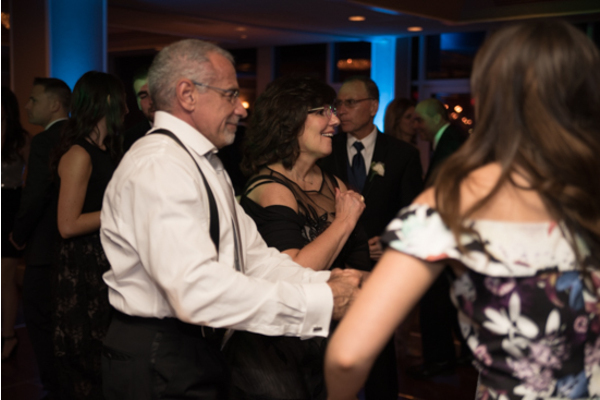 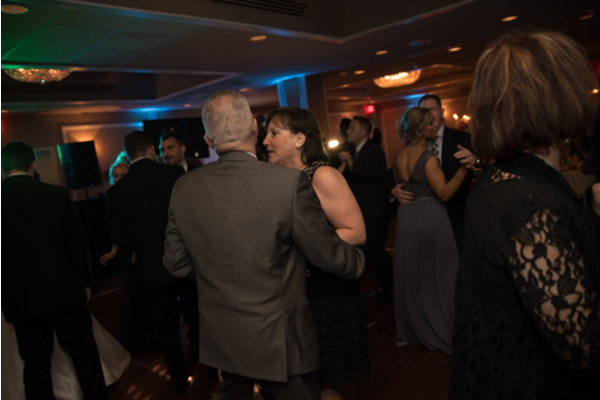 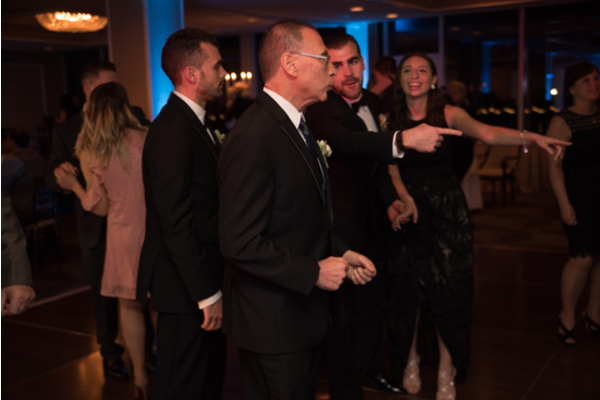 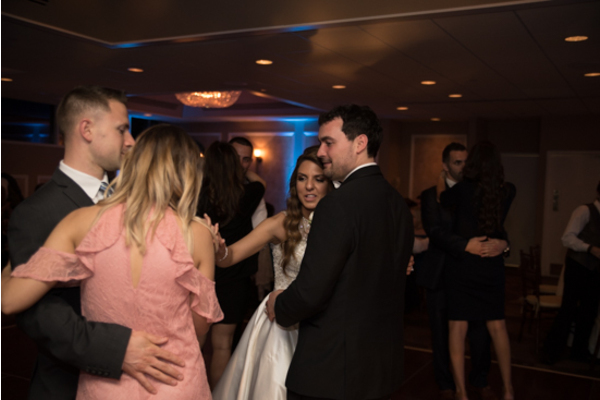 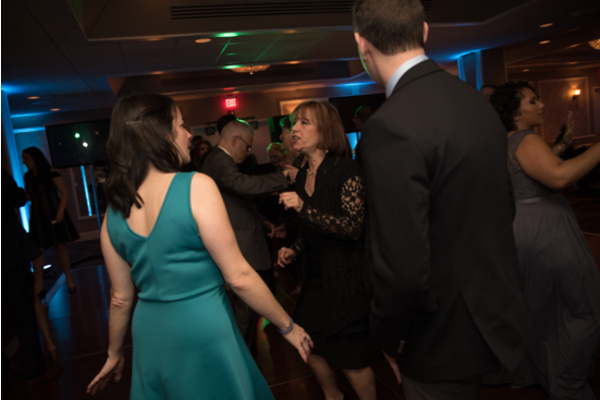 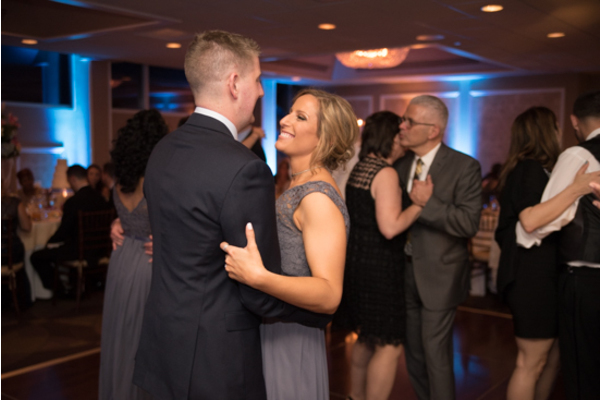 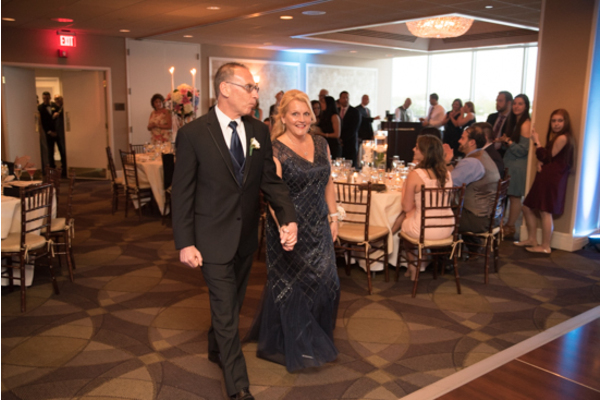 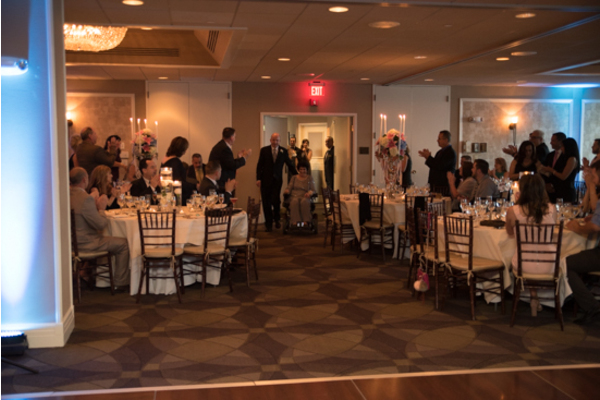 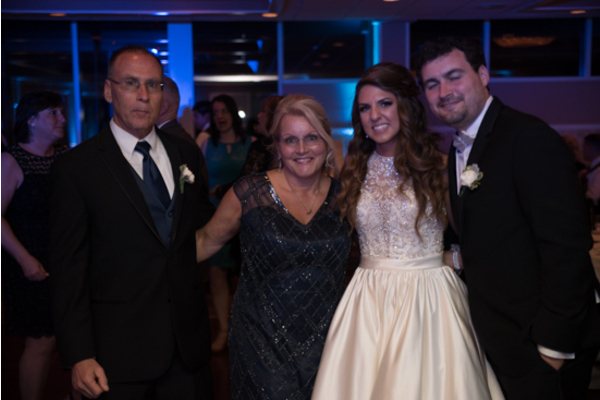 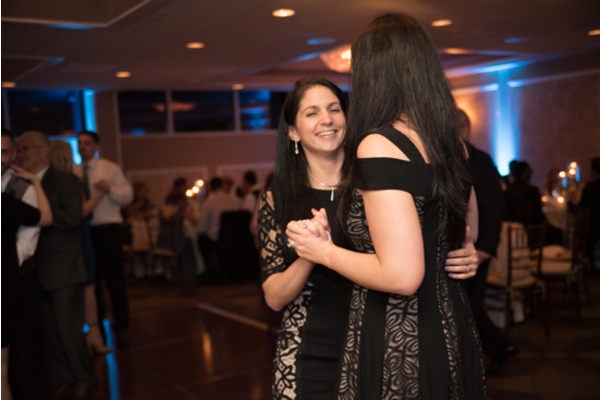 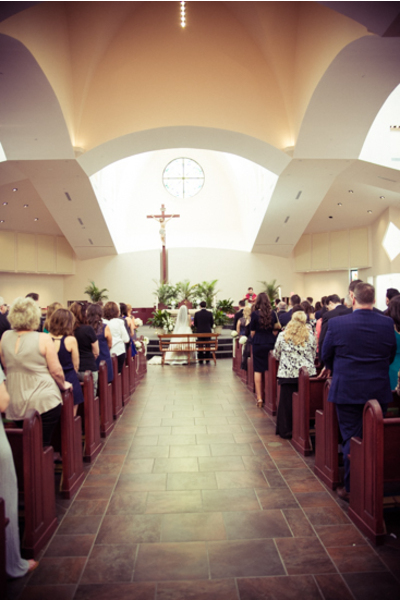 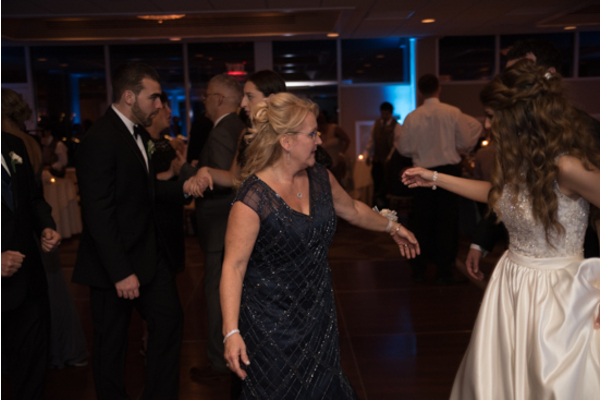 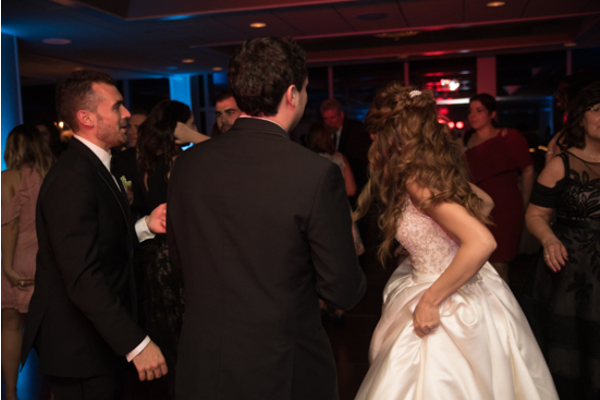 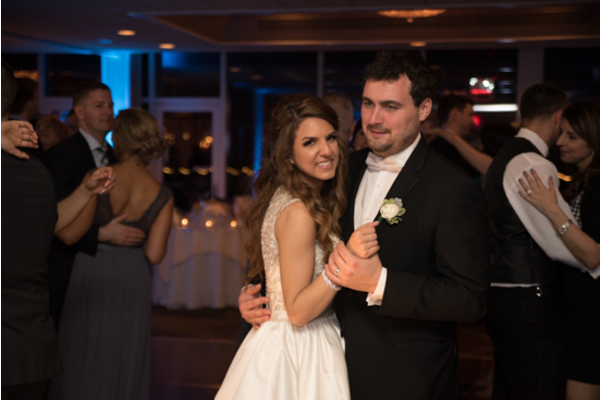 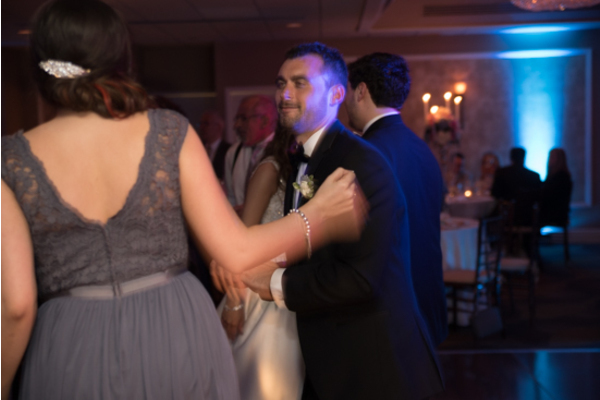 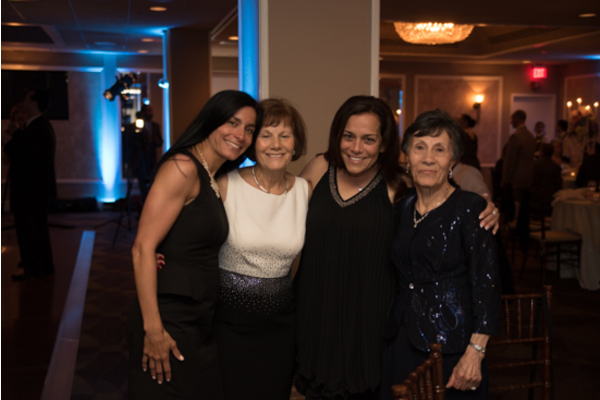 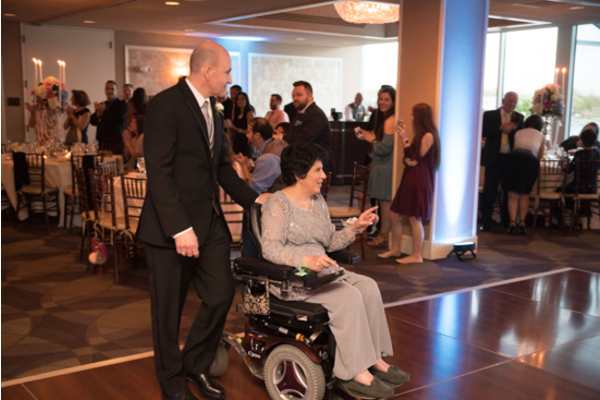 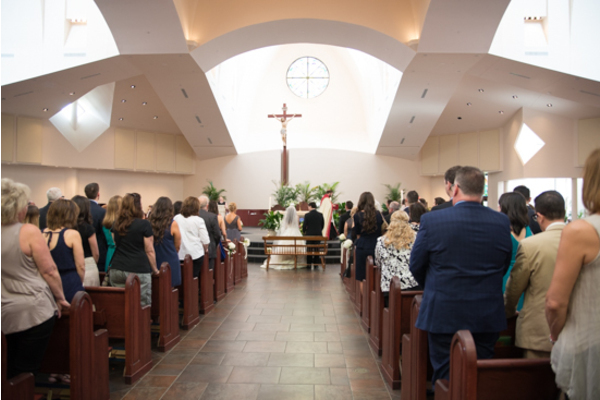 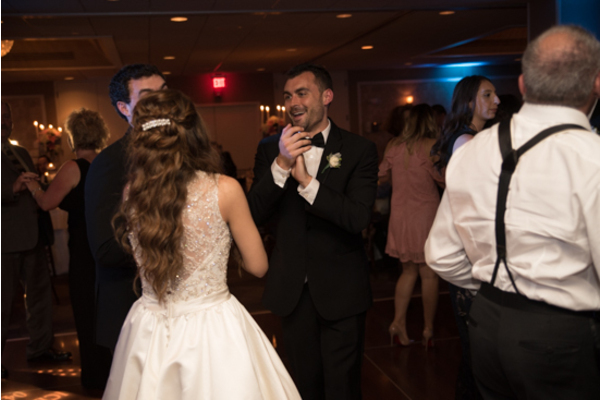 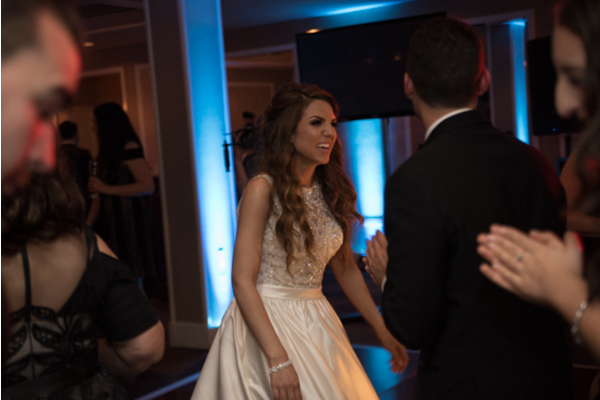 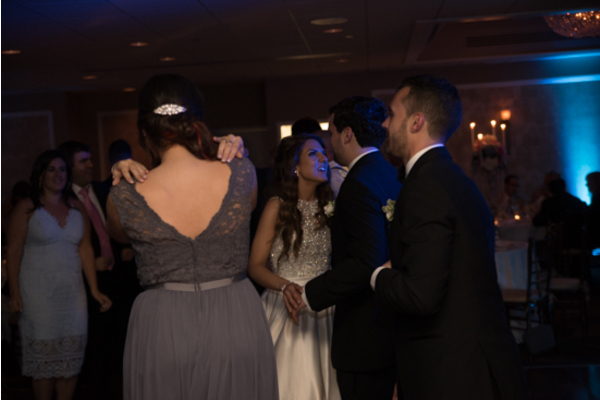 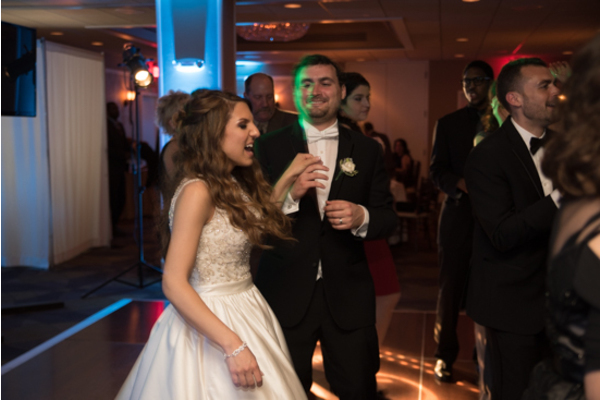 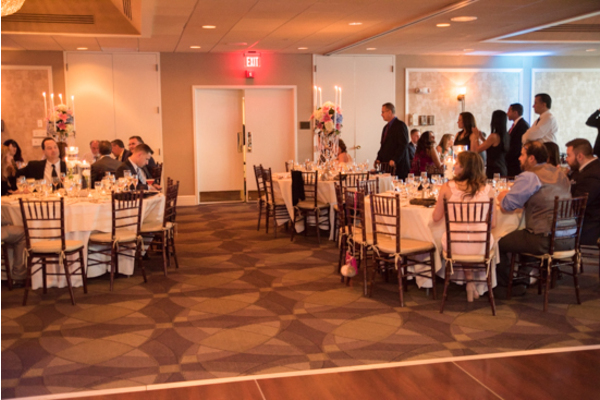 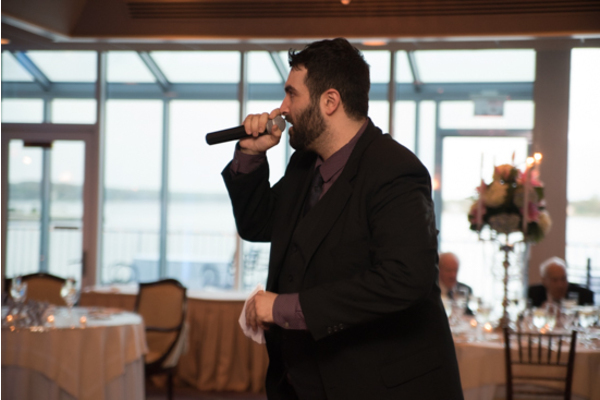 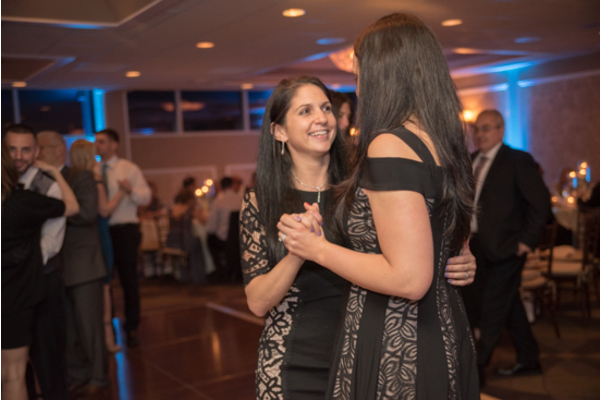 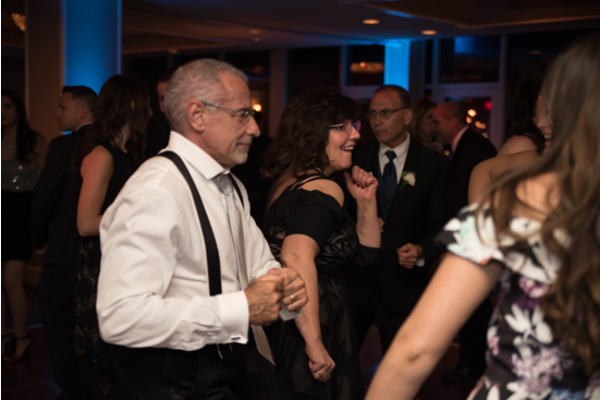 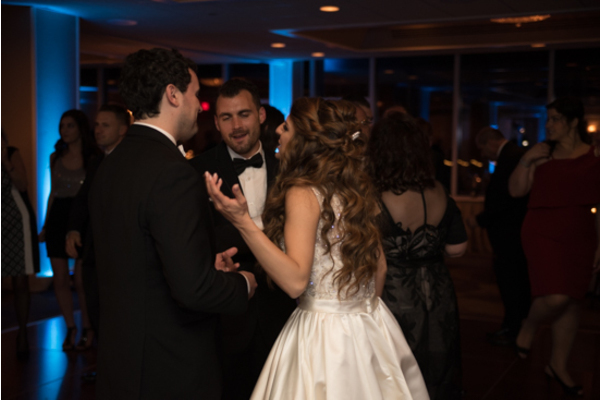 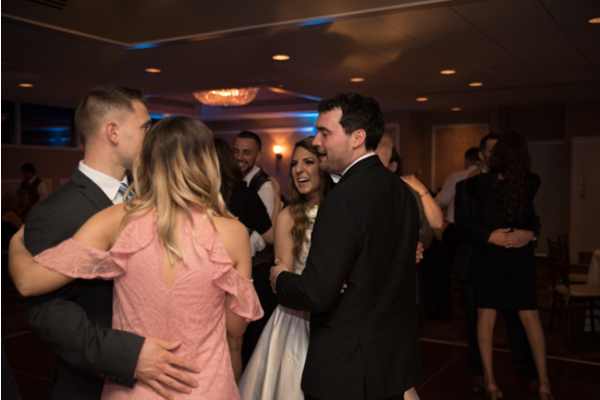 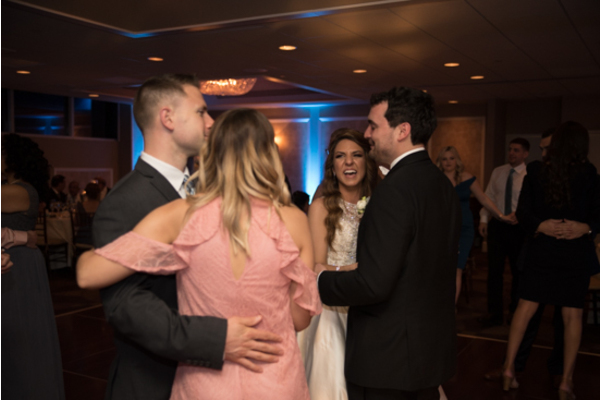 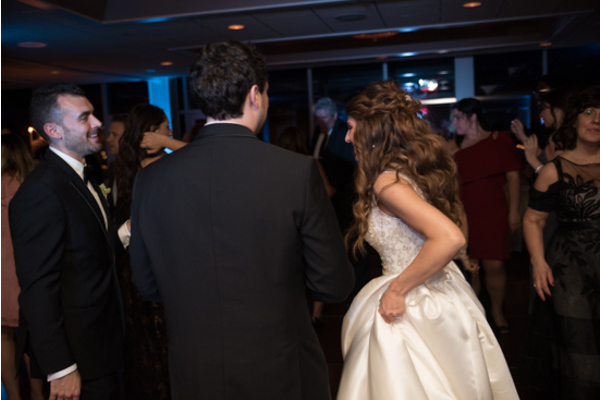 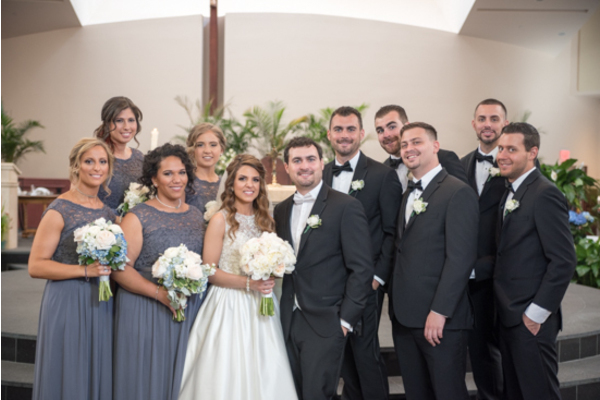 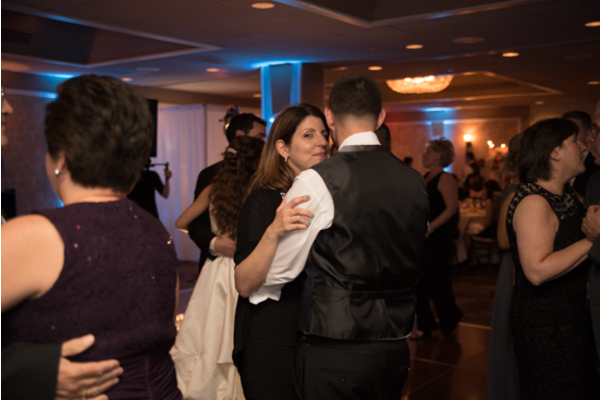 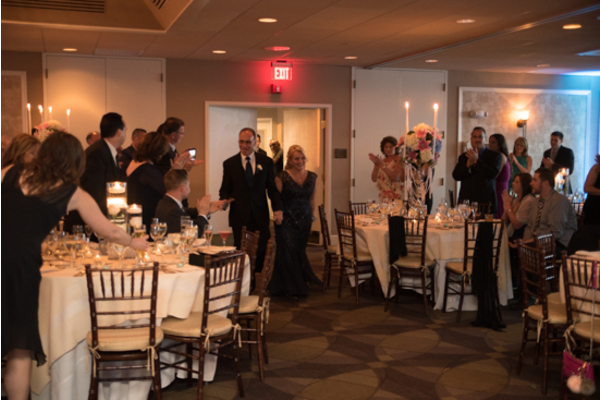 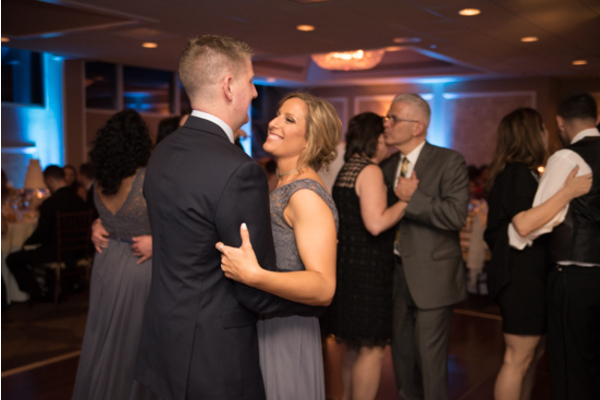 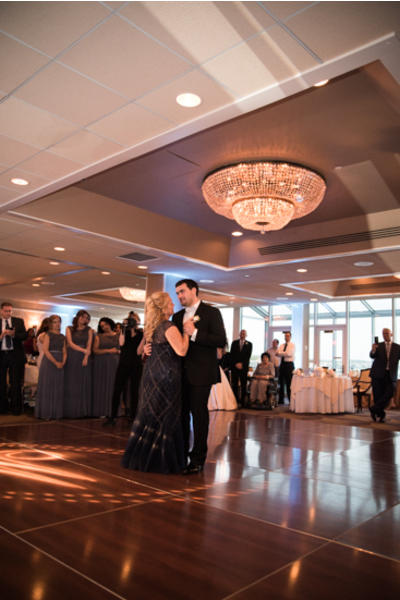 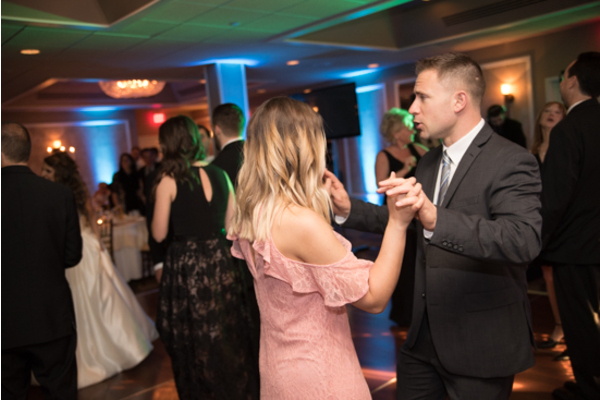 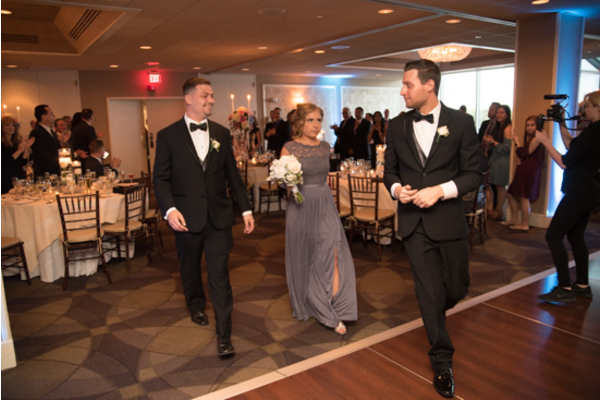 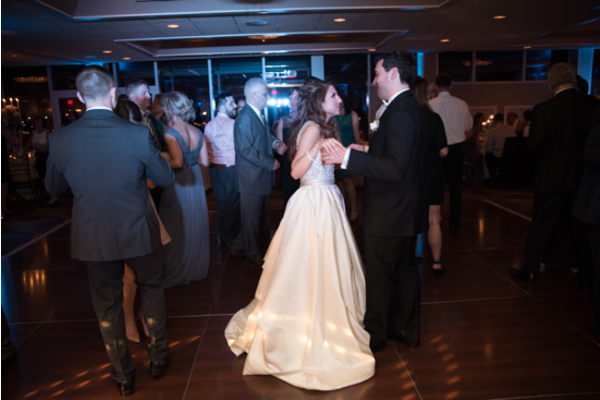 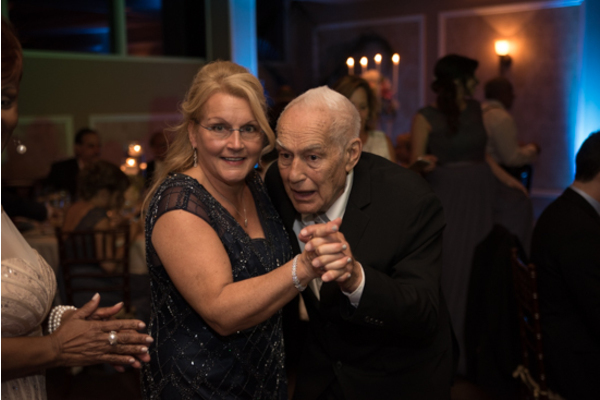 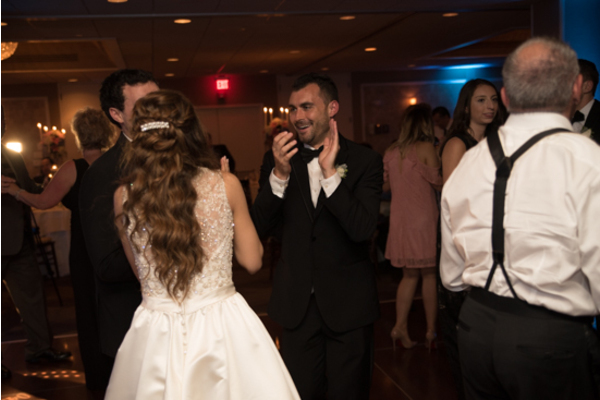 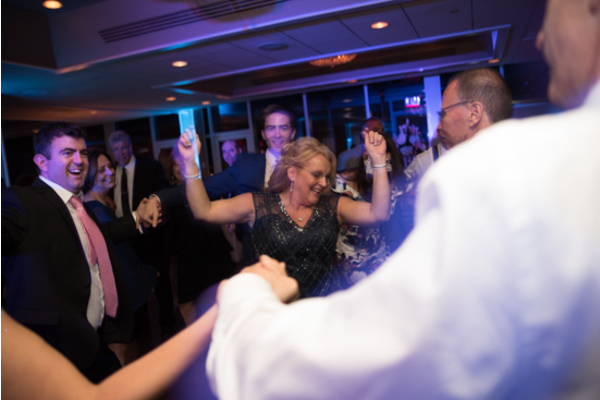 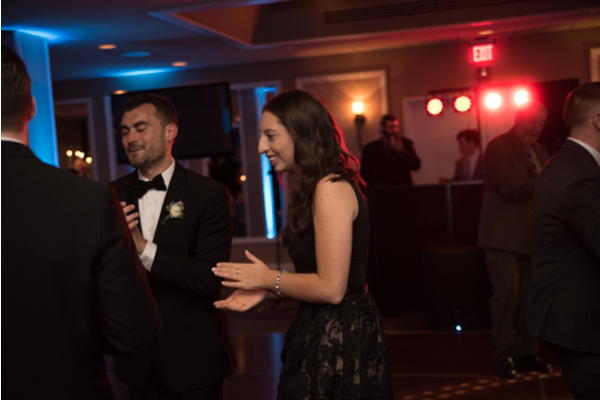 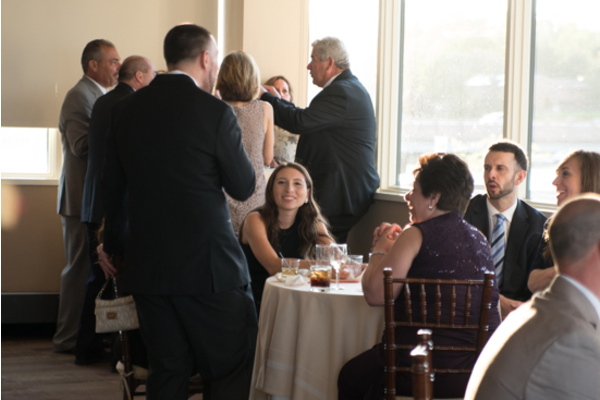 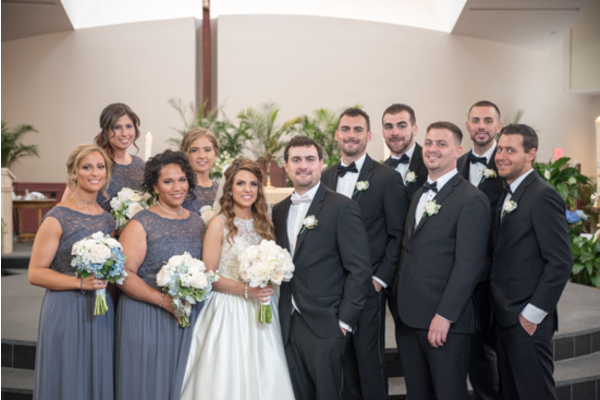 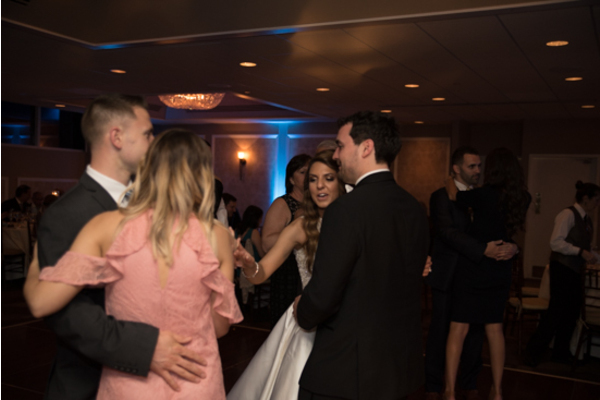 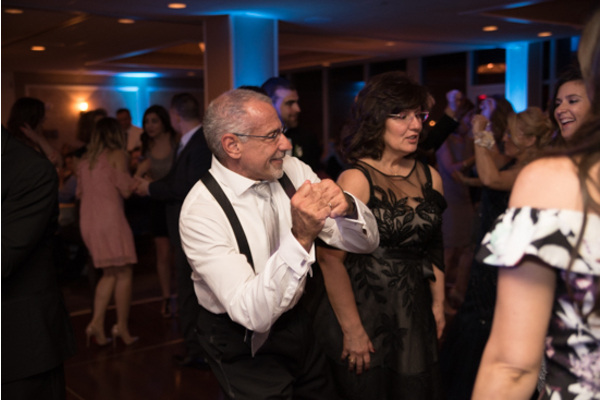 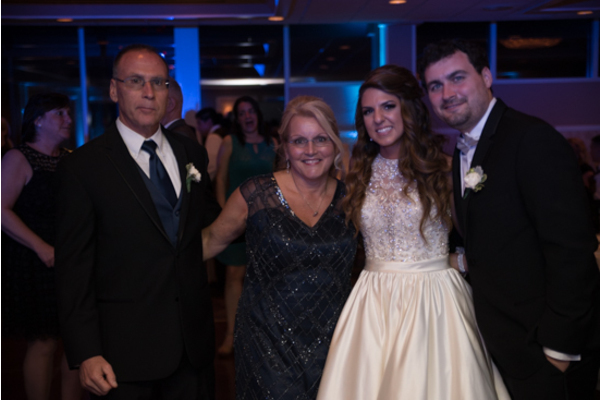 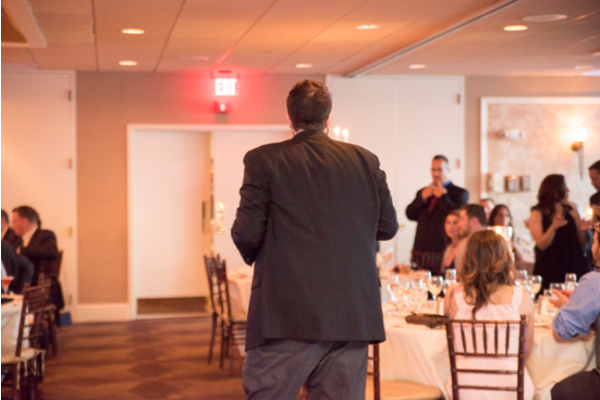 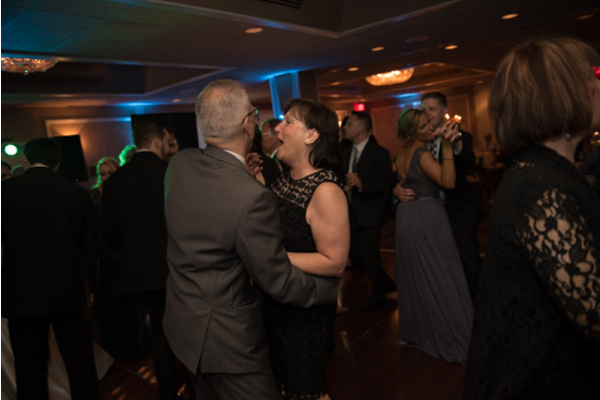 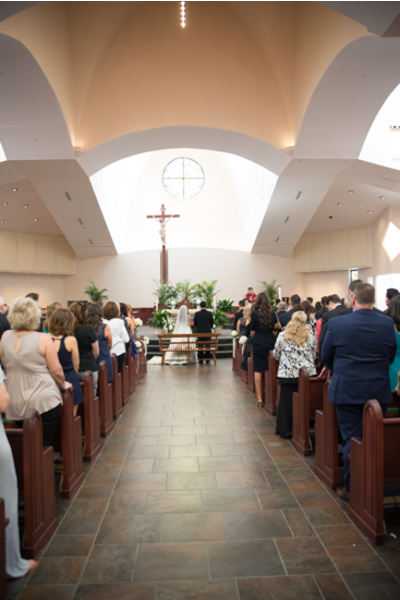 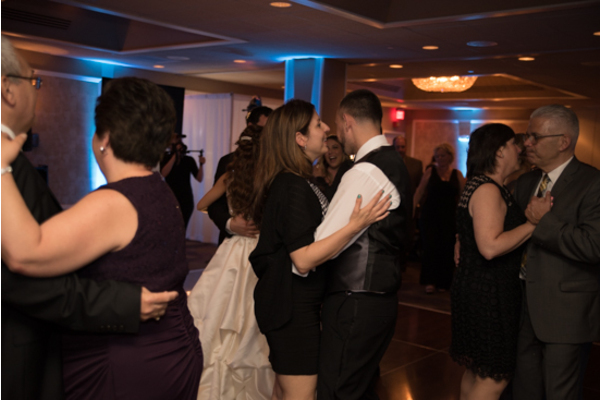 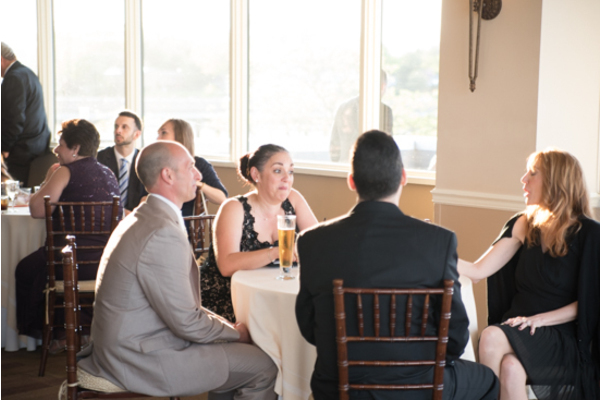 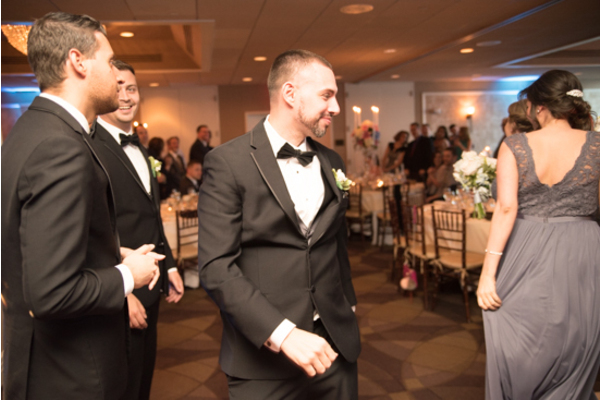 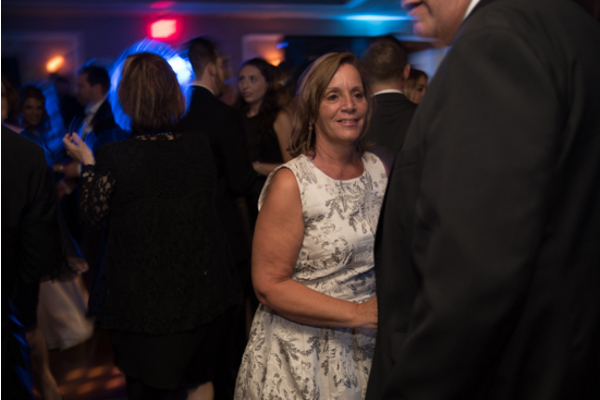 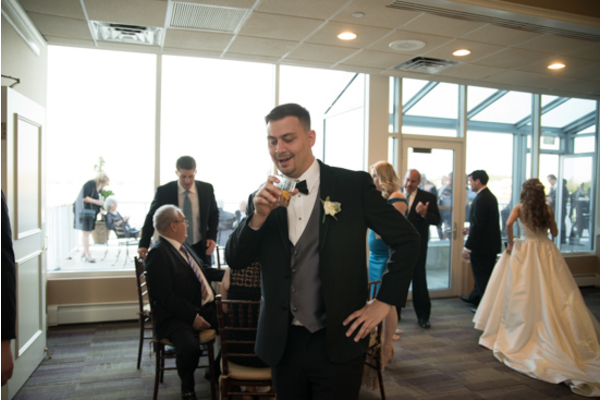 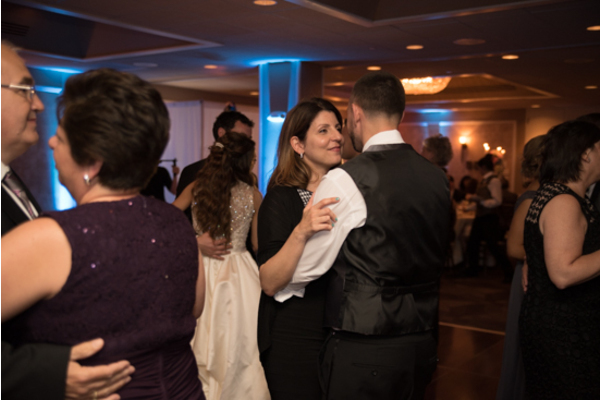 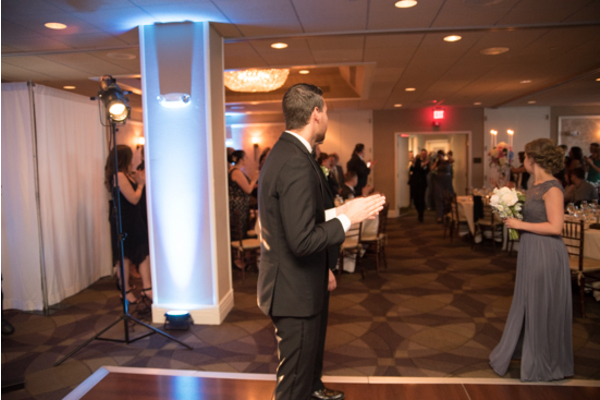 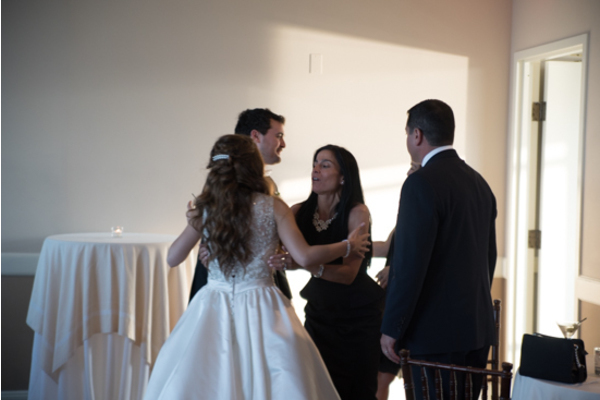 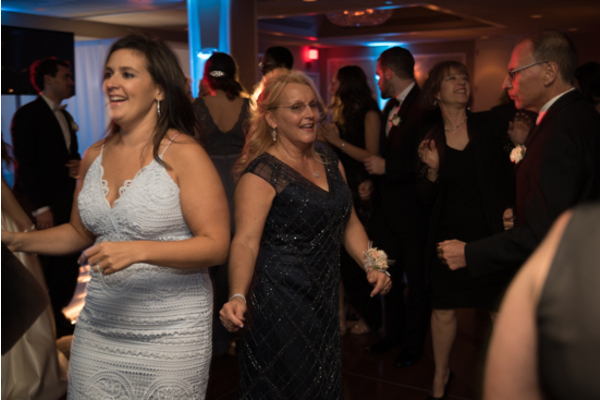 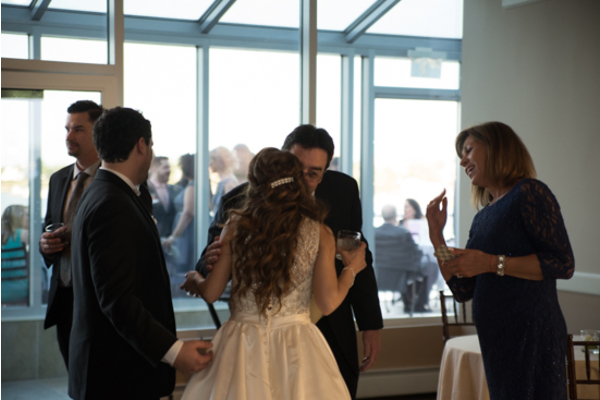 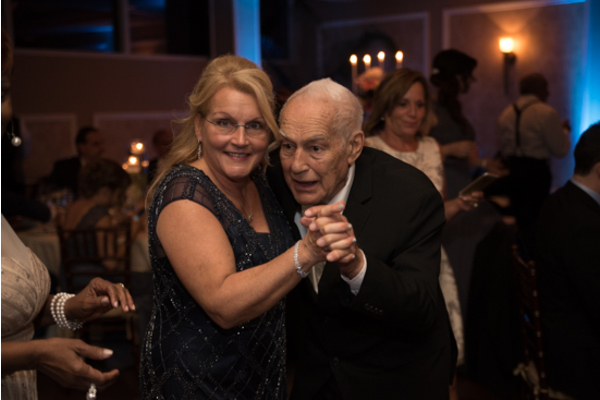 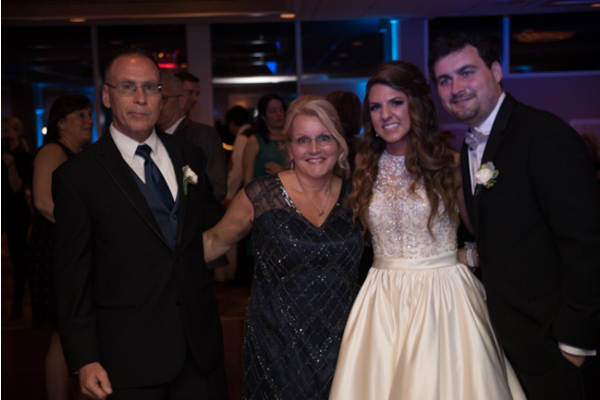 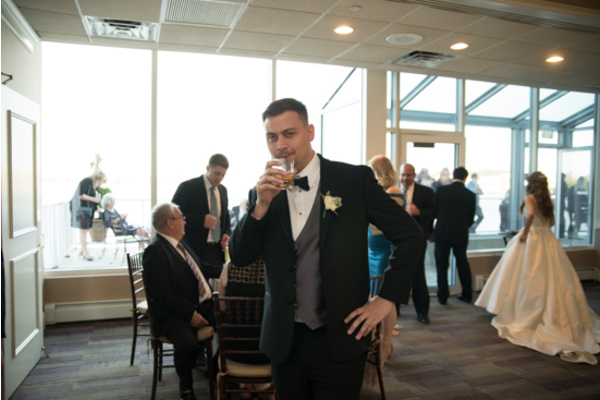 Our NJ Wedding Videographer was there to capture everybody on their feet and having a great time. 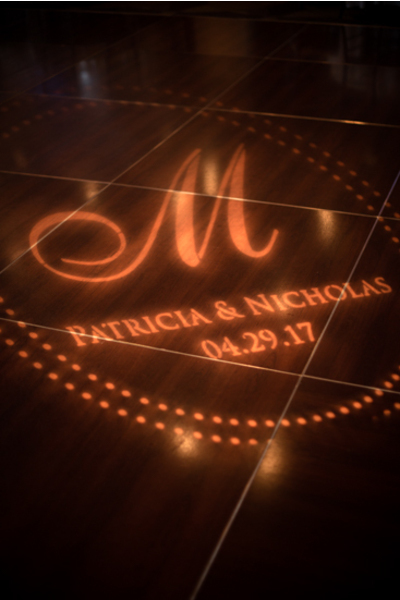 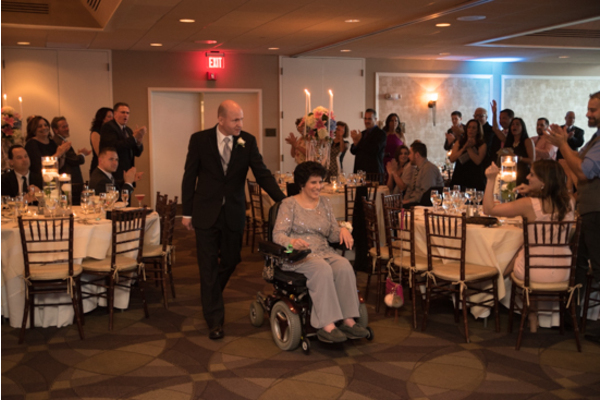 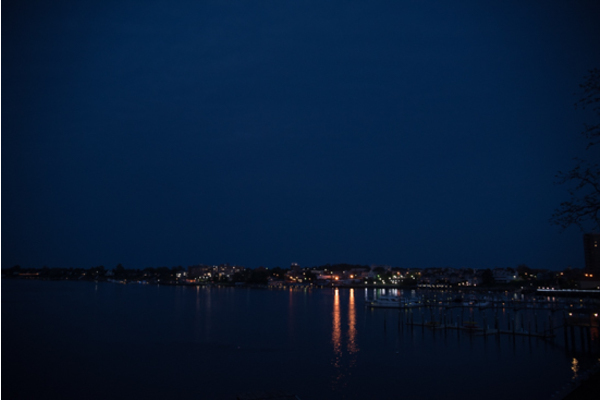 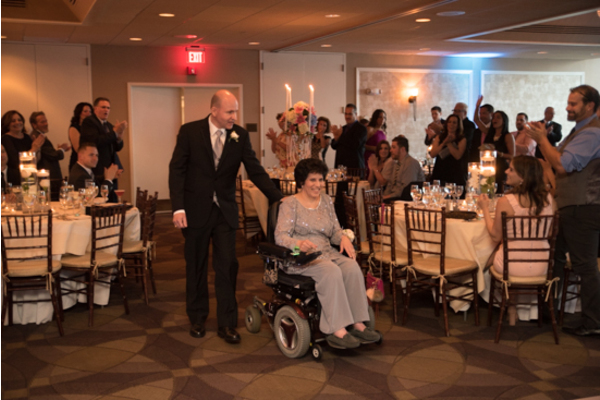 The night was such an amazing celebration of Patricia and Nick’s love for each other. 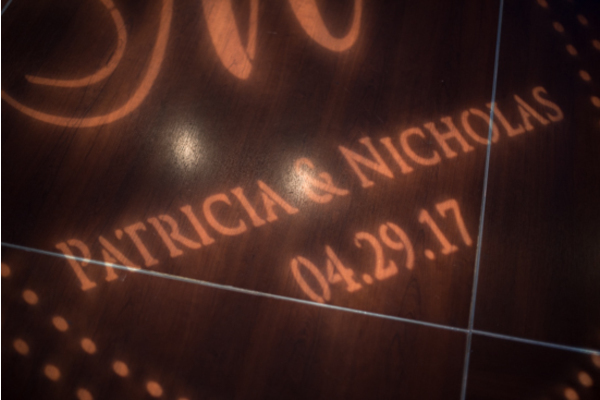 Congratulations, again, Patricia and Nick. 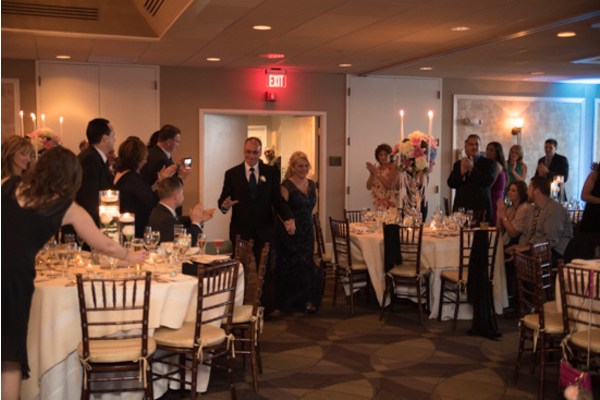 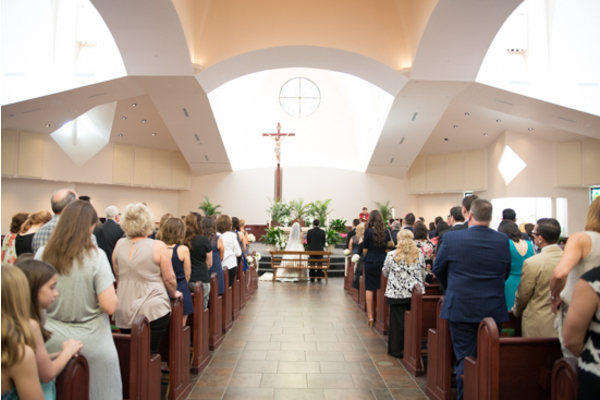 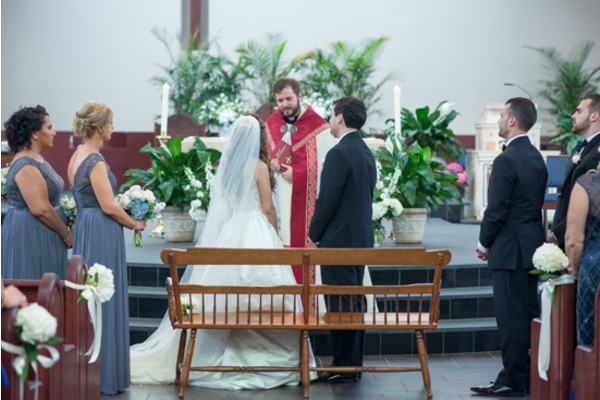 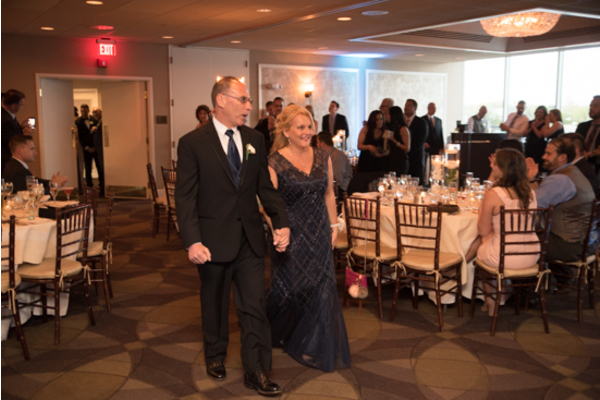 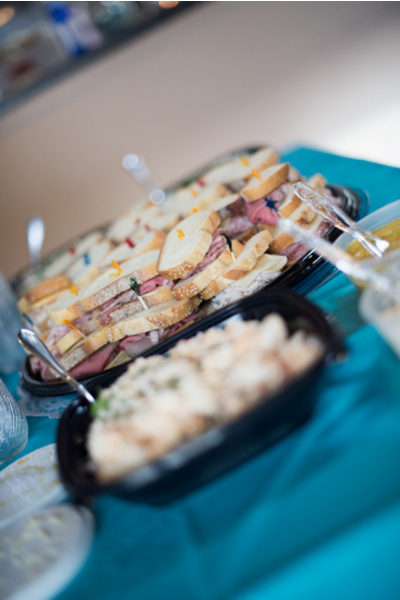 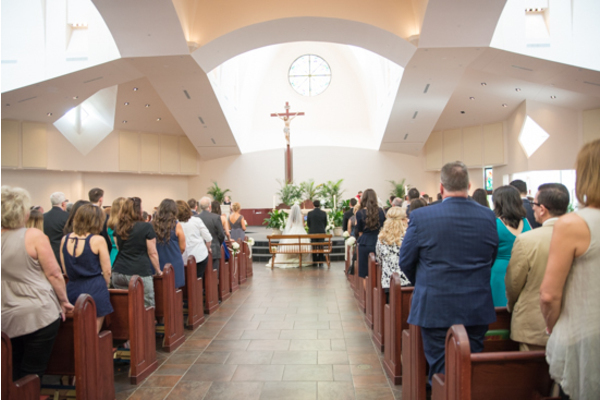 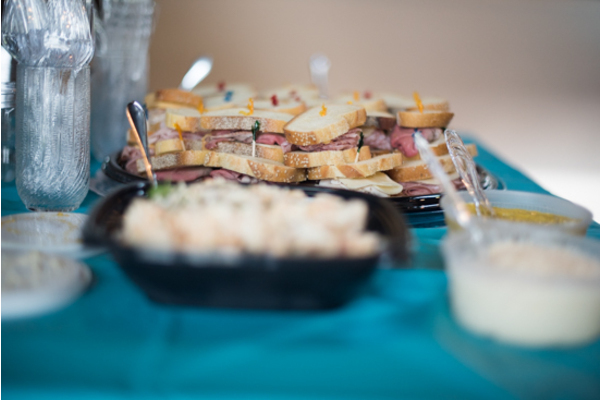 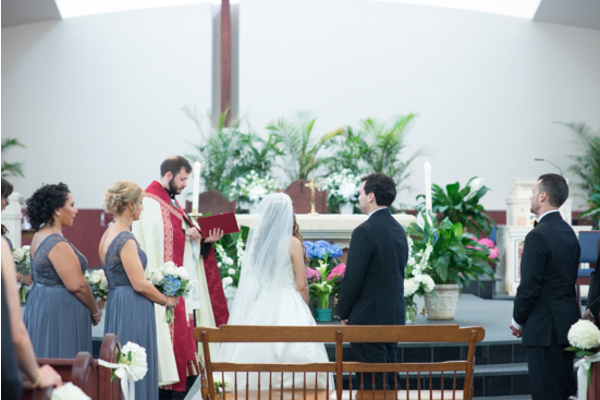 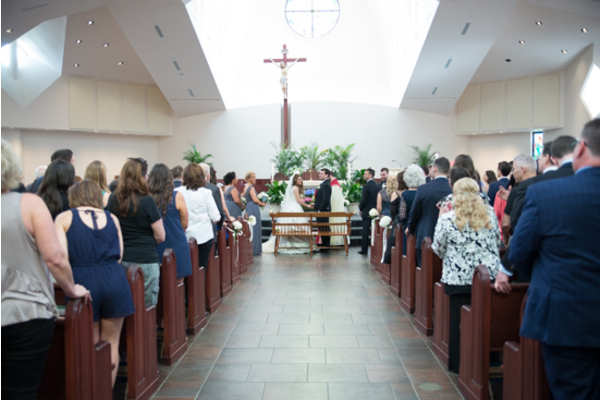 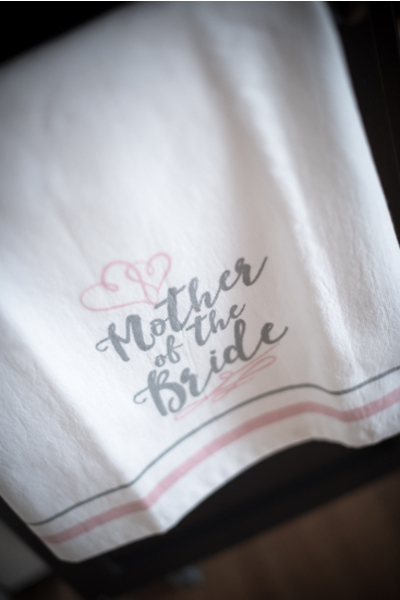 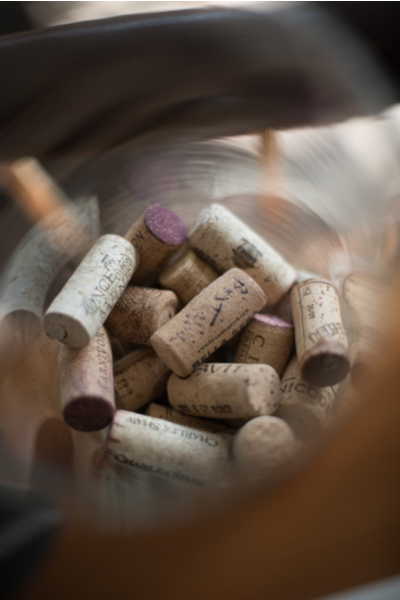 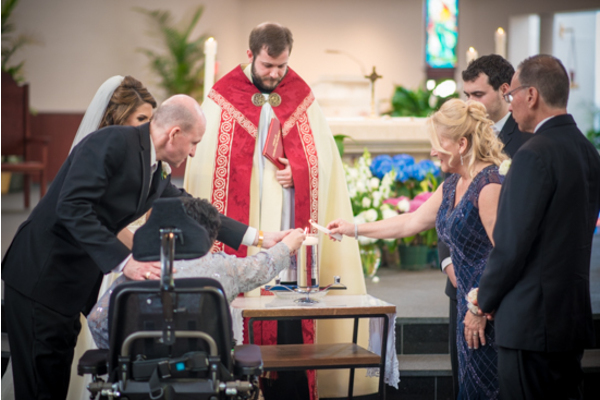 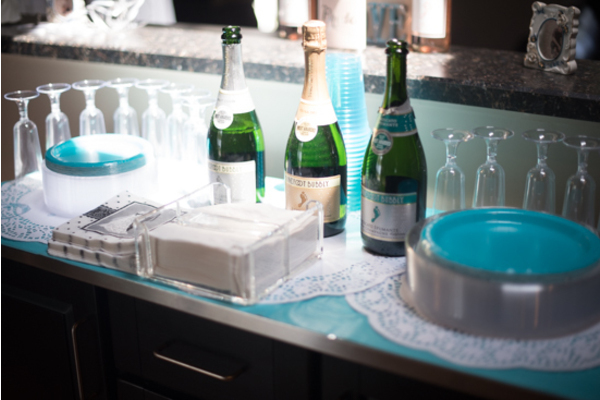 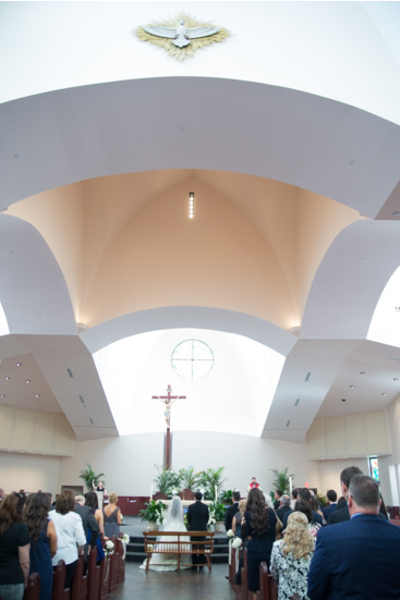 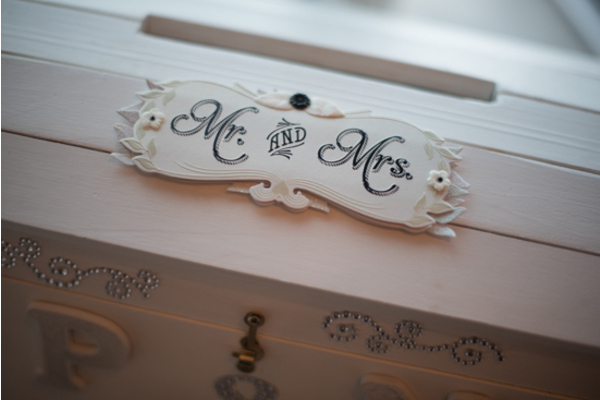 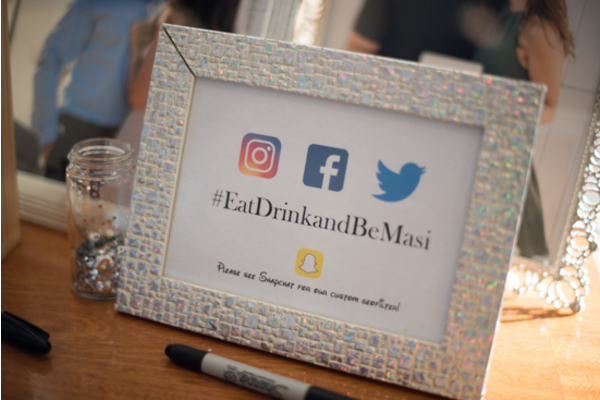 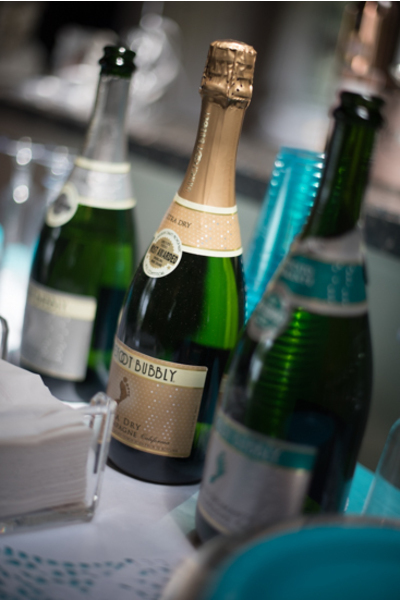 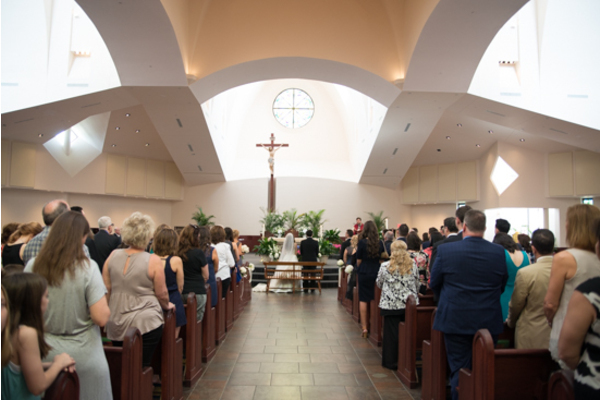 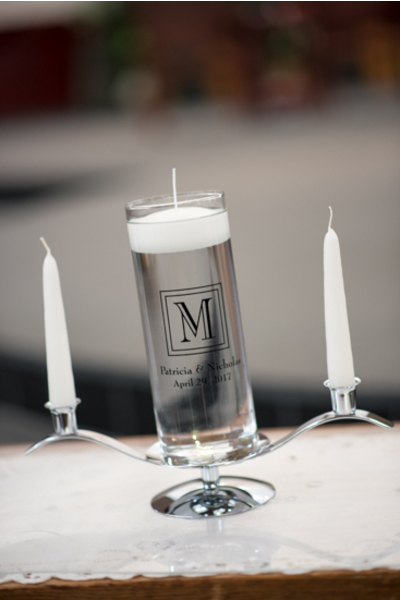 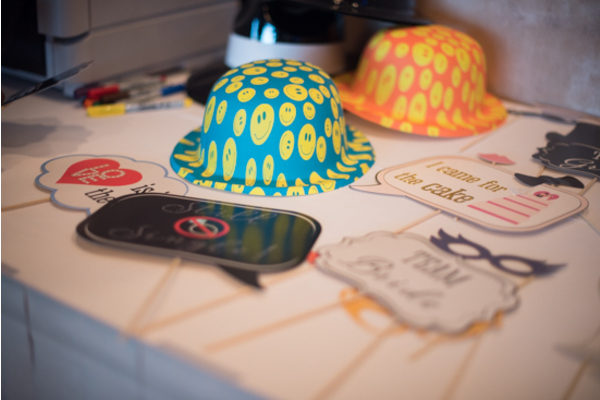 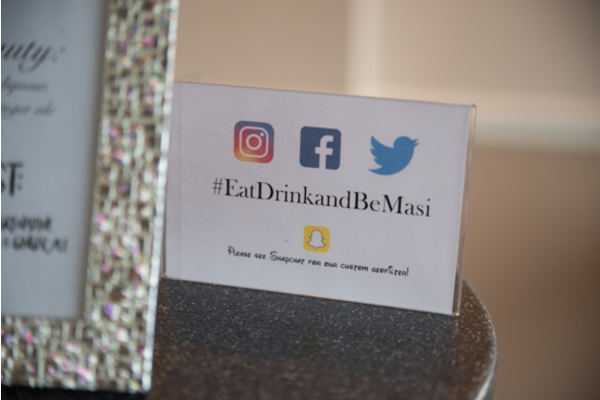 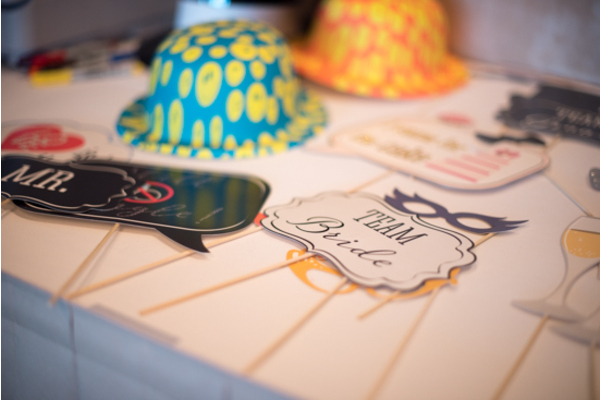 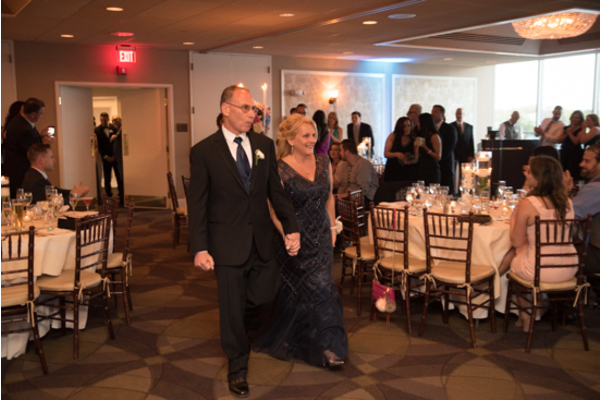 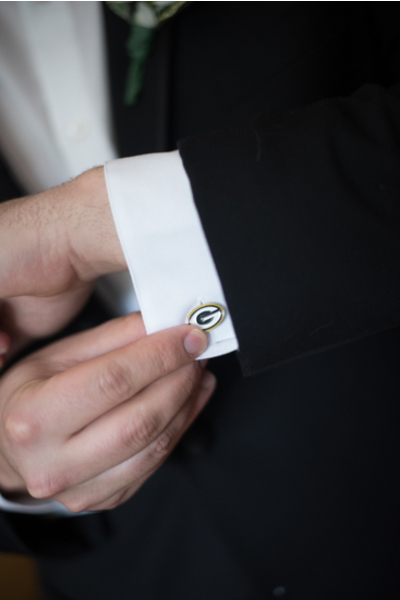 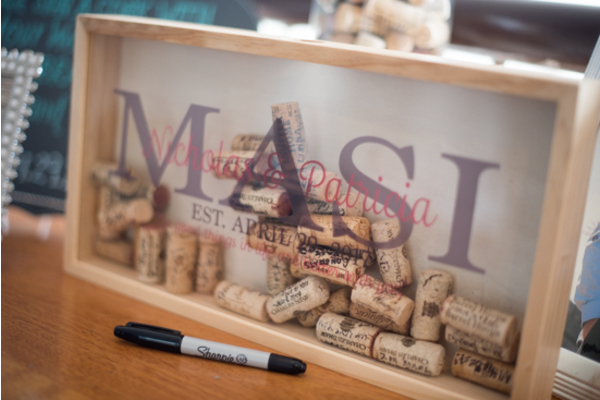 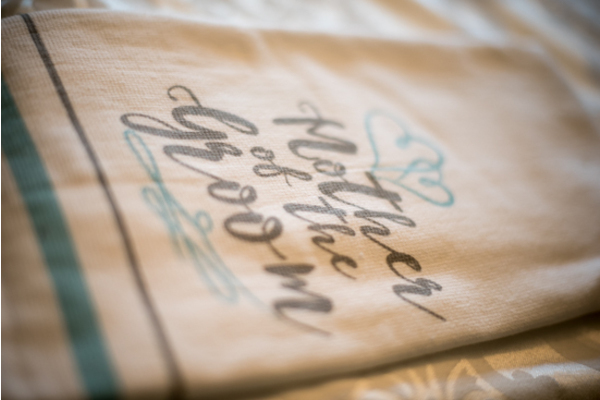 This was an extraordinary wedding and we are so happy to have been a part of it.